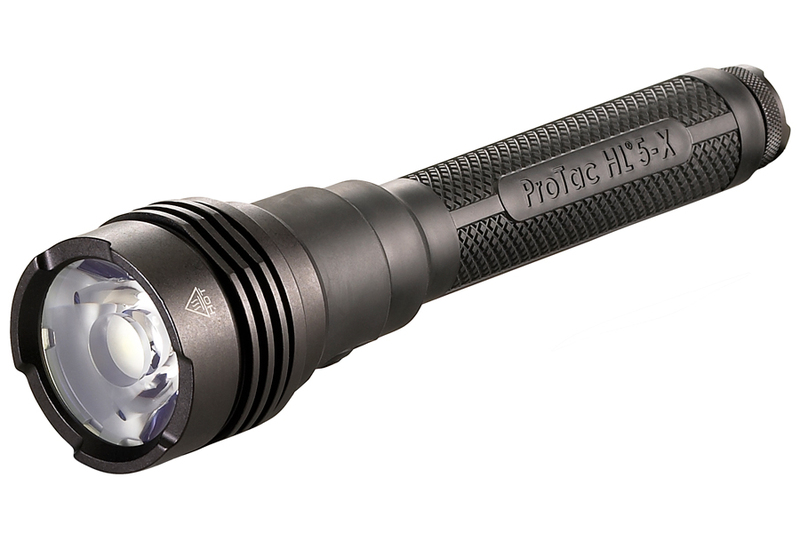 Streamlight showcases Tactical Light Series torches, which offer multi-fuel options. 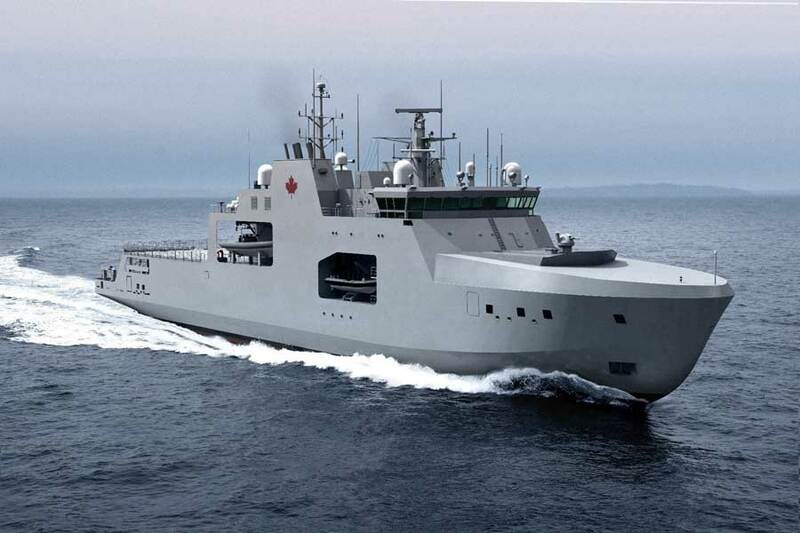 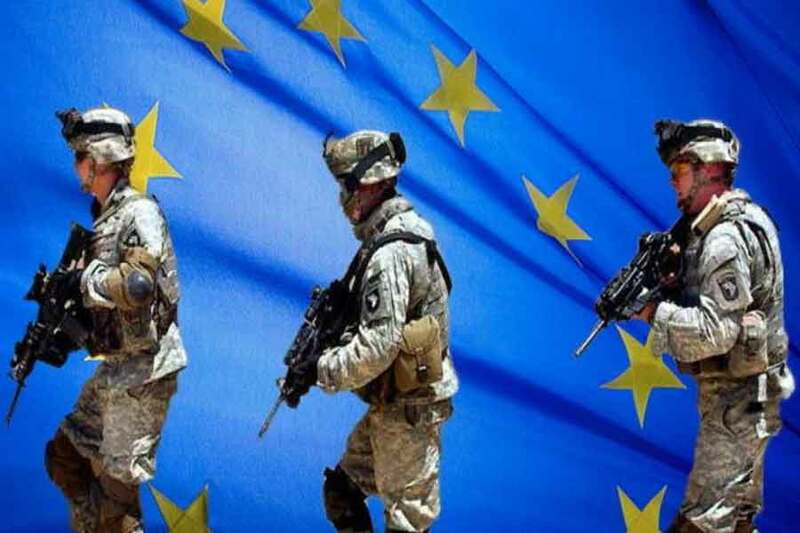 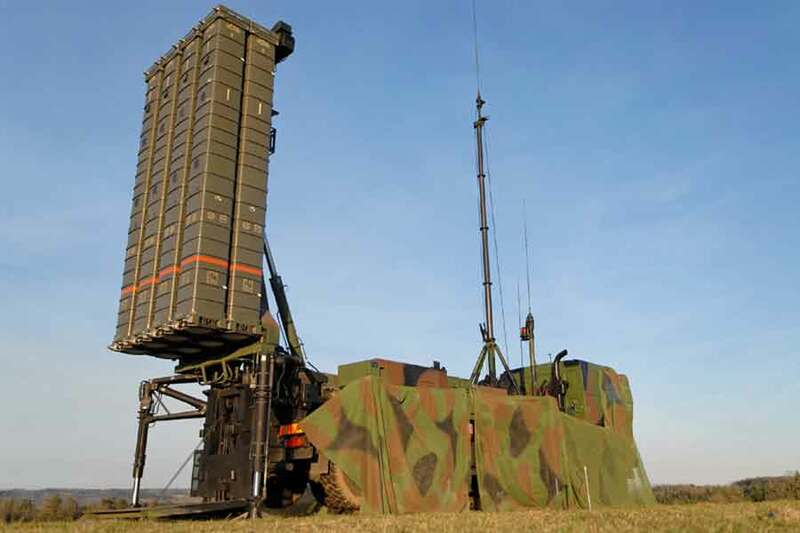 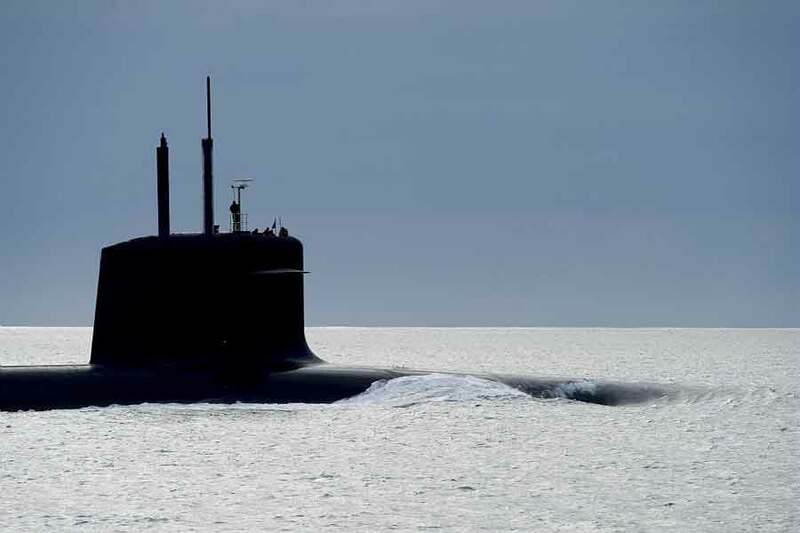 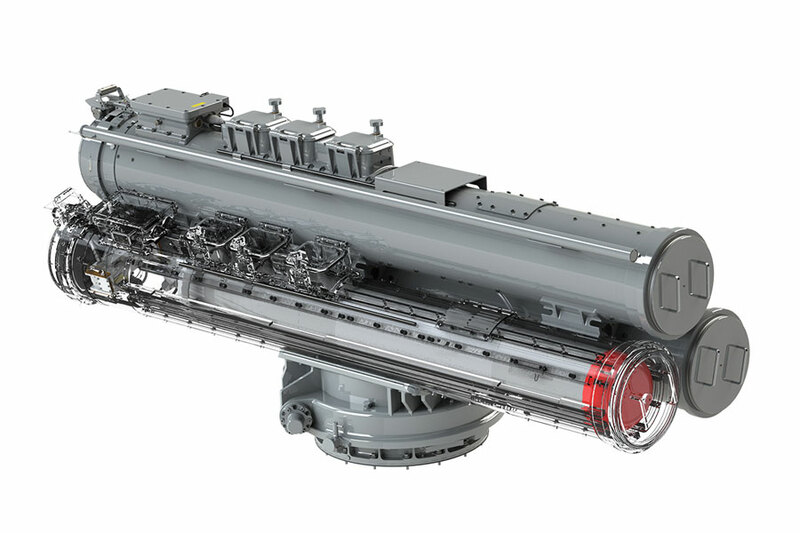 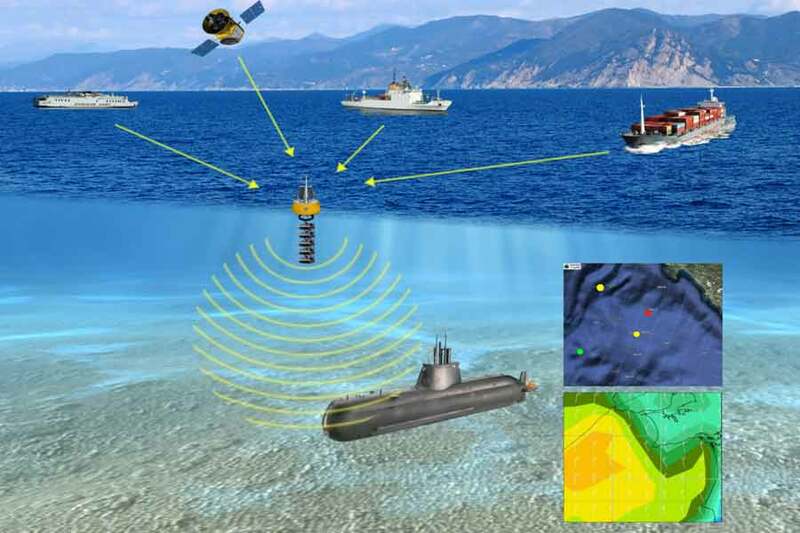 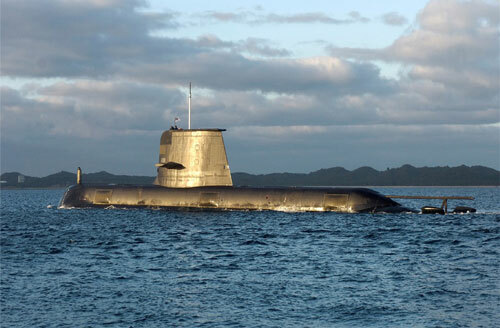 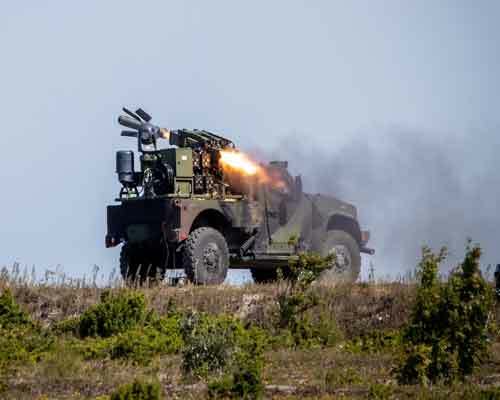 Two NATO countries order ROSY smoke obscurant force protection system. 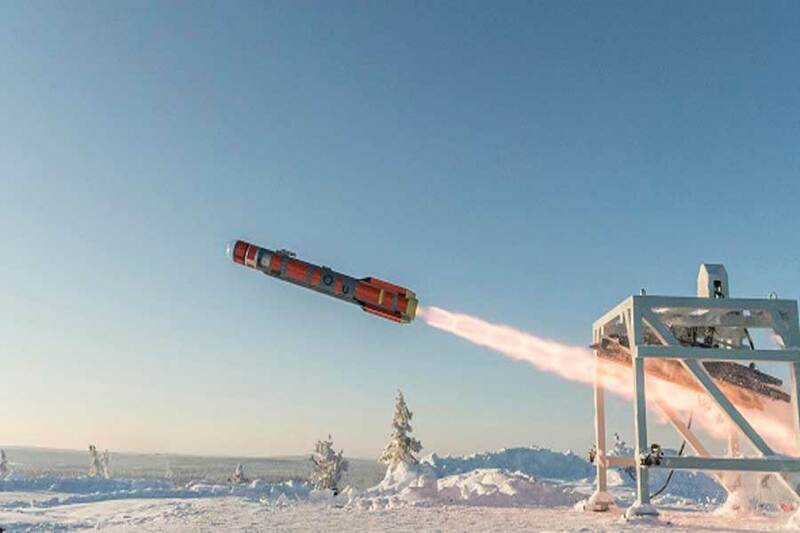 MBDA's Brimstone 3 multi-platform missile is put through its paces in Swedish test firing. 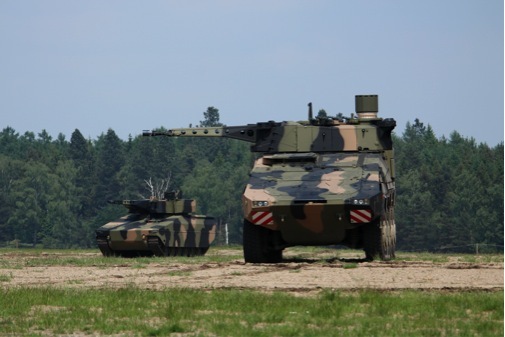 Rheinmetall offers Lynx IFV and MSV for Australian Army's Land 400 Phase 3. 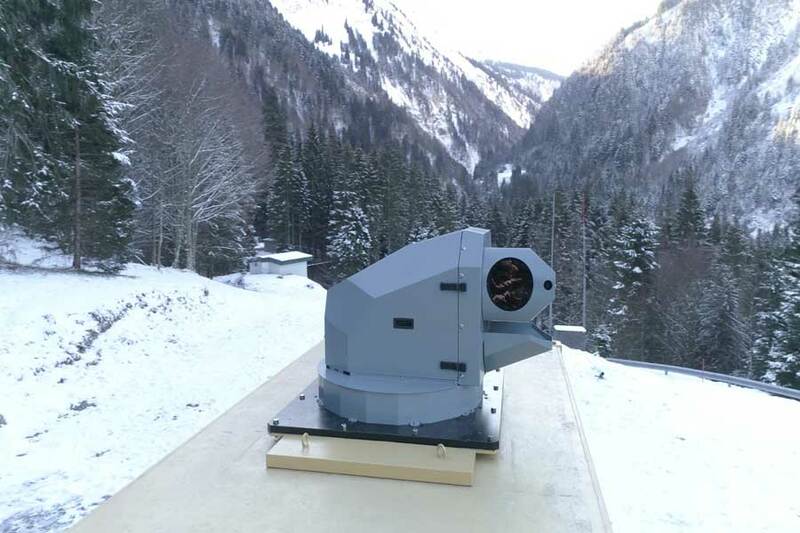 Rheinmetall powers ahead with new laser weapon station for engaging drone and mortar rounds. 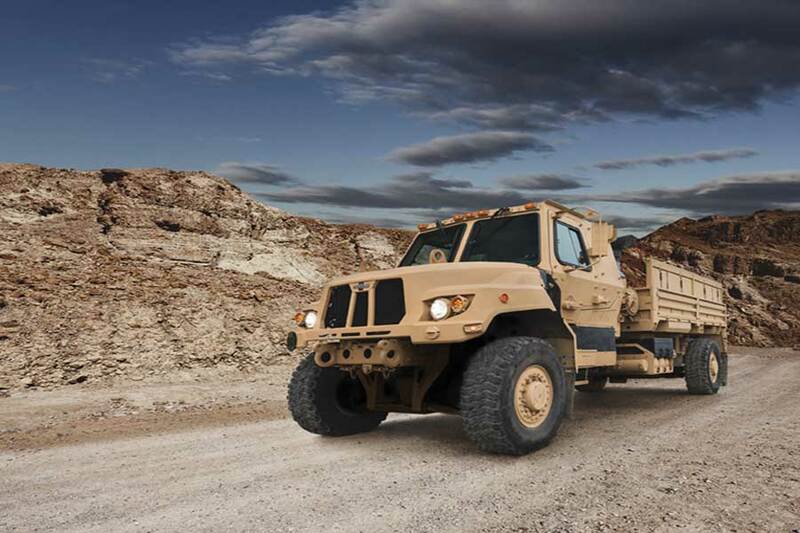 US Army order for Oshkosh Defense, which is building the next generation of Medium Tactical Vehicles. 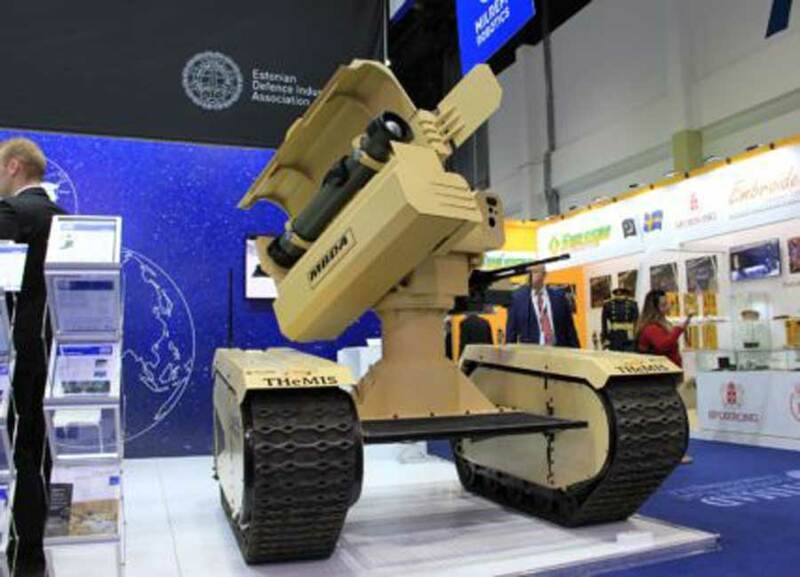 Anti-tank UGV fitted with two MMP 5th generation battlefield engagement missiles demoed at IDEX. 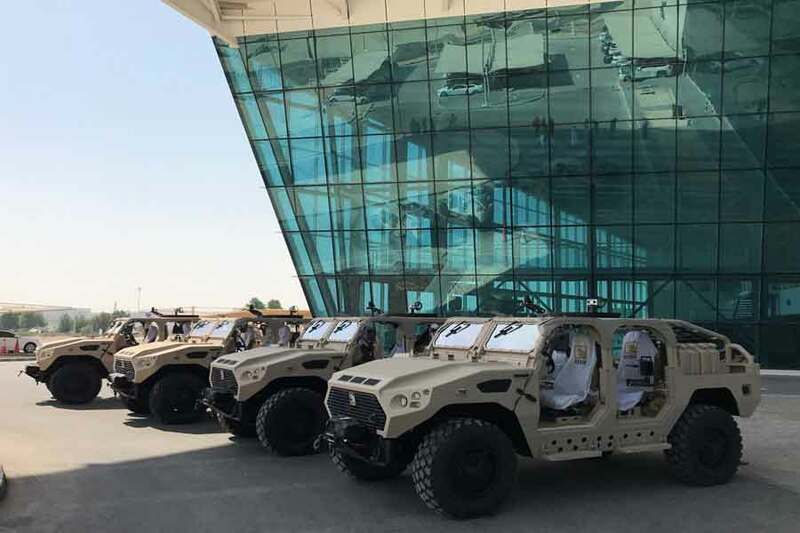 UAE armoured vehicle manufacturer NIMR launches new 4x4 with increased crew capacity. 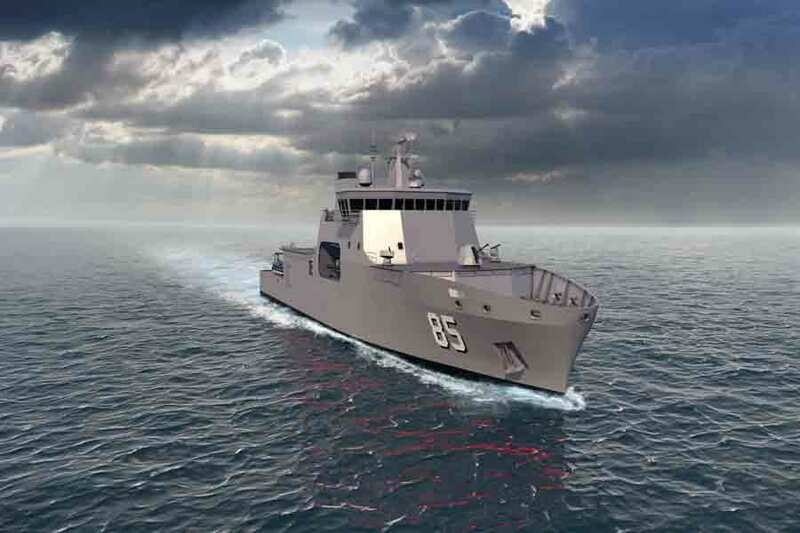 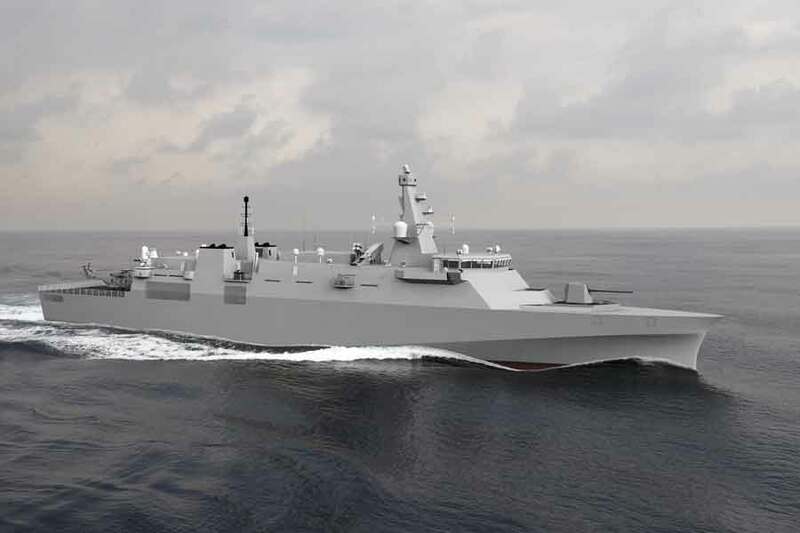 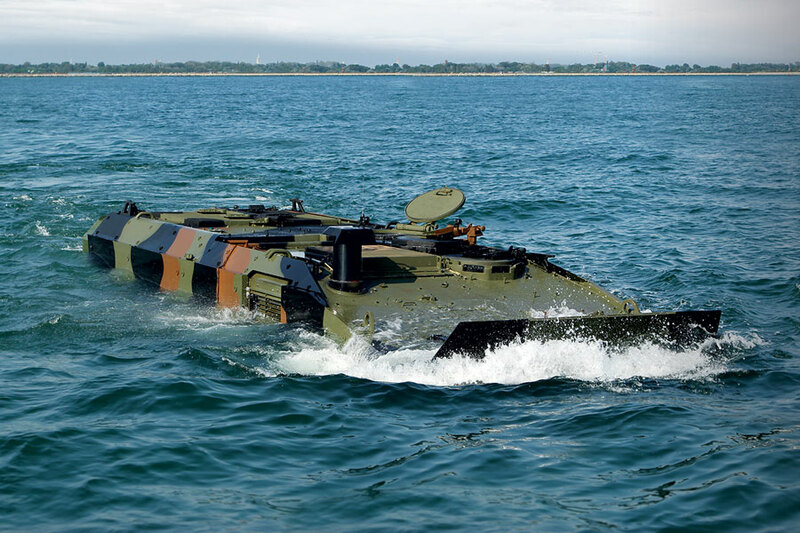 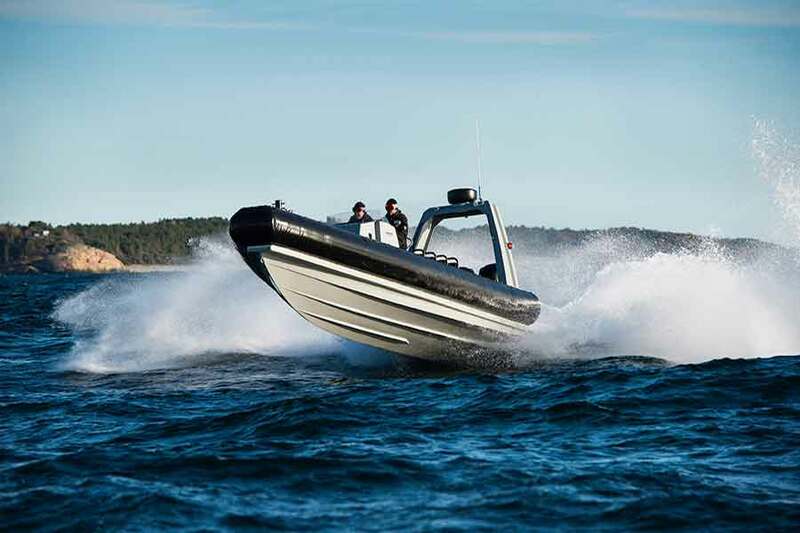 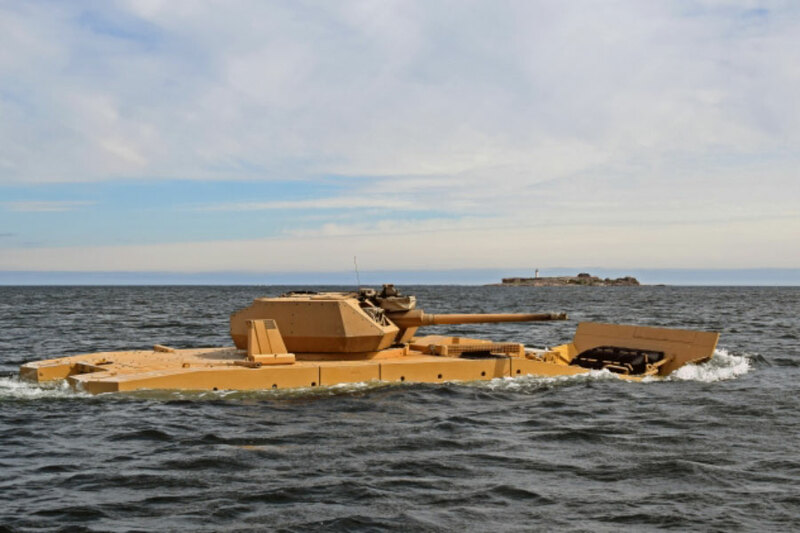 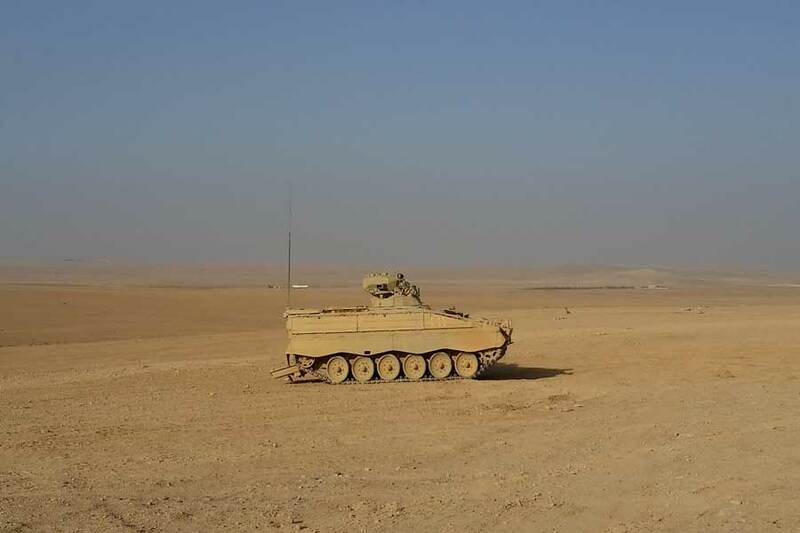 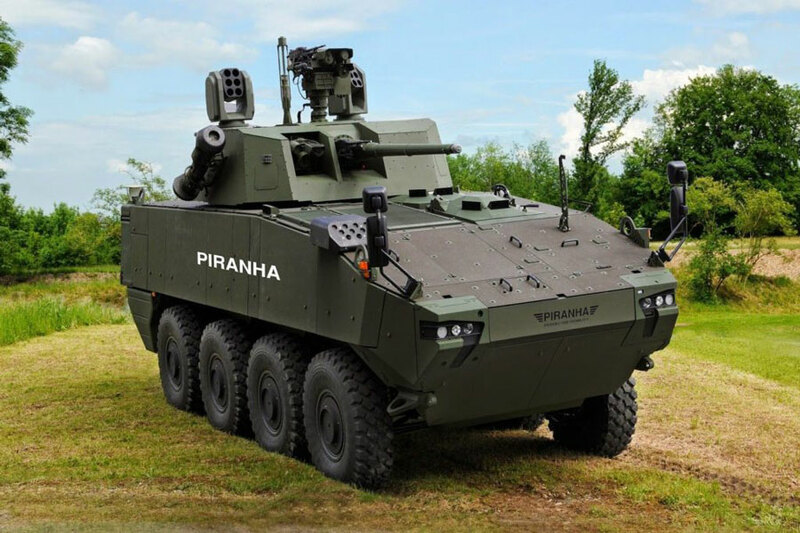 Jankel will build re-engineered Hunter TIV for Asia-Pac customer at Jordanian facility. 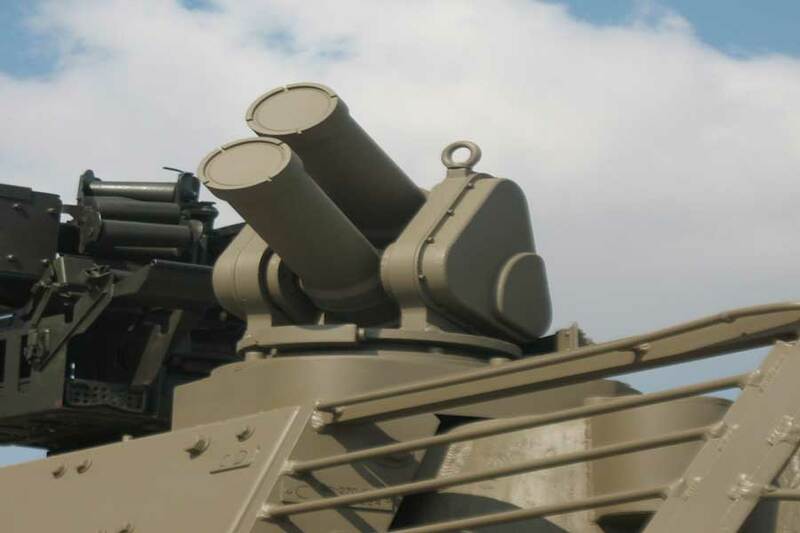 Arnold Defense's FLETCHER laser-guided rocket launcher on NIMR's LRSOV at IDEX 2019. 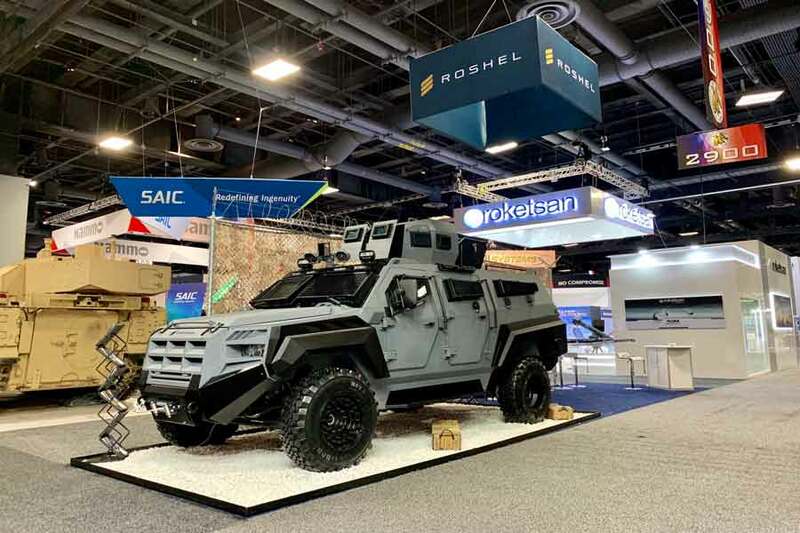 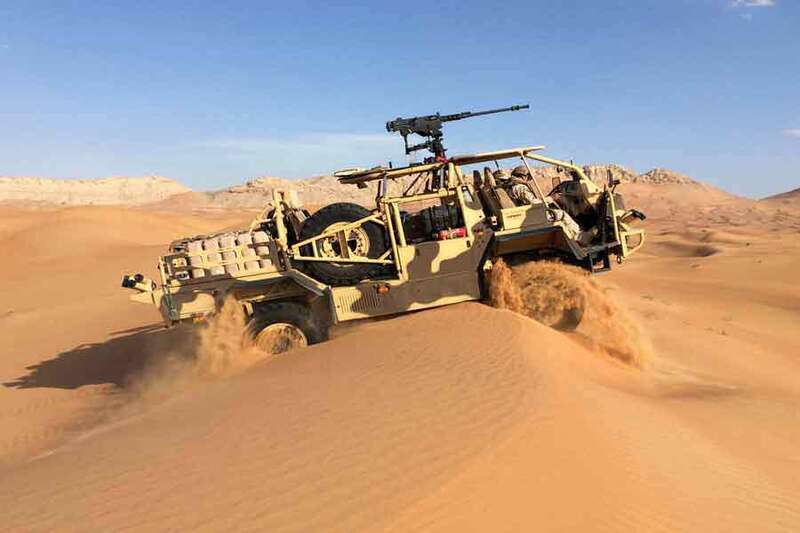 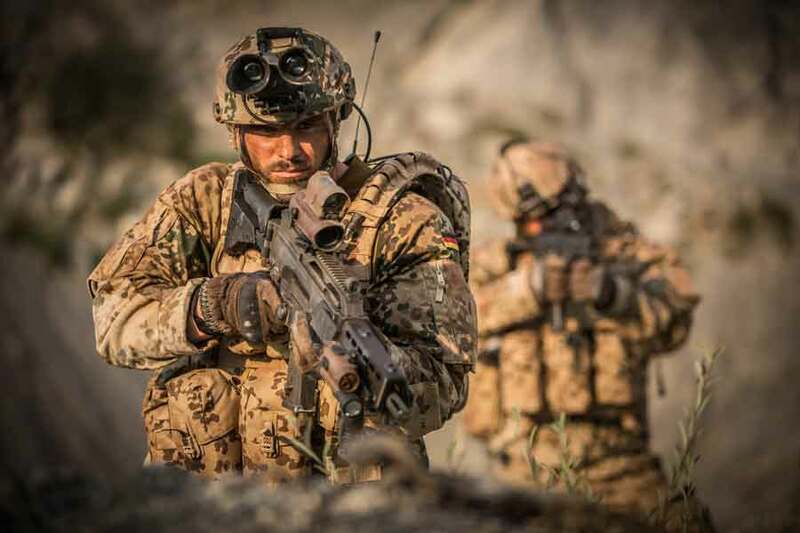 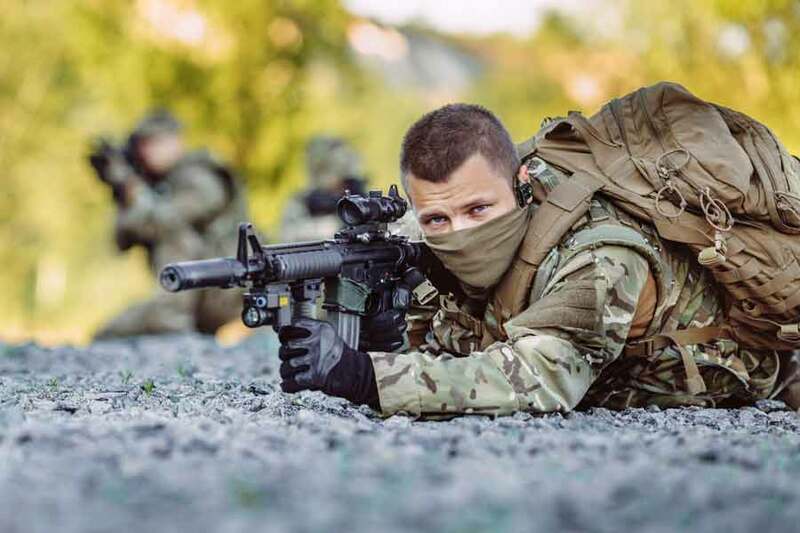 Rheinmetall to showcase force protection solutions, including APS, at IDEX 2019. 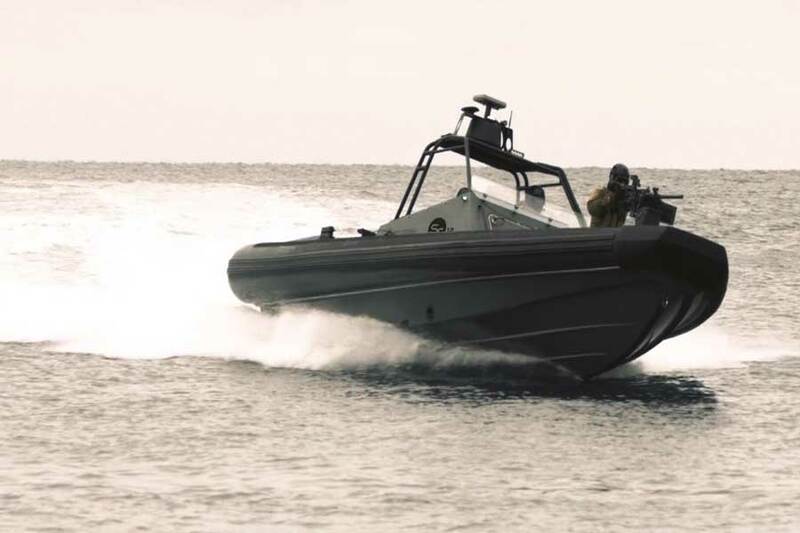 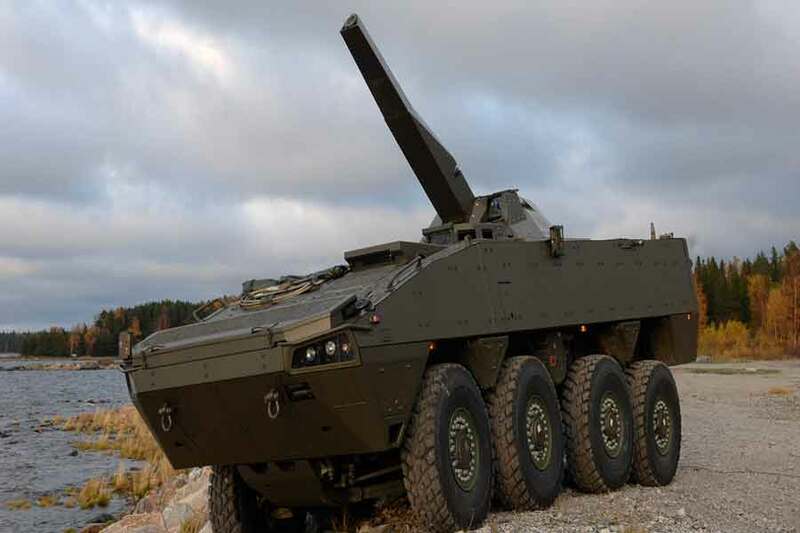 Patria to demo the Nemo mortar system fitted to an 8x8 at IDEX 2019 in Abu Dhabi. 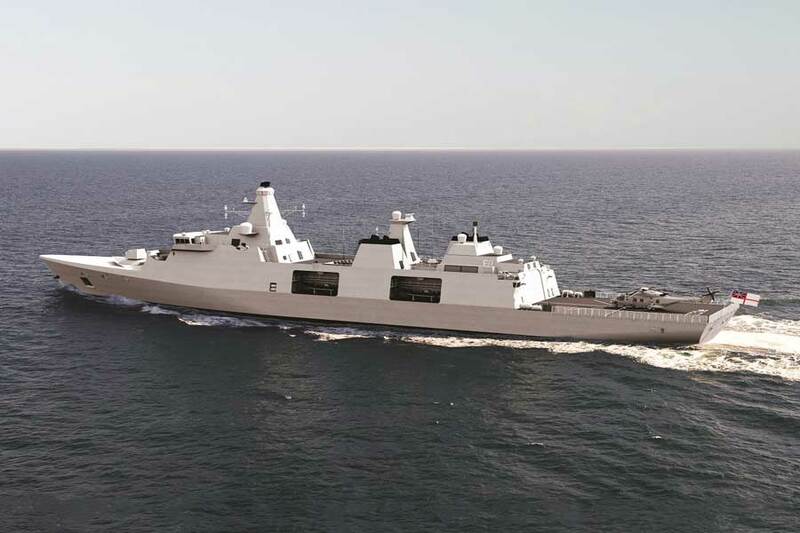 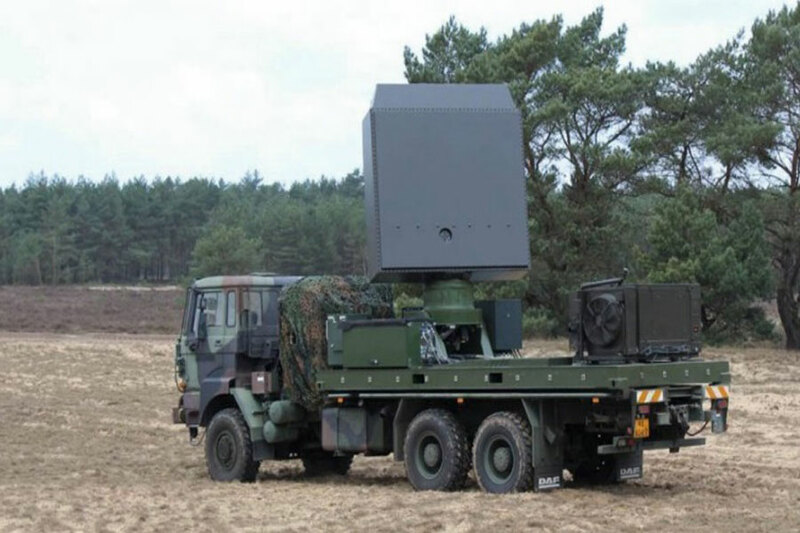 New radar system, developed by Thales and the Dutch Army, sees and records everything in real time. 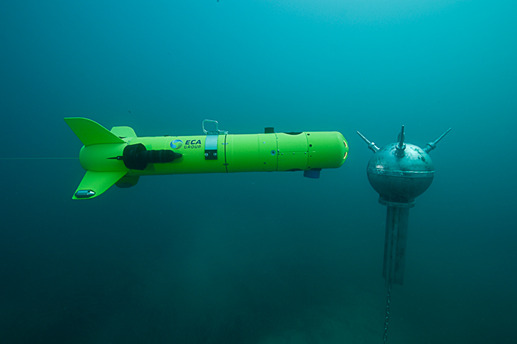 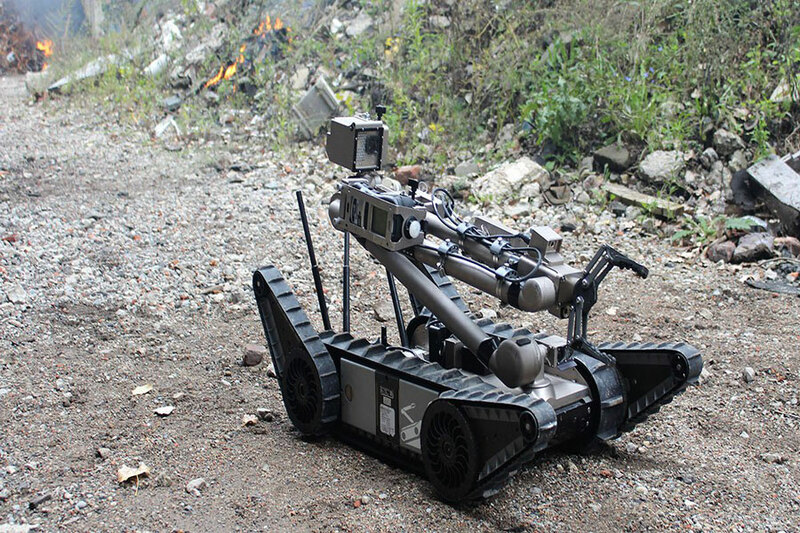 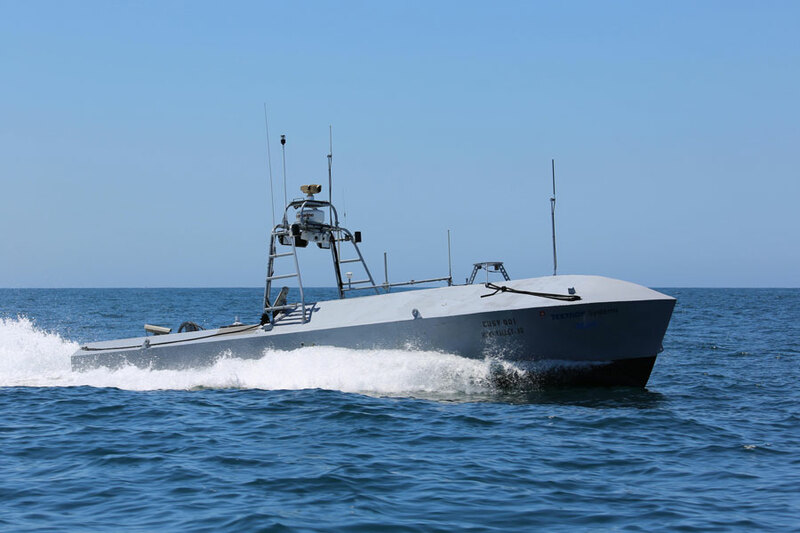 FLIR acquires third unmanned systems company, UGV manufacturer Endeavor Robotics. 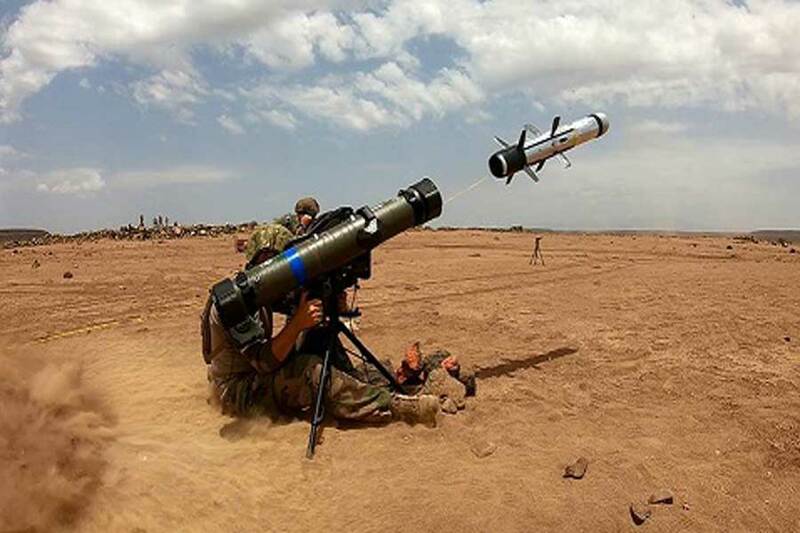 Video shows new light buggy launcher for Rafael's SPIKE NLOS precision-guided missile. 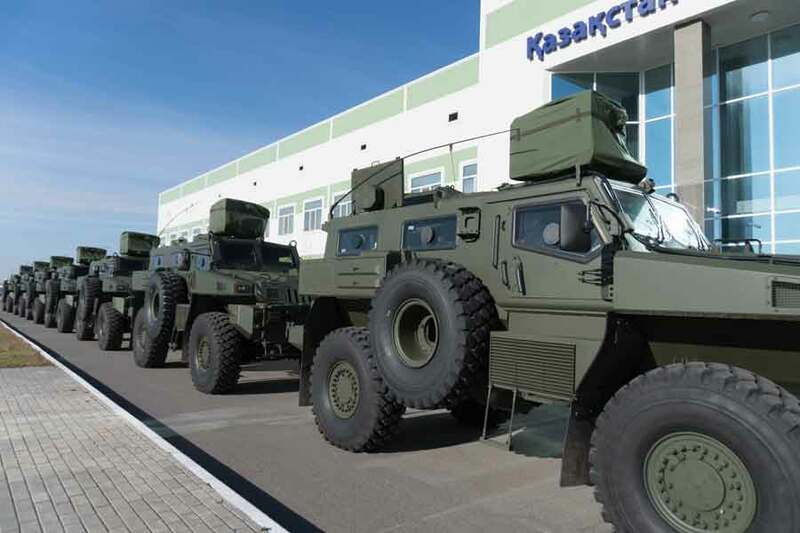 Kazakhstan armoured vehicle manufacturer chooses Allison Transmission for latest fleet of vehicles. 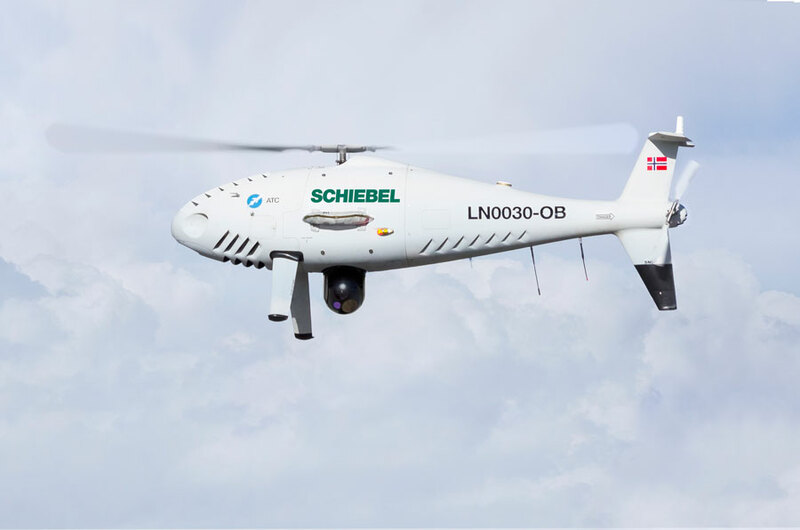 Two new payloads integrated onto the Schiebel Camcopter S-100. 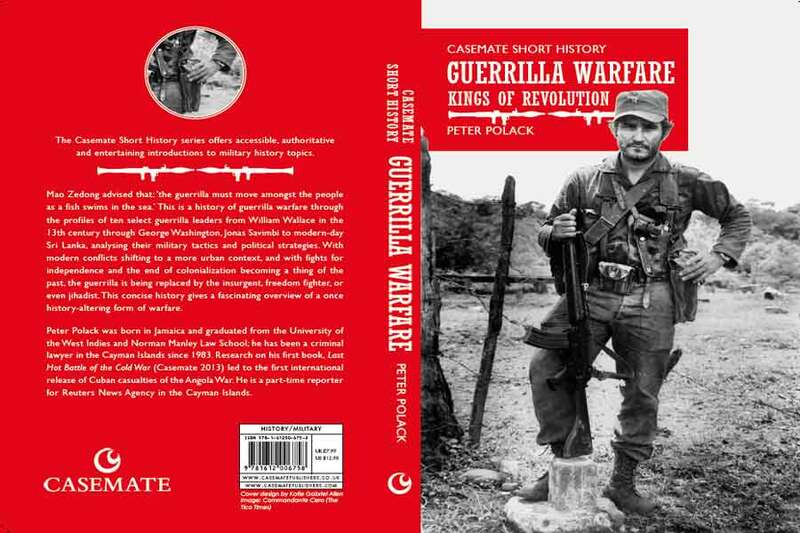 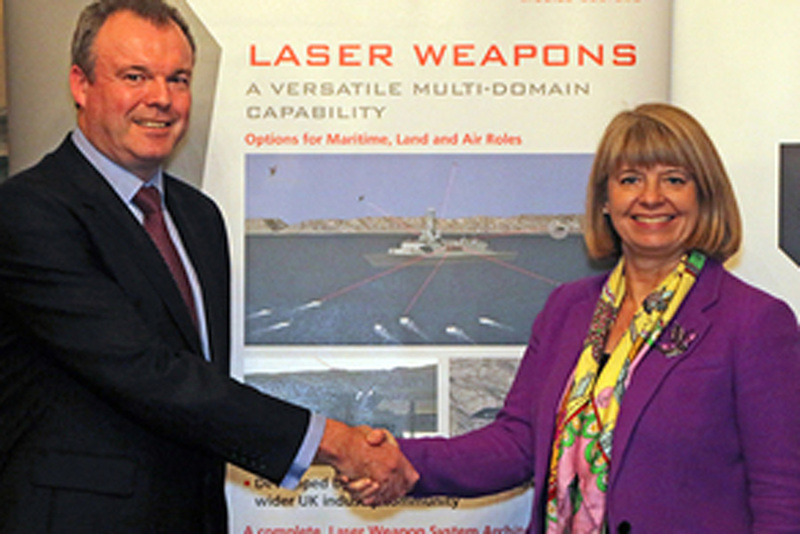 GDELS expands European footprint following acquisition of FWW. 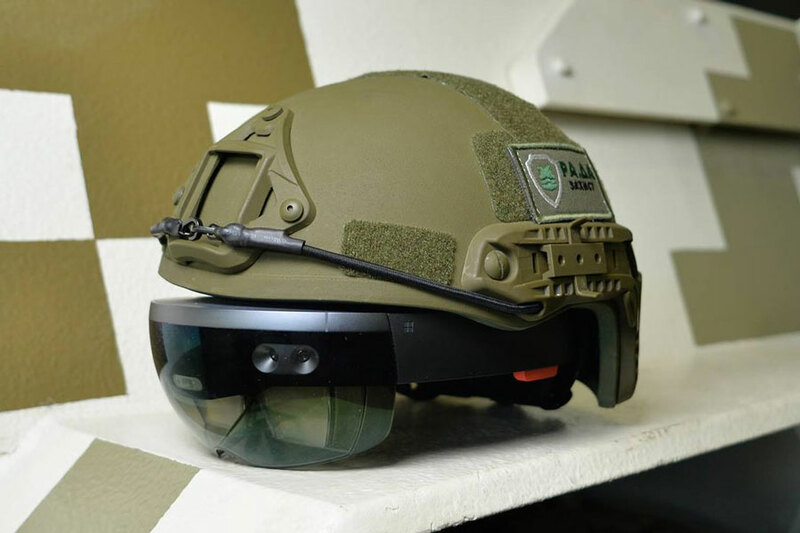 US Army places order with Microsoft for Augmented Reality on the battle field. 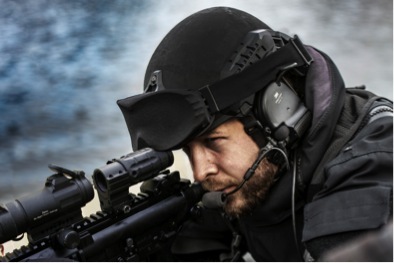 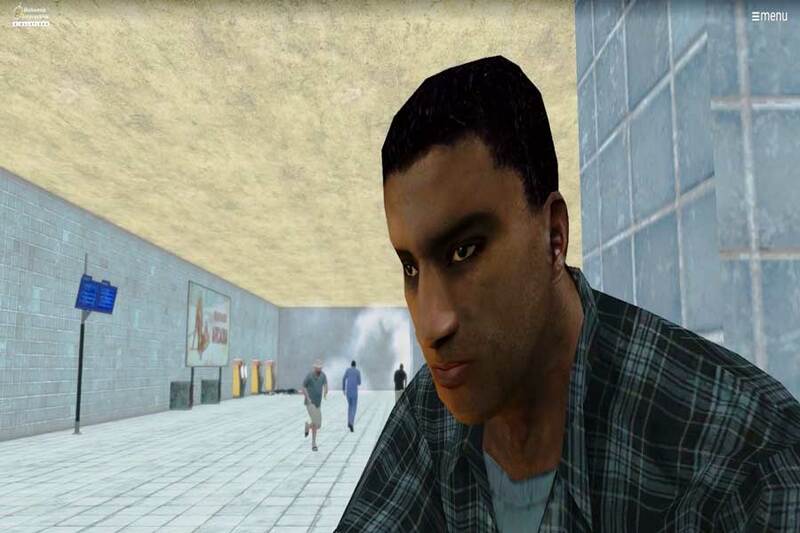 Portable, realistic and immersive training solutions for JTACs at I/ITSEC. 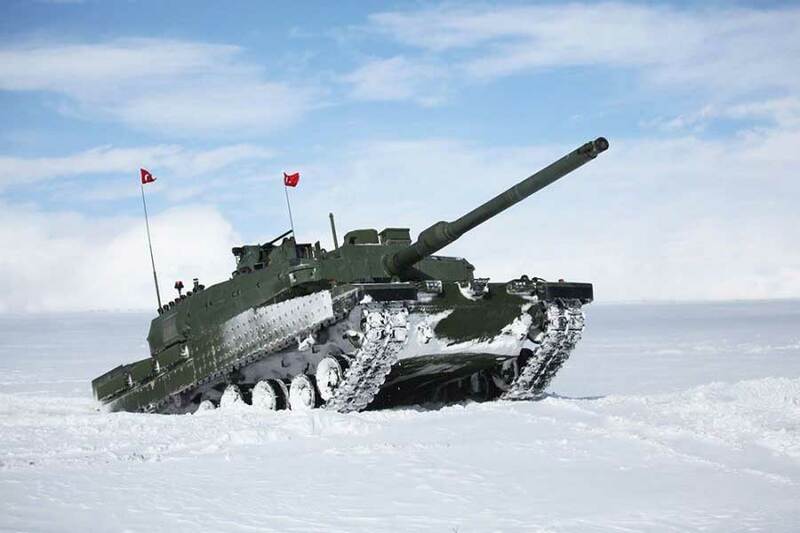 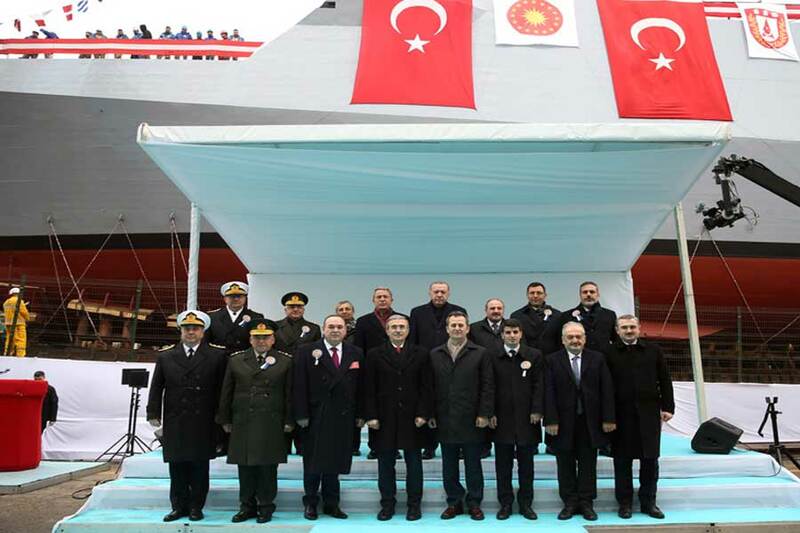 Turkey awards contract for serial production of its new Altay main battle tank. 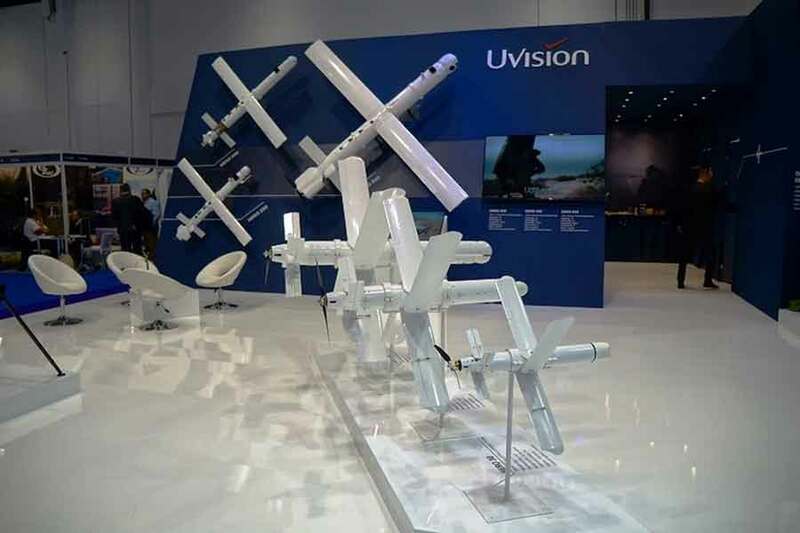 US Army evaluates UVision's Hero-30 loitering munition system for Lethal Miniature Aerial Missile System. 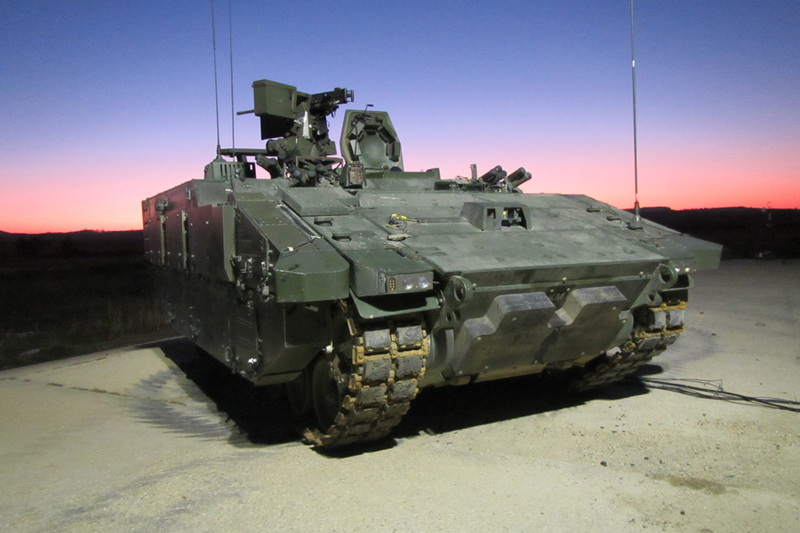 Rafael encouraged by international presence at live fire tests of its VPS on the Bradley IFV. 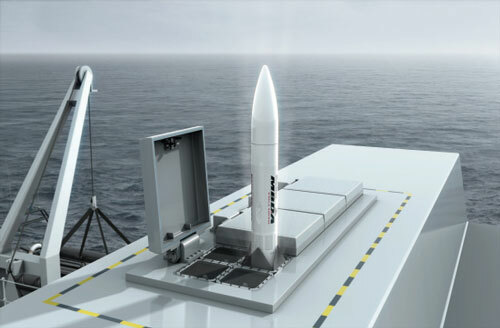 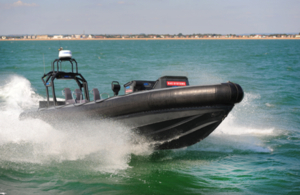 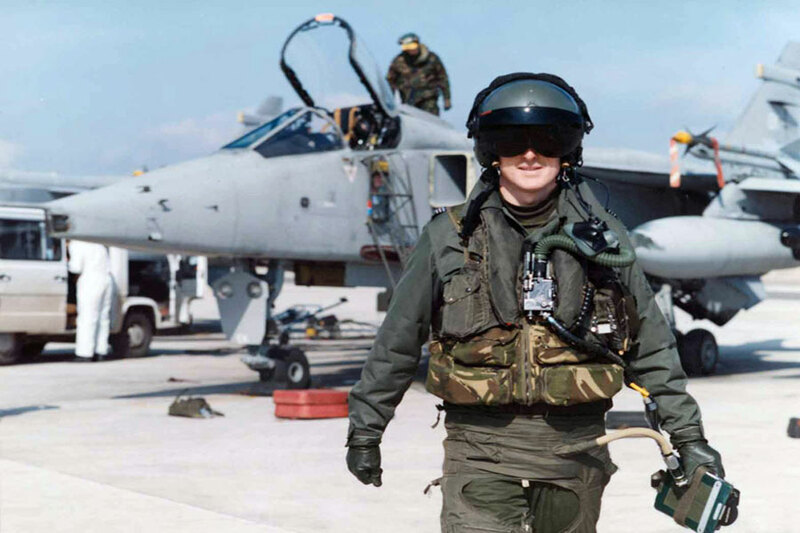 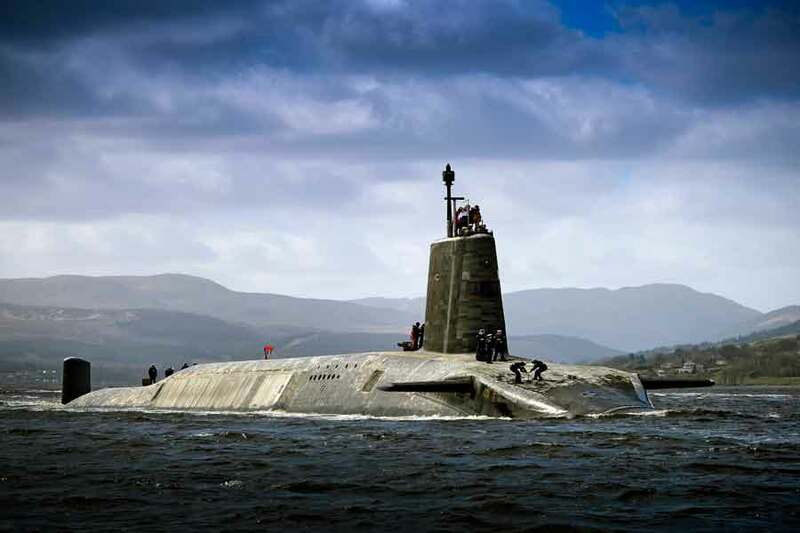 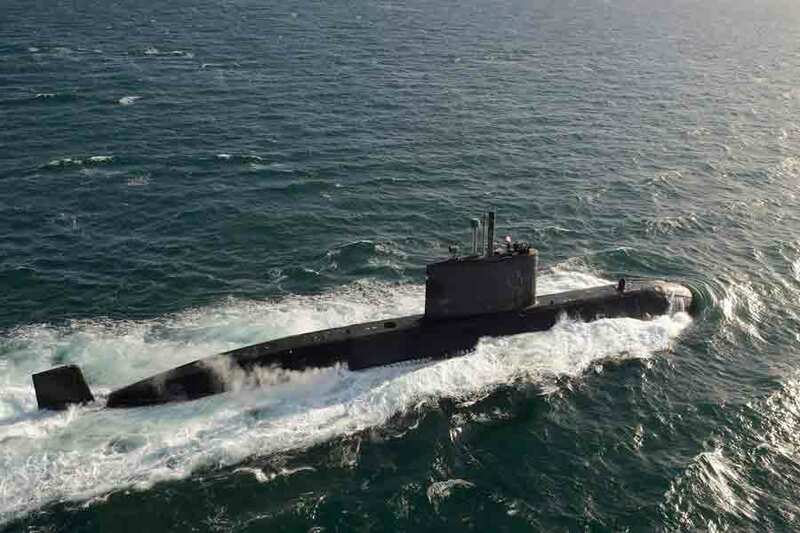 The UK Defence Minister gives Boxer consortium, Artec, the green light to ramp up the selection of UK-based suppliers. 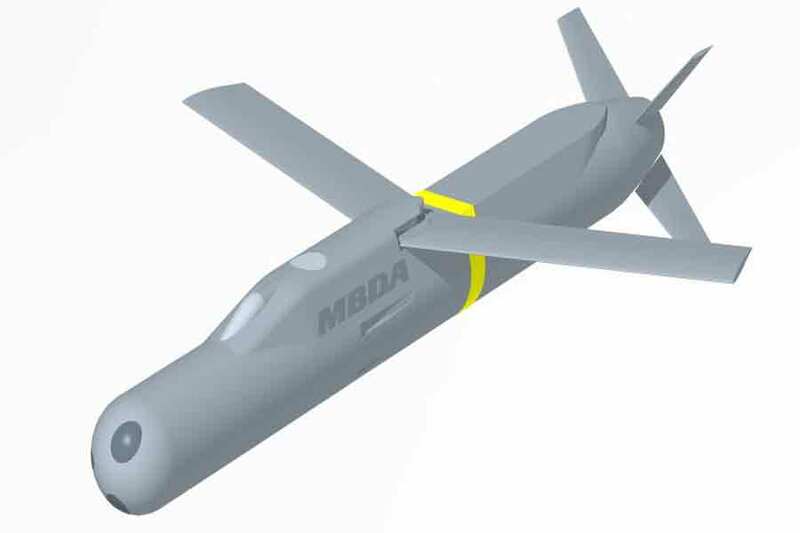 Unmanned air system with ENFORCER missile from MBDA, part of the technology showcase at DVD2018. 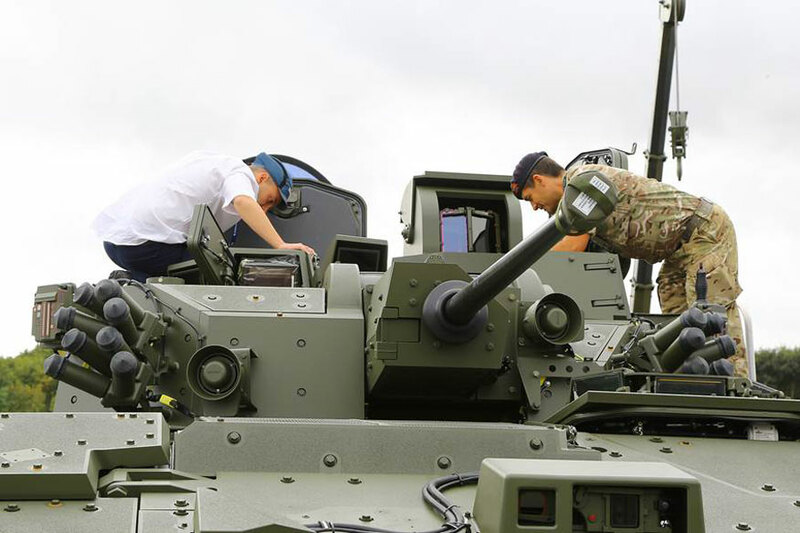 New turret for the AJAX armoured vehicle will provide soldiers with unparalleled situational awareness. 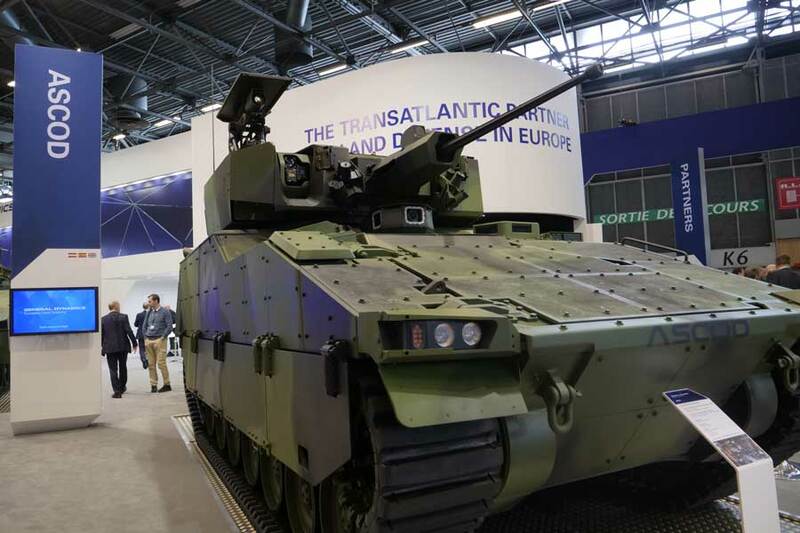 Four different variants of AJAX, plus Challenger 2 LEP and Warrior upgrade at DVD2018. 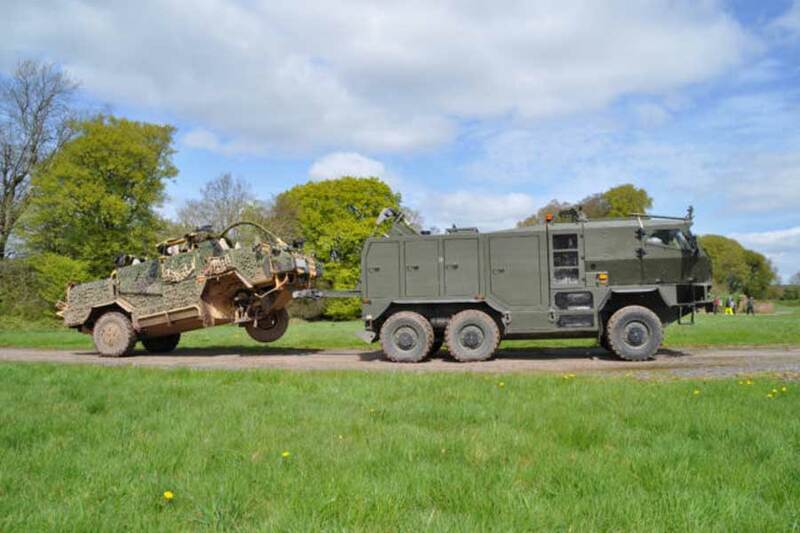 Initial trials show potential for further enhancements to Supacat's HMT Light Weight Recovery vehicle. 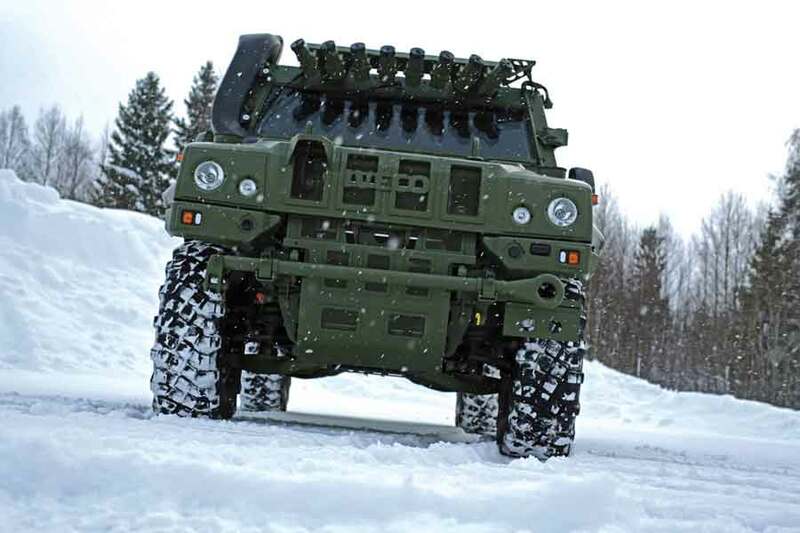 All Terrain Mobility Platform from Supacat will be modernised to take advantage of developments in autonomy and hybrid drive. 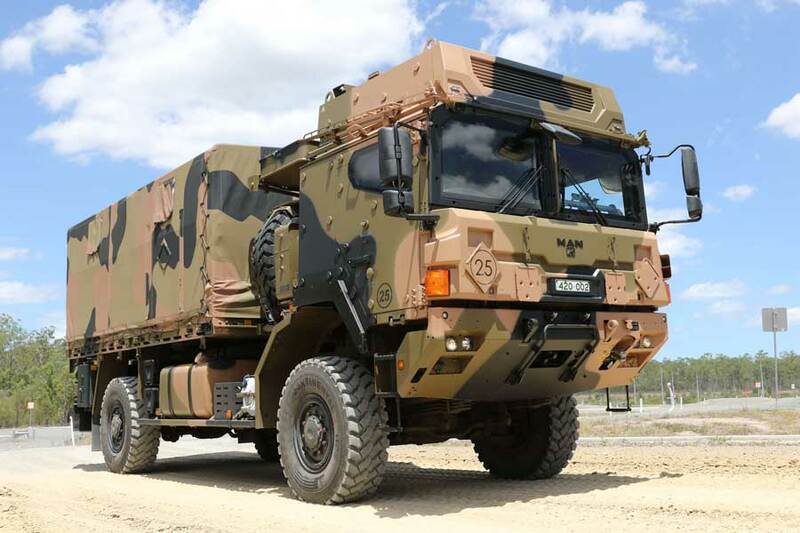 Rheinmetall's success Down Under continues with follow-up order worth €430 million for Australian Defence Force military trucks. 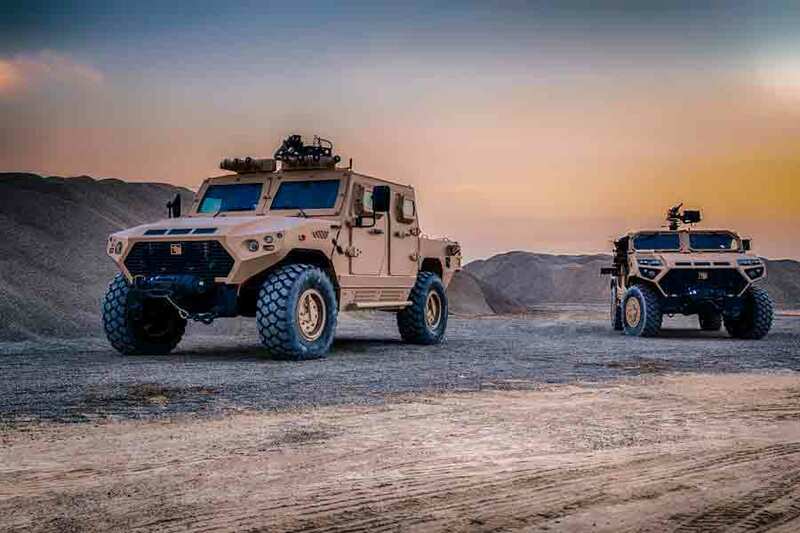 Boxer all the way, as Australian government signs multi-billion dollar order for more than 200 8x8 vehicles, which will be produced locally. 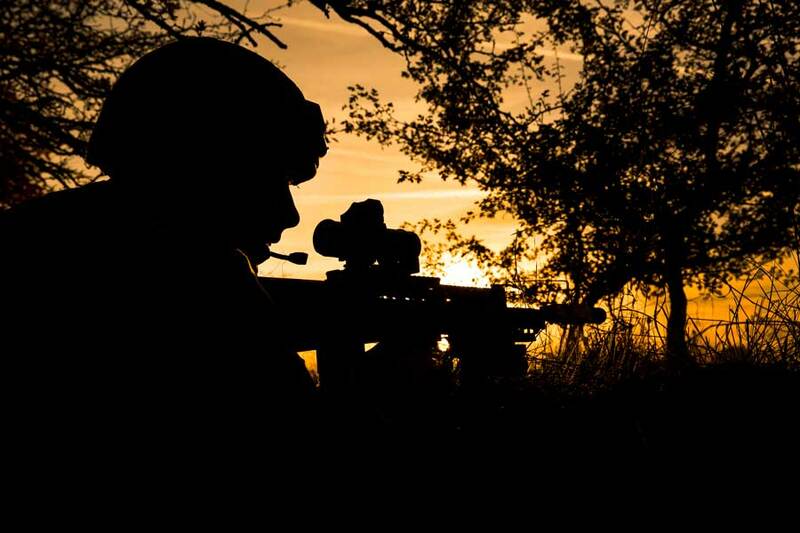 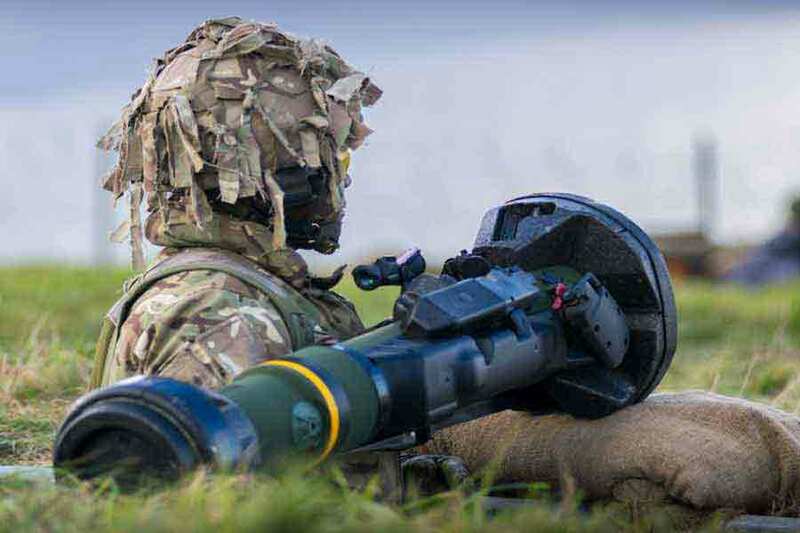 Battlefield Tactical Communications contract worth £95m, won by QinetiQ, will evolve the Bowman system. 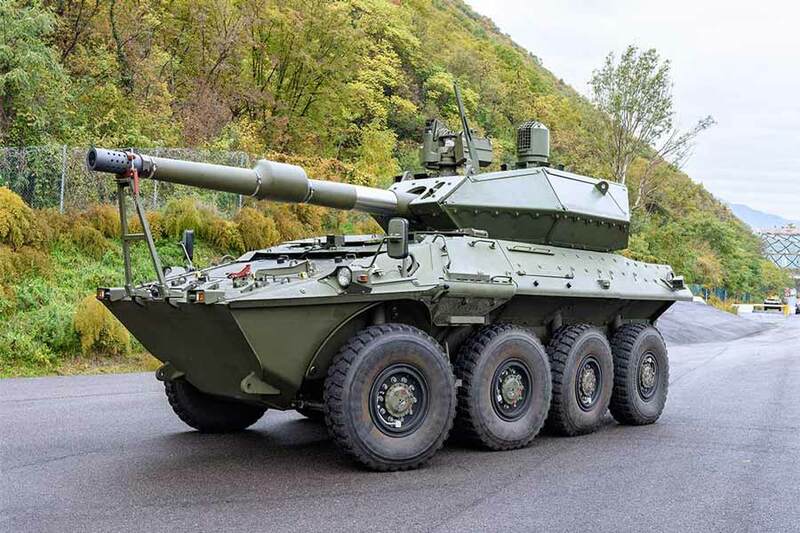 Italian Army gets new Centauro II Vehicles, the first 8x8 wheeled antitank vehicle to feature a high-pressure gun. 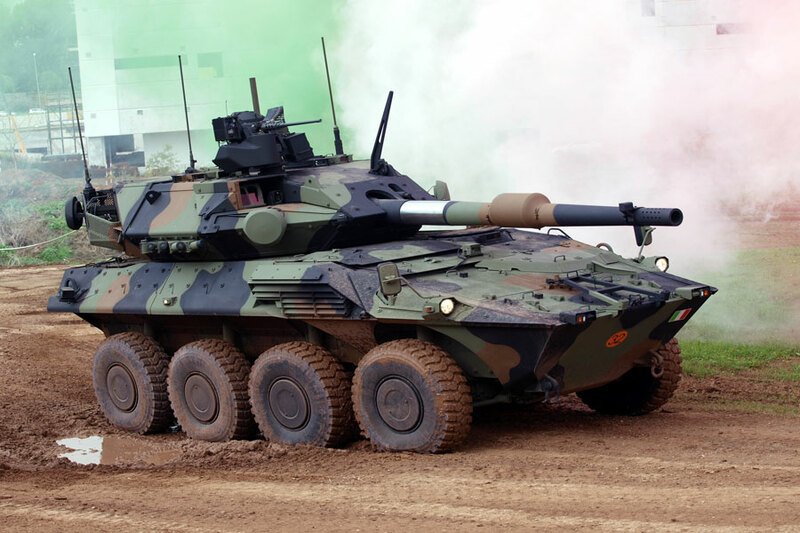 General Dynamics European Land Systems unveils a new Medium Main Battle Tank and IFV from the ASCOD family. 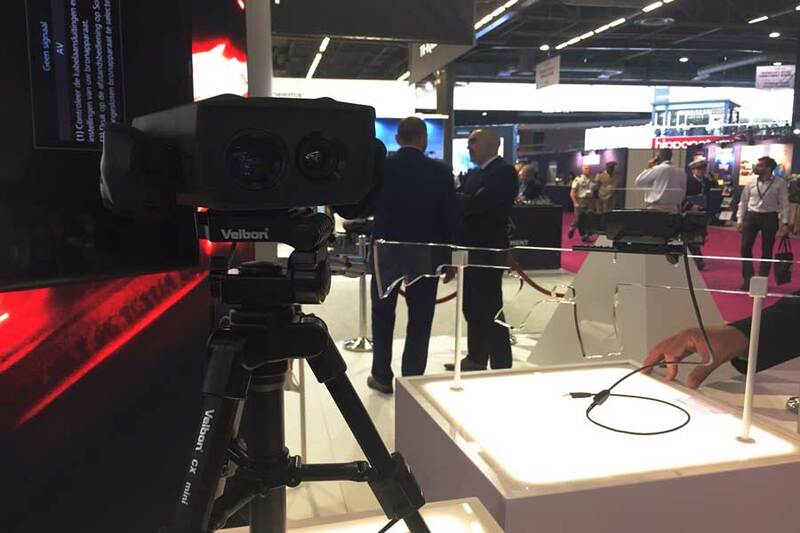 Night-vision specialists Photonis demonstrate vision solutions for any time of day at Eurosatory 2018. 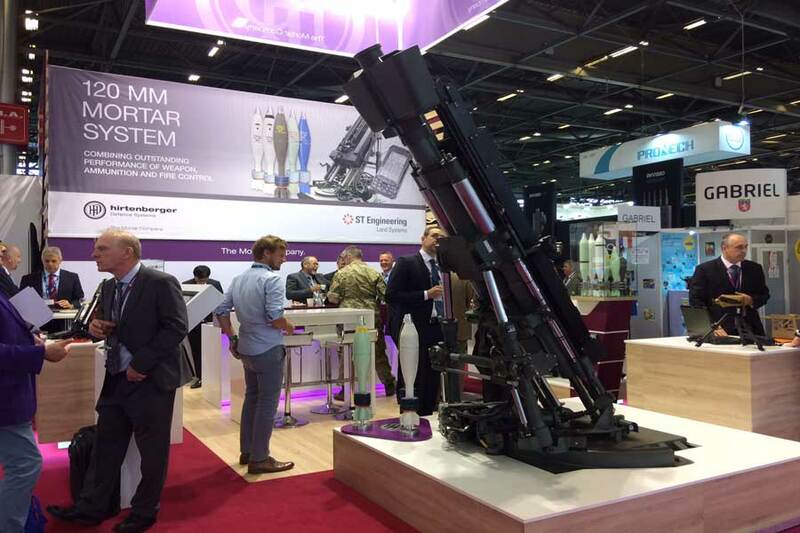 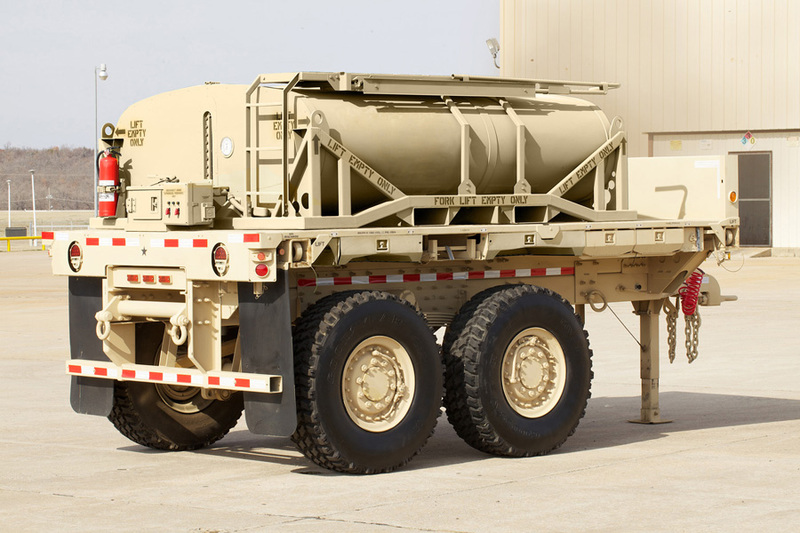 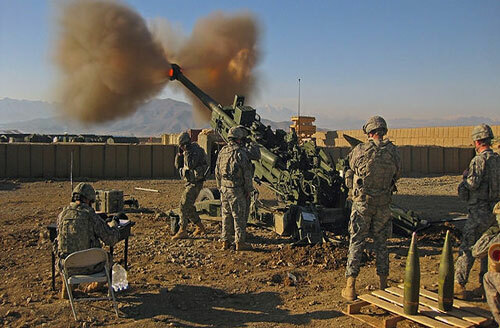 120 mm mortar system from Hirtenberger and ST Engineering enables artillery units to "shoot and scoot." 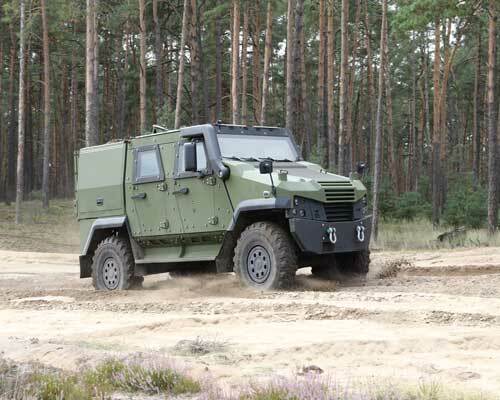 Patria builds on the success of its Pasi APC with a new 6x6 variant, which stresses modularity and affordability. 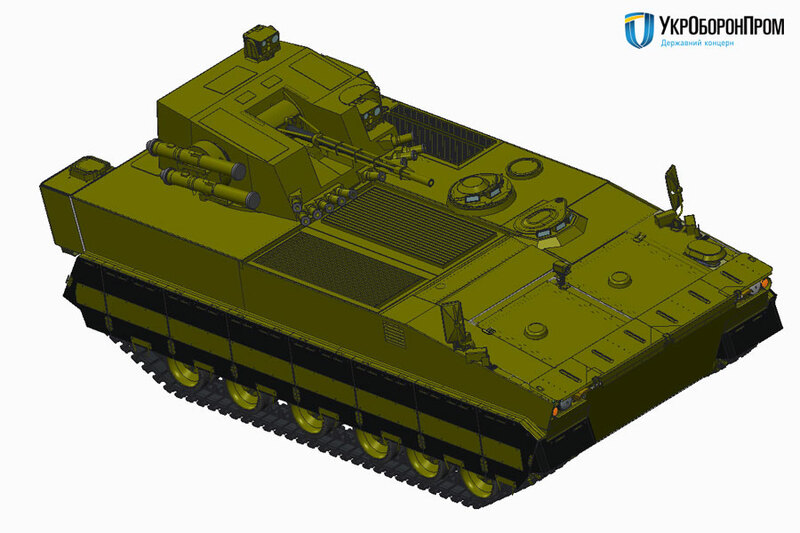 State-owned Kharkiv Morozov unveils next-generation combat vehicle for Ukrainian Army. 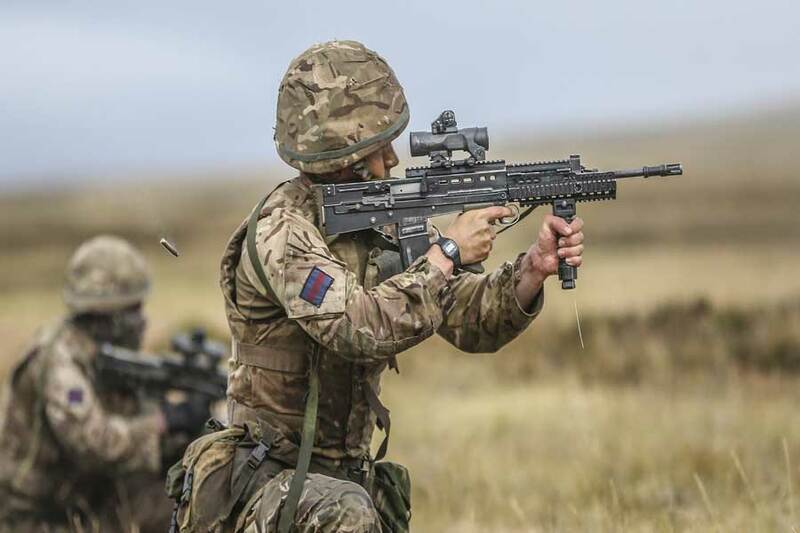 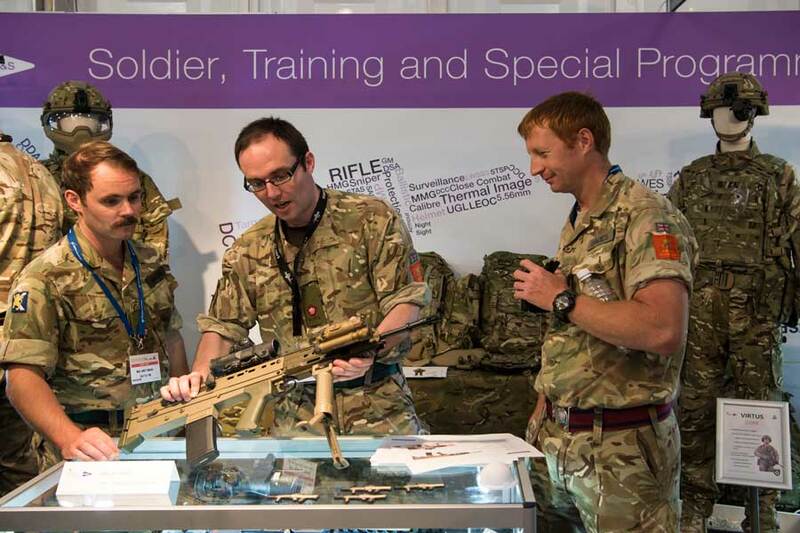 A £5.4 million upgrade will see the British Army's SA-80 assault rifle made lighter, more hard wearing and better camouflaged. 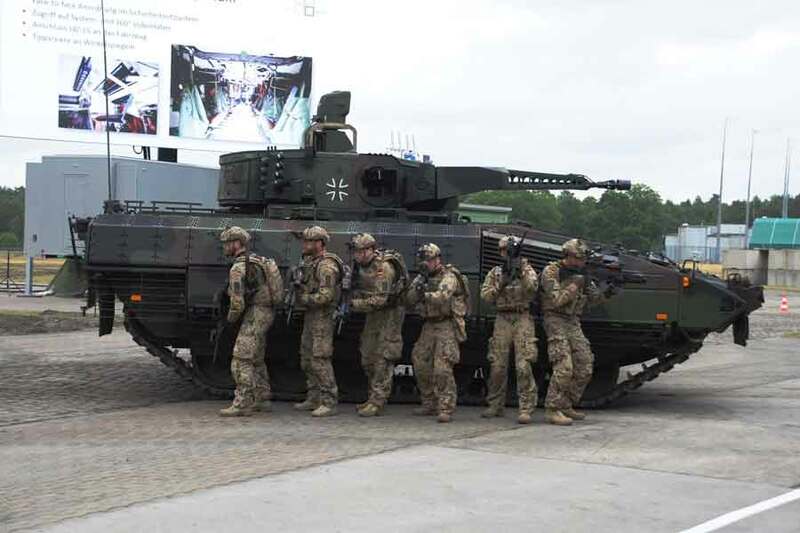 The last 18 months have been a period of major change for German tank container system provider, WEW Container Systems. 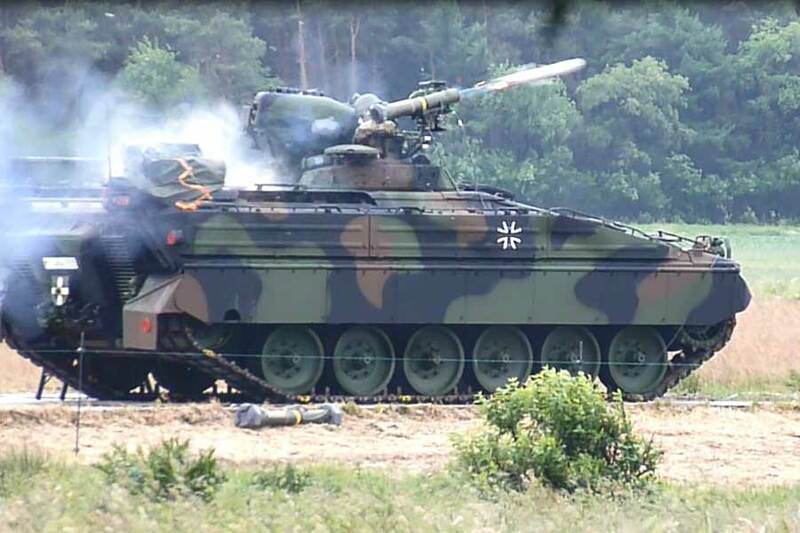 Rheinmetall successfully integrates MELLS anti-tank guided missile system on 35 Marder IFVs for the German Army. 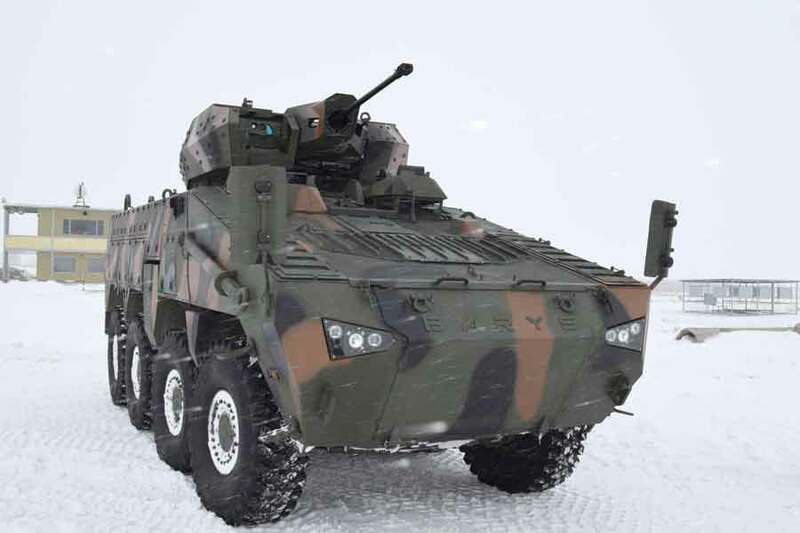 The Barys 8x8 has undergone a series of tests in severe winter conditions ahead of acceptance by Kazakhstan's Armed Forces. 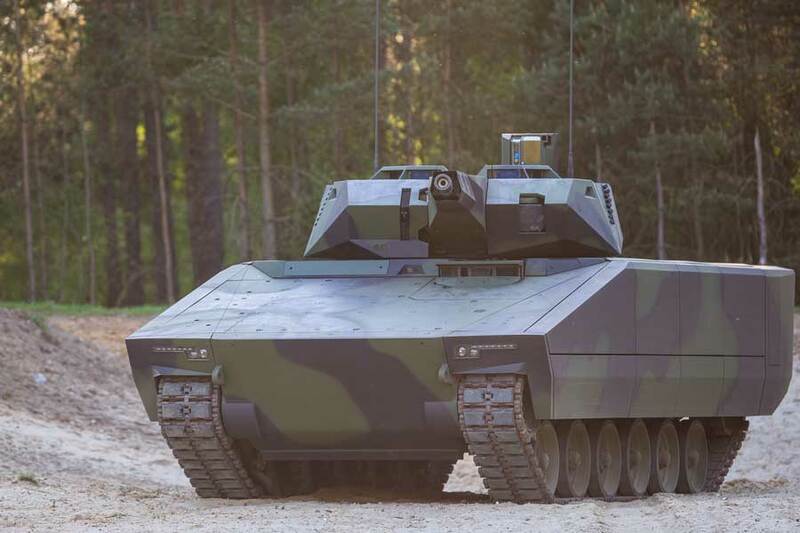 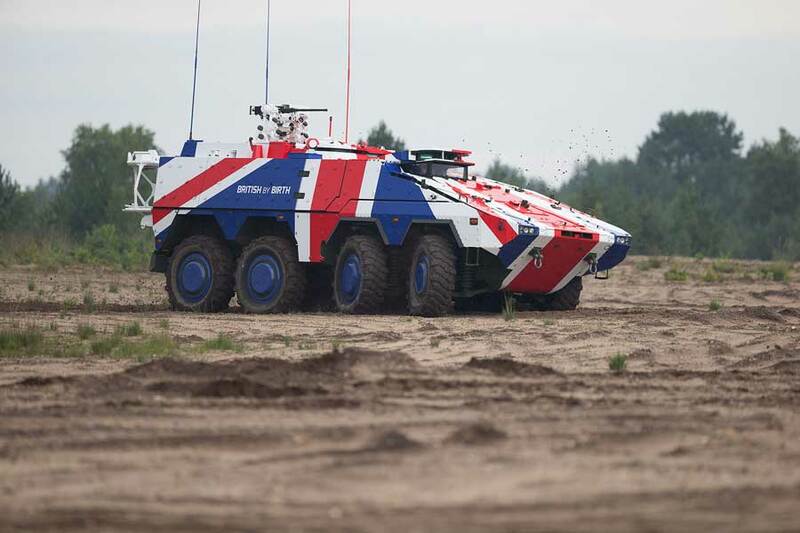 Rheinmetall promises 60% value creation for Boxer in Britain if it is selected for the British Army's MIV programme. 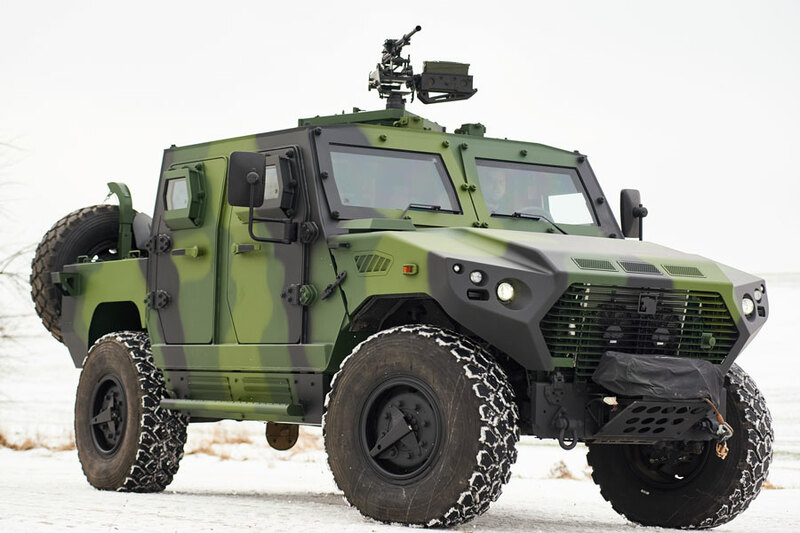 The new multi-role protected MR6 Bushmaster features enhanced protection and loads more space. 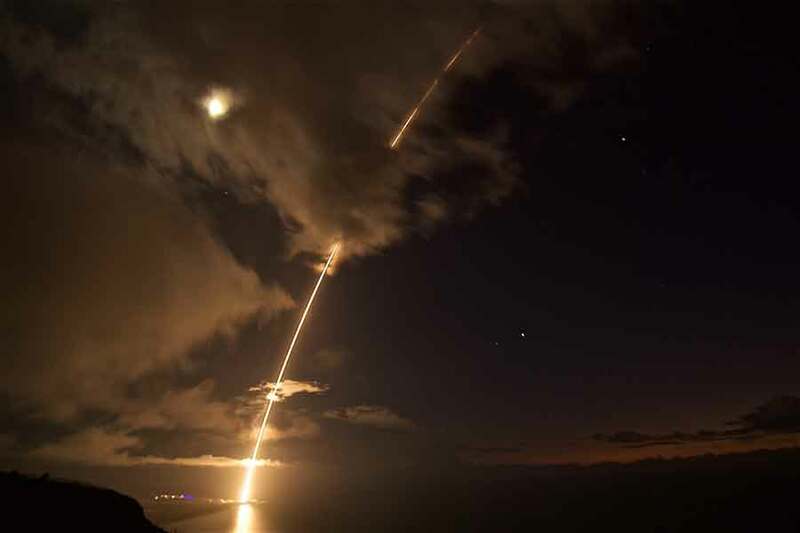 North Korean threat sees Japan extend Aegis ballistic missile defence system to shore-based locations. 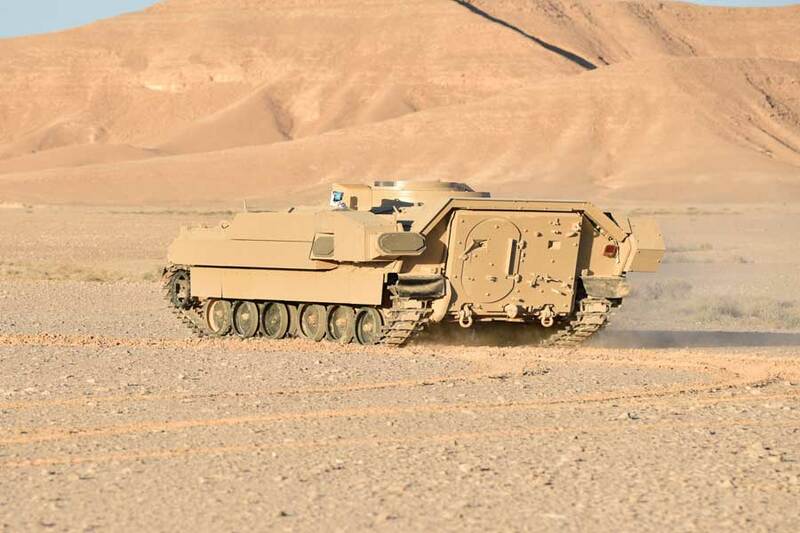 In a contract worth €17 million, Rheinmetall will supply Jordan with an additional 25 Marder IFVs. 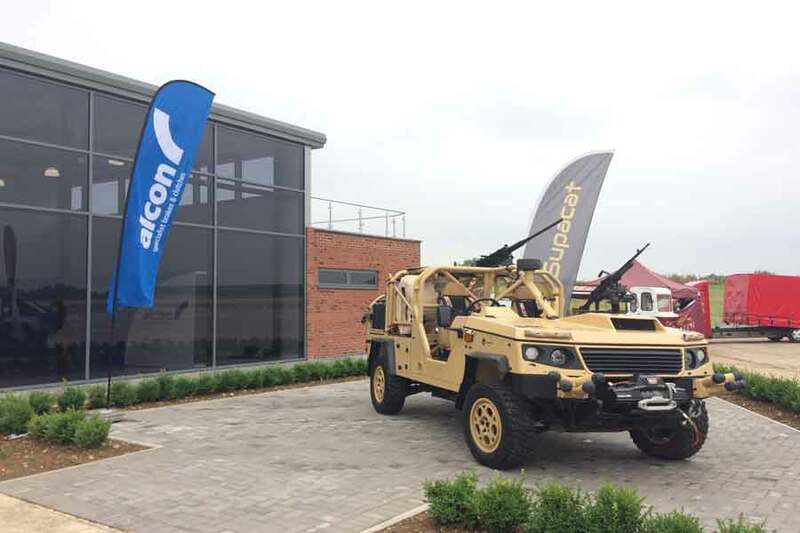 Motorsport brake company expands production facilities for the UK and US defence and security sectors. 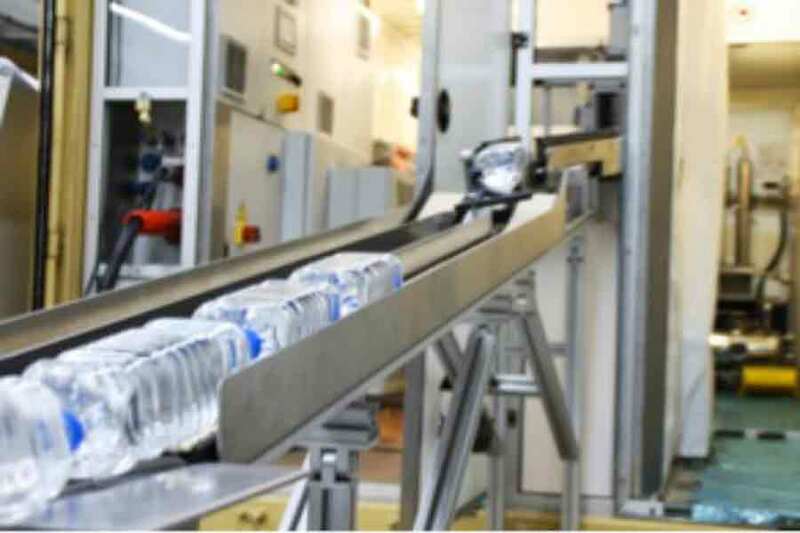 An often overlooked security threat is the theft of goods in transit, which could see valuable cargo fall into the wrong hands. 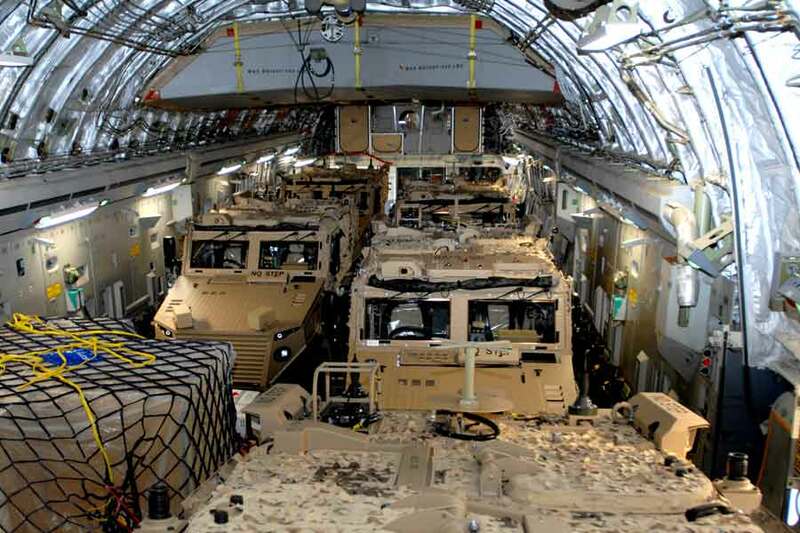 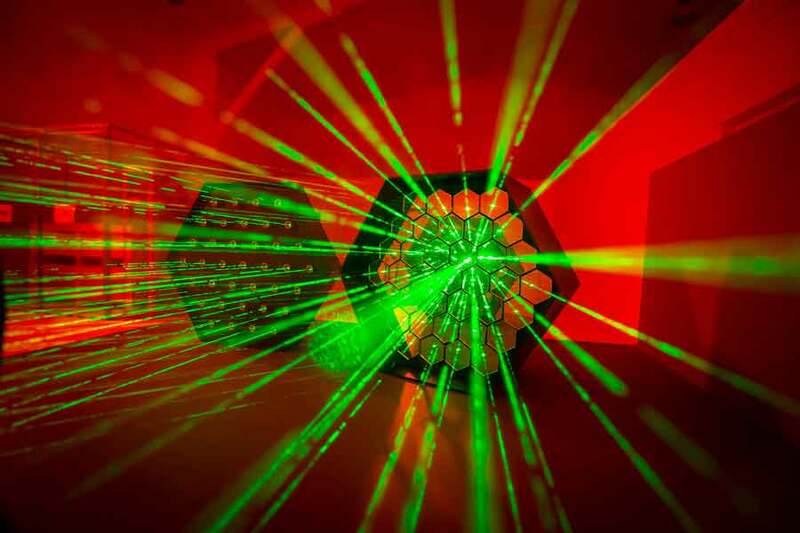 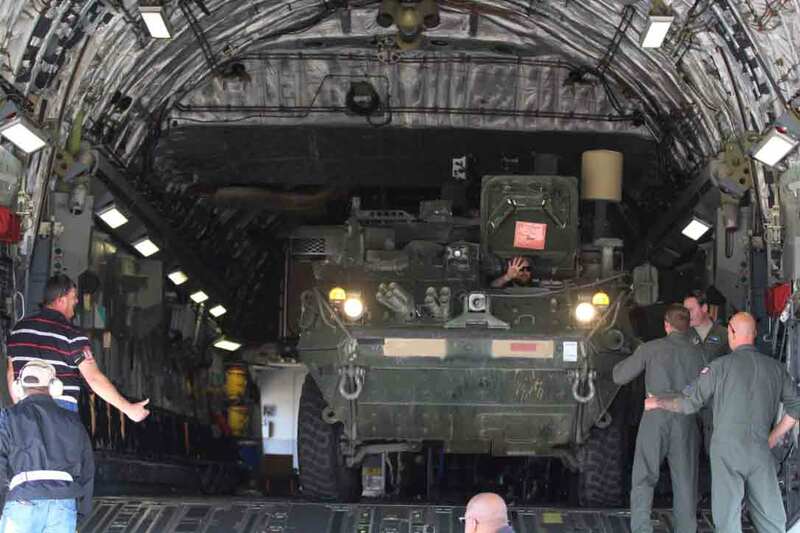 An acoustic emission sensor network could drastically cut Army vehicle lifecycle costs. 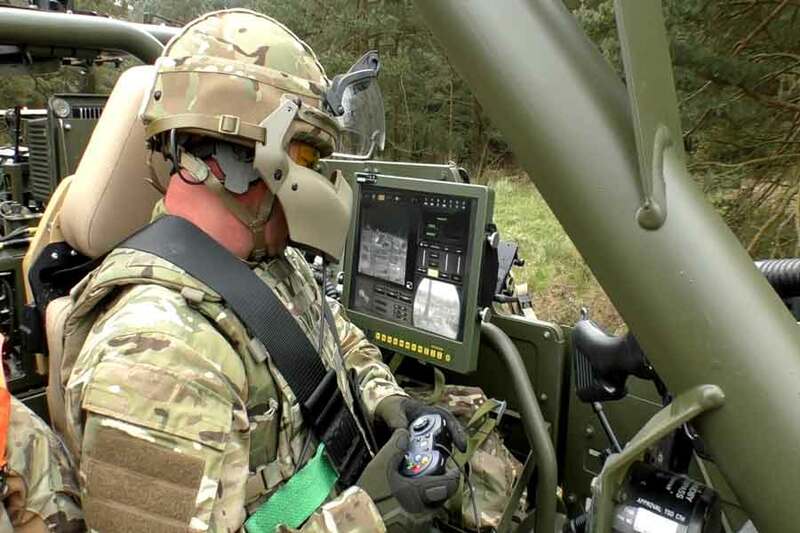 Rockwell Collins' rear-projected dome and helmet-mounted displays chosen by US Army and ADF. 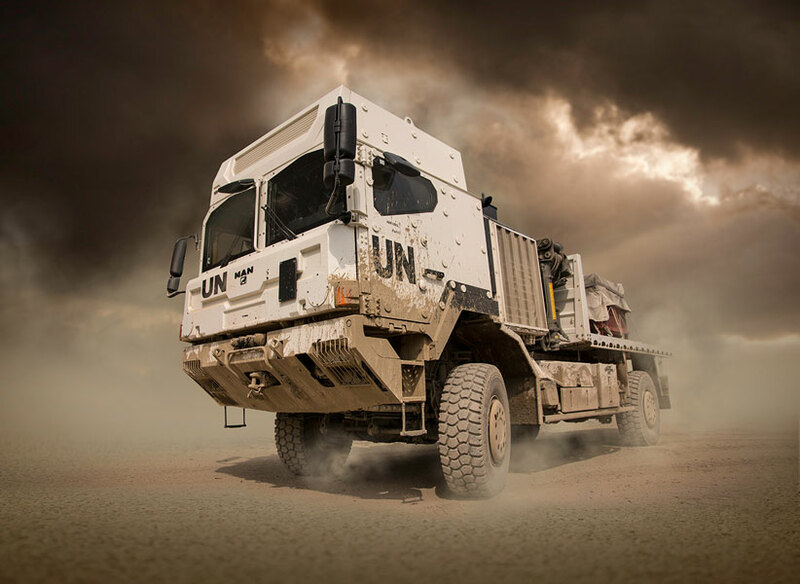 NIMR's international expansion continues with order for Turkmenistan and new partnerships in SE Asia. 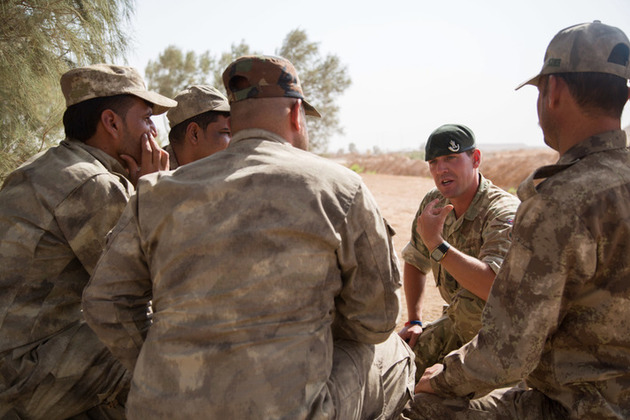 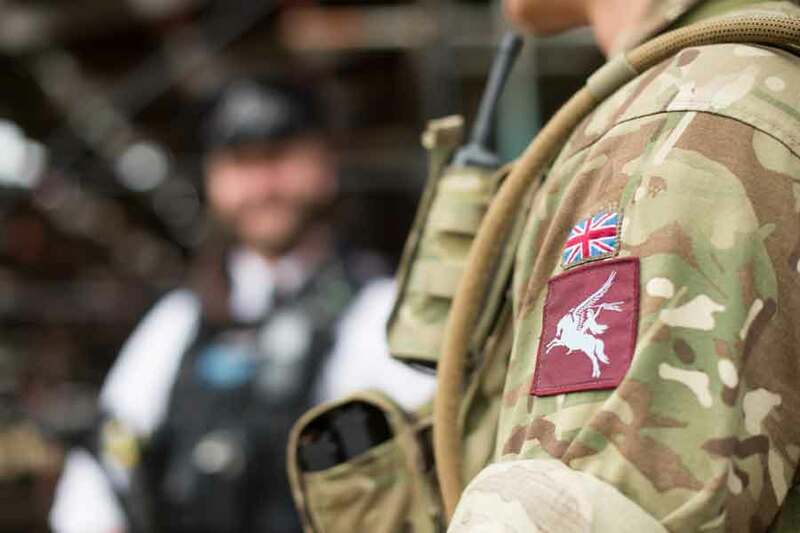 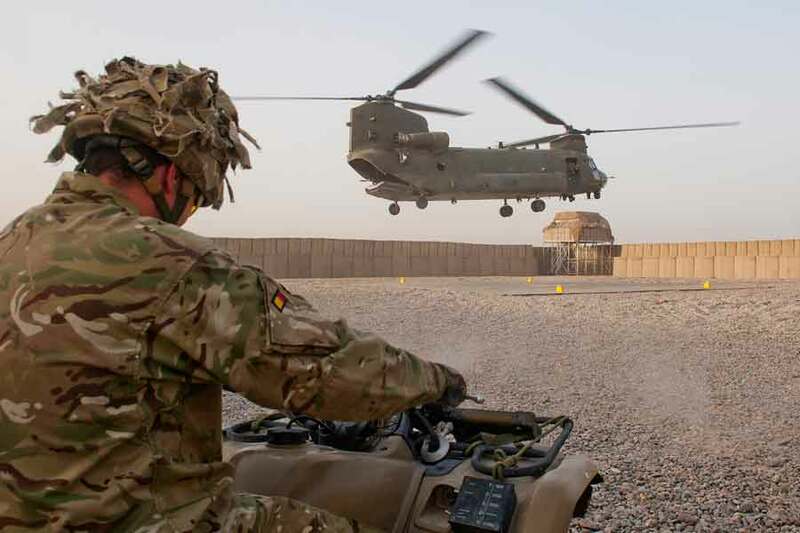 UK forces deployed to provide increased force protection as Daesh's retreat continues. 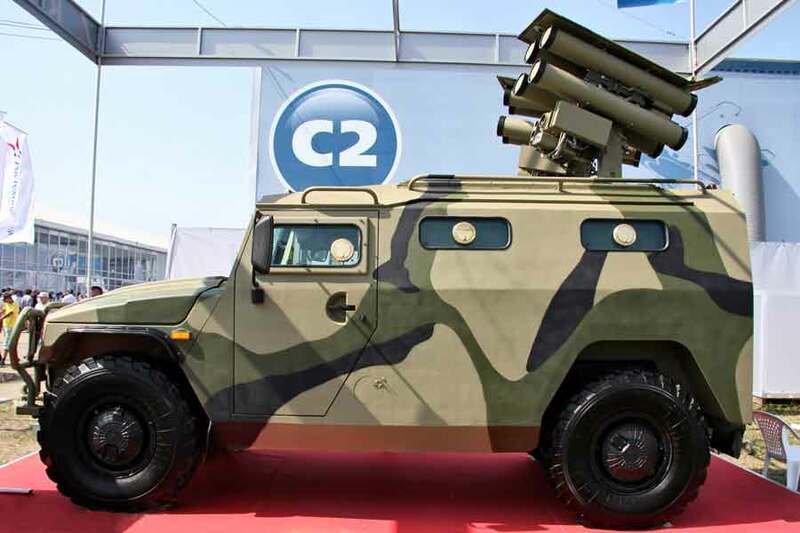 Russian anti-tank missiles, rocket and grenade launchers and assault rifles to be produced in Saudi Arabia. 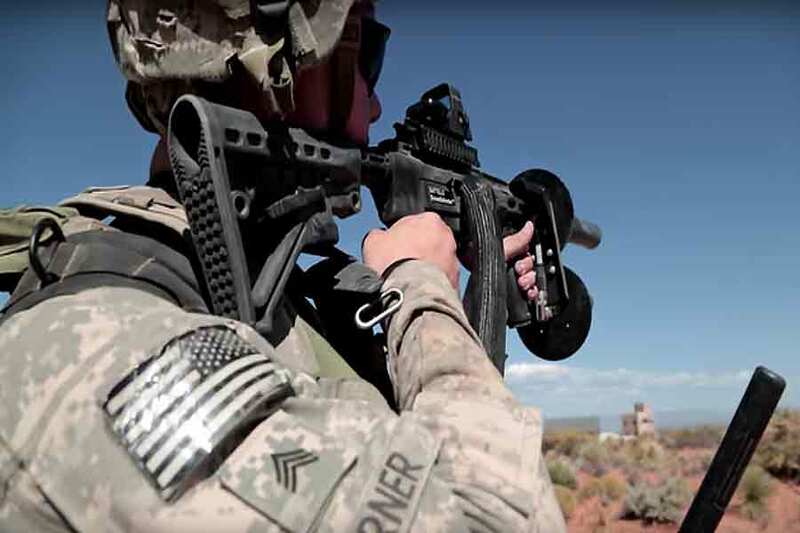 A new product for Special Forces uses augmented reality for dismounted operations on the battlefield. 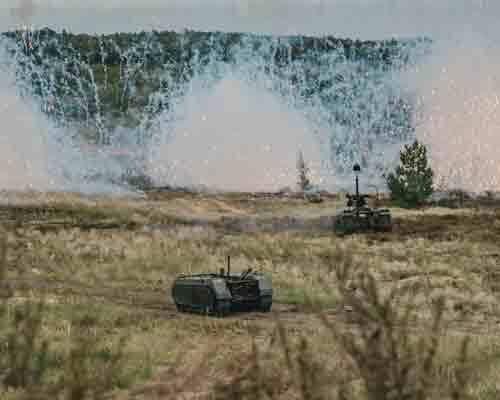 Artificial intelligence solutions for autonomous resupply of soldiers on the frontline. 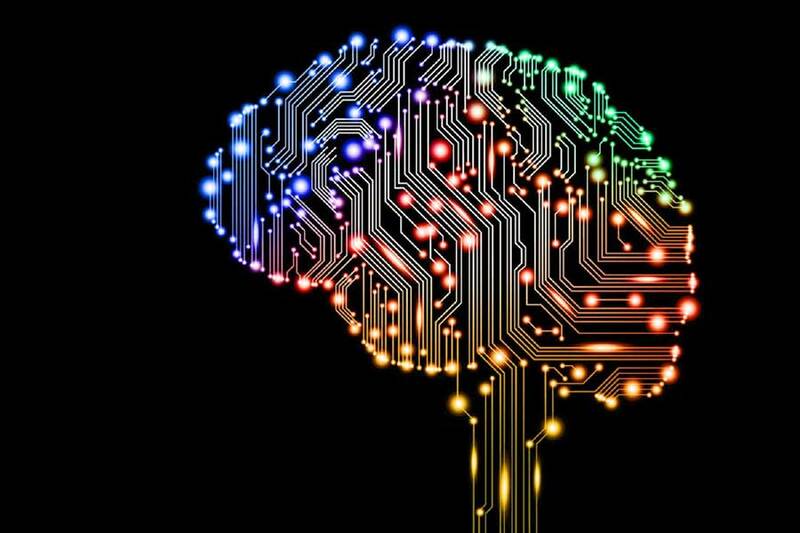 Machine learning for better predicting supply and demand on the frontline. 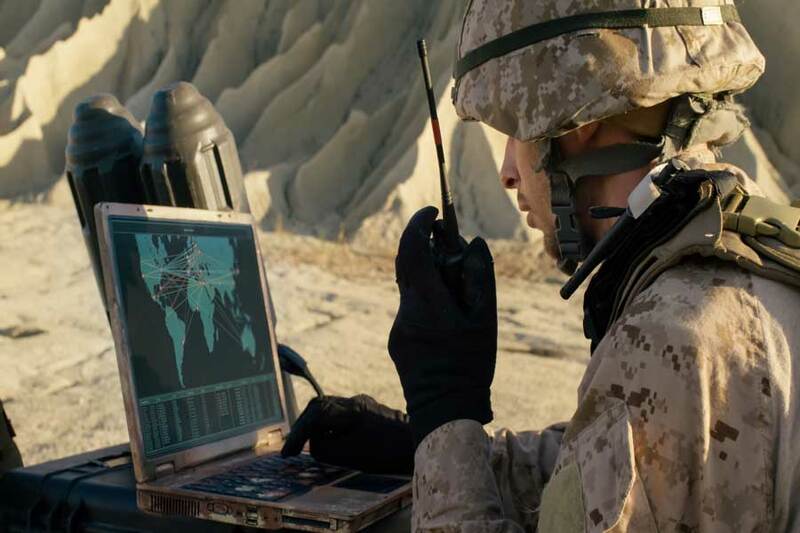 Rheinmetall and Rohde & Schwarz join forces for German Army tactical comms upgrade. 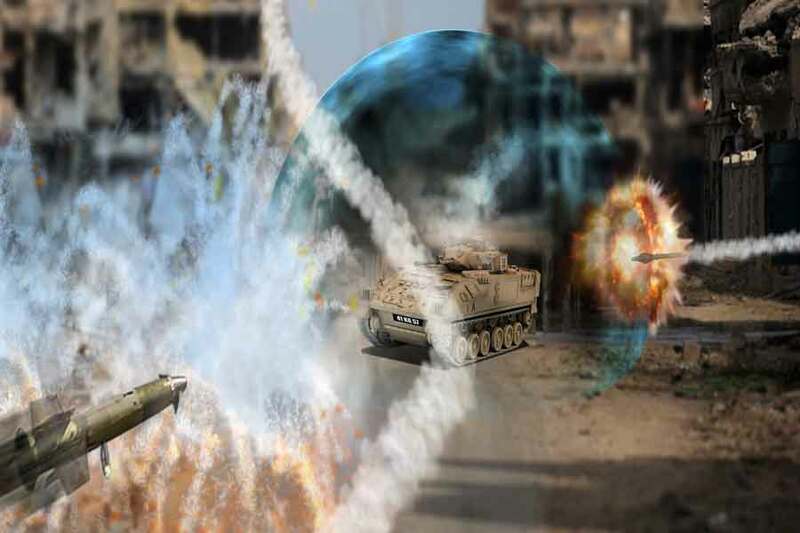 Programmable ammunition, from Nammo, could protect soldiers against drone attacks. 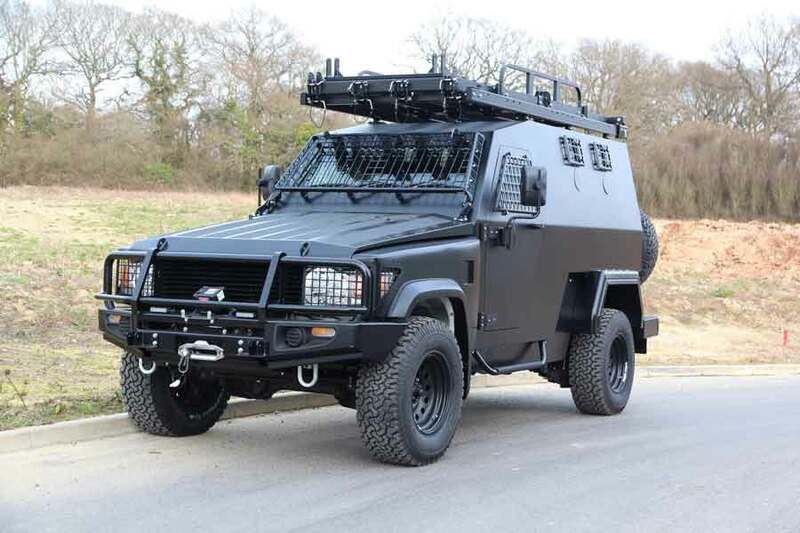 General Dynamics' Eagle 6x6 to commence trials for UK Multi-Role Vehicle Protected Programme. 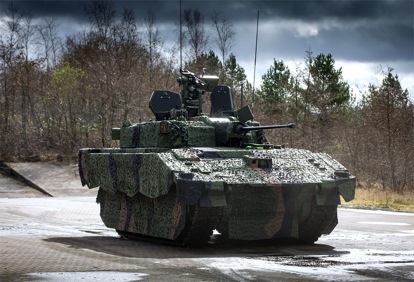 Dstl selects Leonardo to lead Active Protection System development for armoured vehicles. 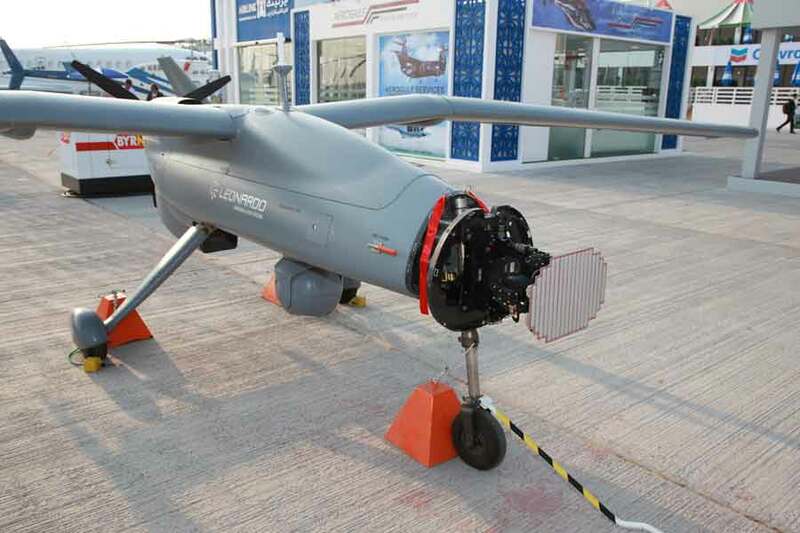 Persistent surveillance and observation with Chess Dynamics' Hawkeye Vehicle System. 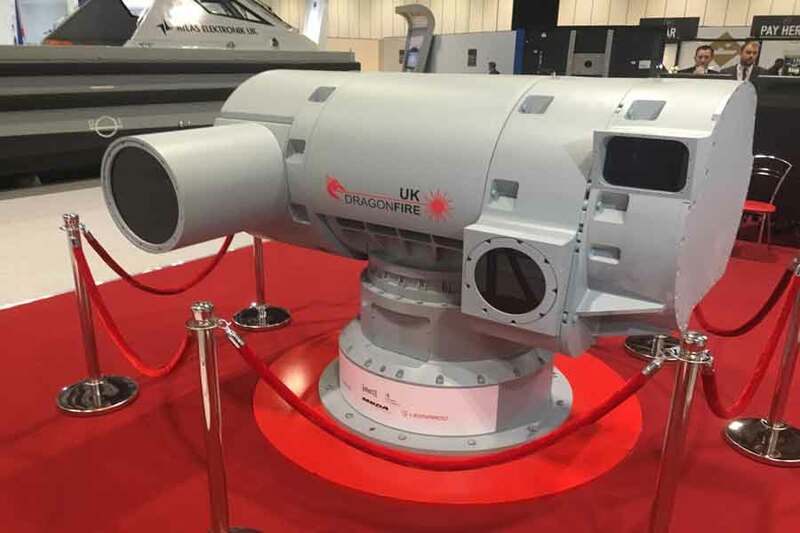 An affordable, lightweight mesh-capable radio that requires no central infrastructure at DSEI. 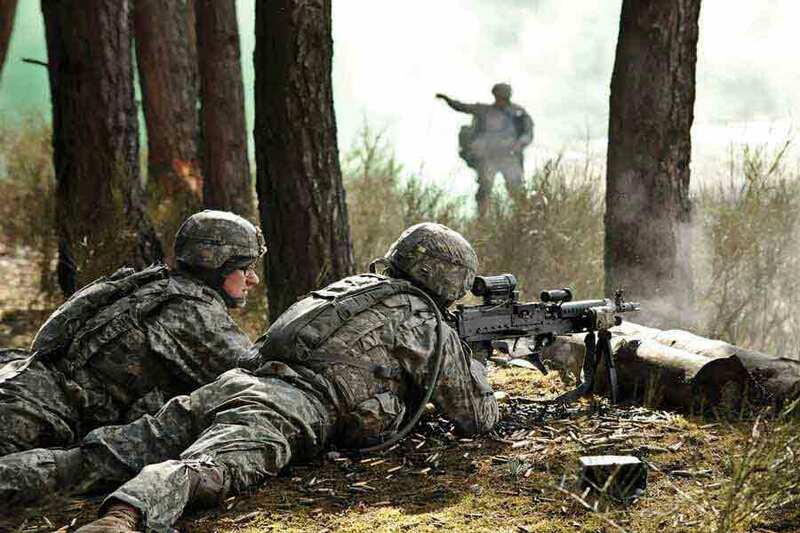 Bodytrak monitors soldiers' heart rate and body temperature in harsh training environments. 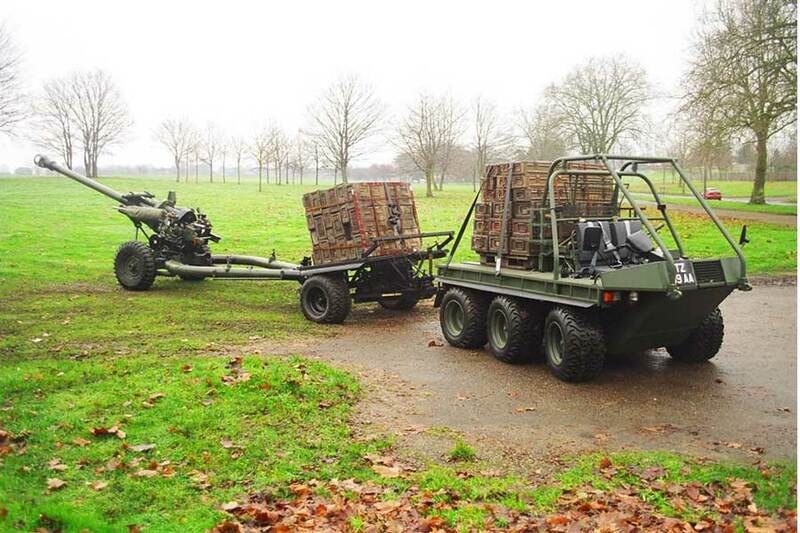 Toxic fuel for heating ration packs to be replaced by bio-ethanol alternative made from sugar beets. 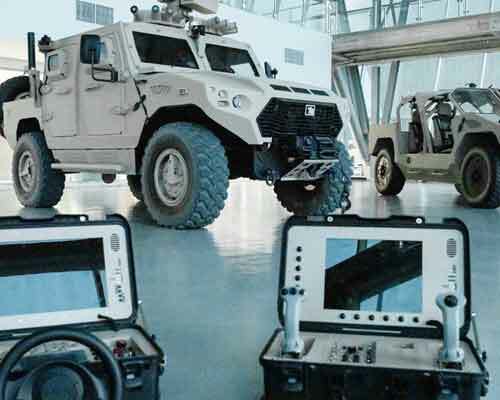 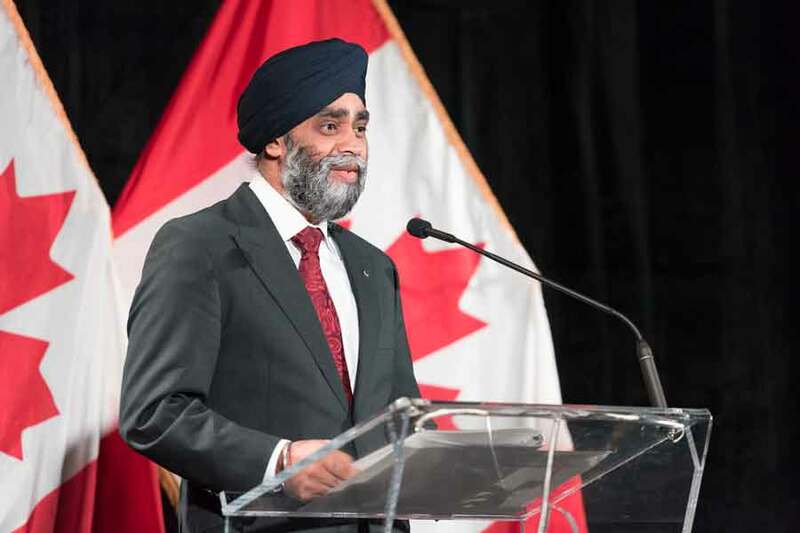 Armoured vehicles to be fitted with Lithium-ion batteries to meet growing energy demands. 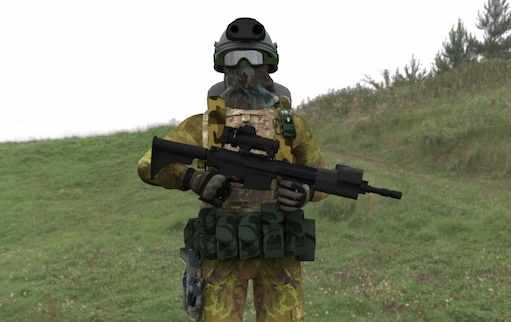 Artificial Intelligence will make it easier to create combat behaviours in Virtual Battlespace 3. 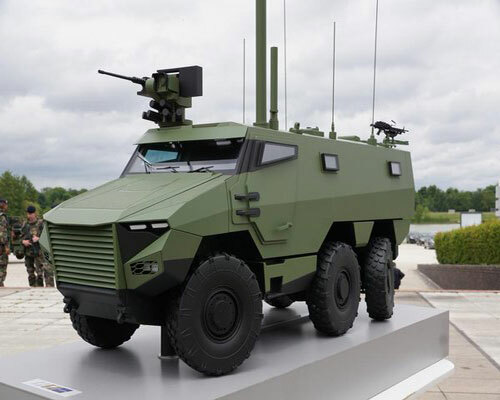 The French Army's new Multi-role Armoured Vehicle paraded on the Champs-Élysées. 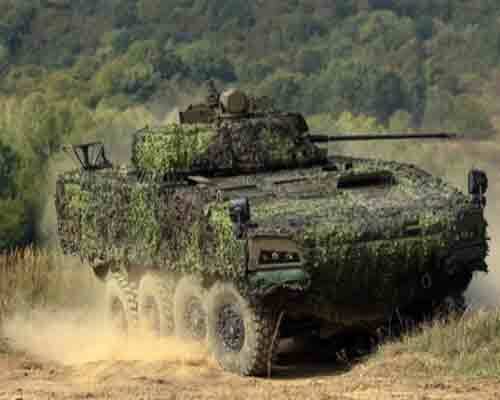 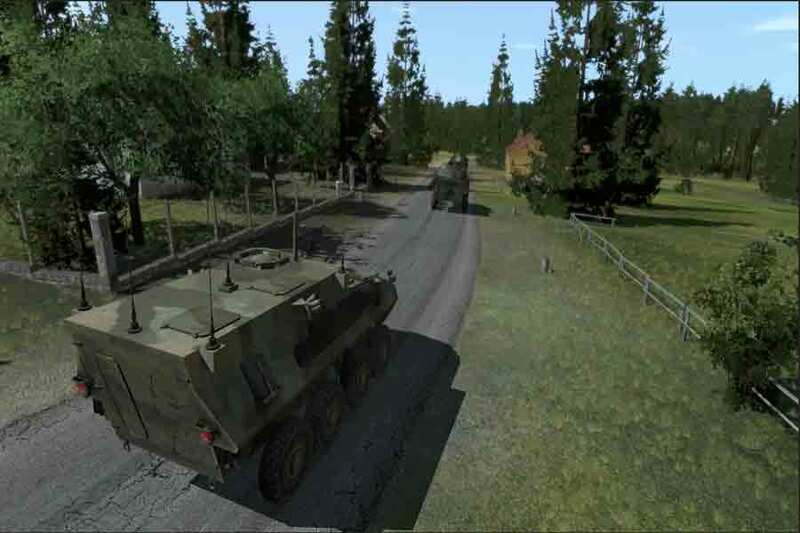 German Army Puma and Boxer command vehicles to be fitted with software-defined radio. 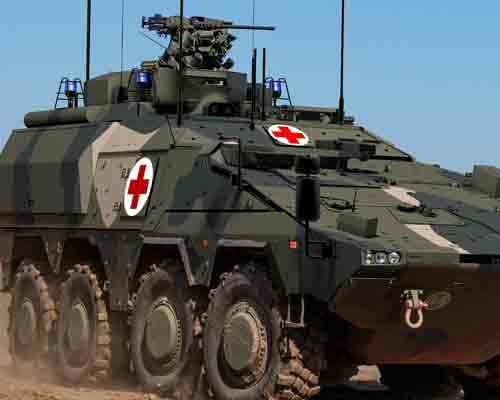 German Army's Boxer armoured transport vehicles to be reconfigured for command role. 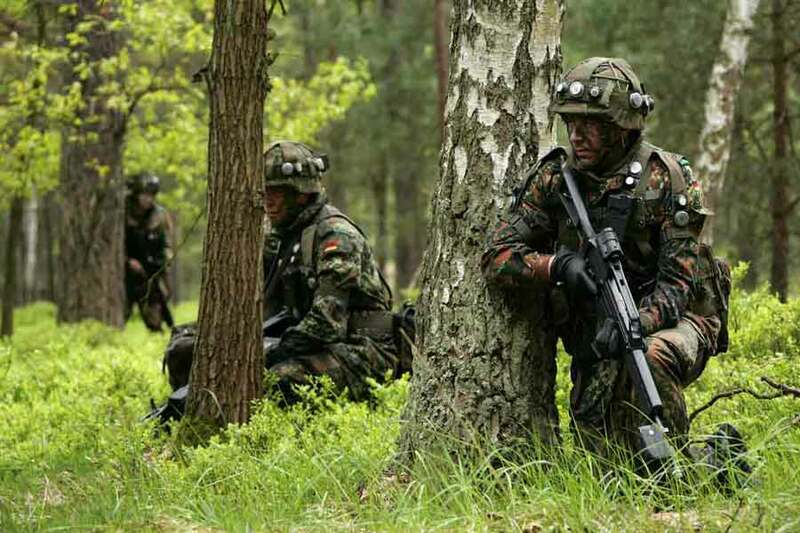 Rheinmetall secures multimillion-euro order for more German Army Future Soldier systems. 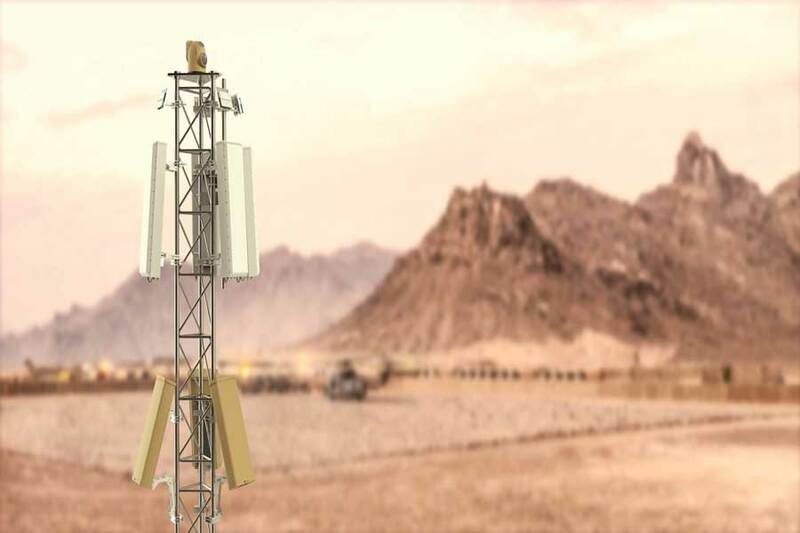 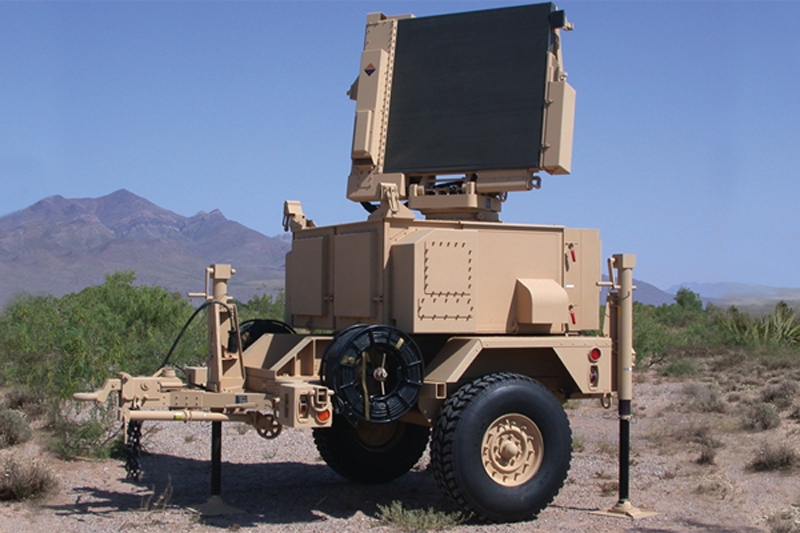 Thales's multi-function Ground Fire radar can be used for air defence and surveillance missions. 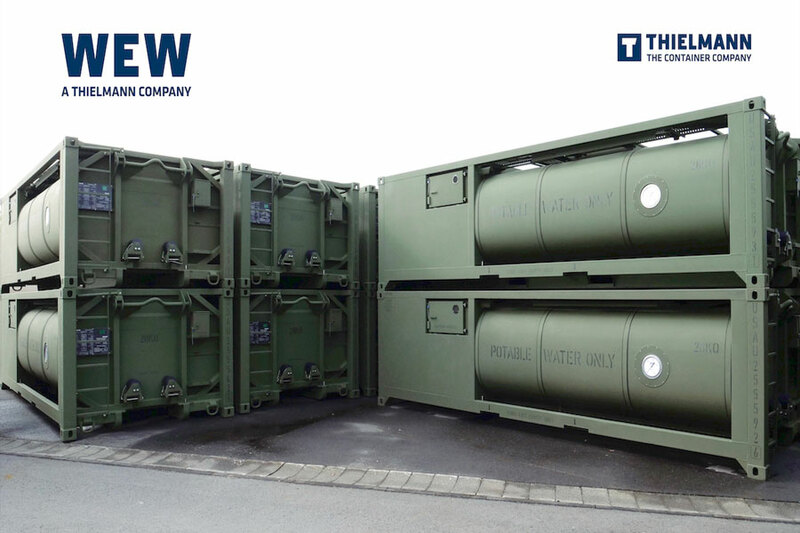 Kärcher Futuretech's water-filling system is awarded a US DoD contract. 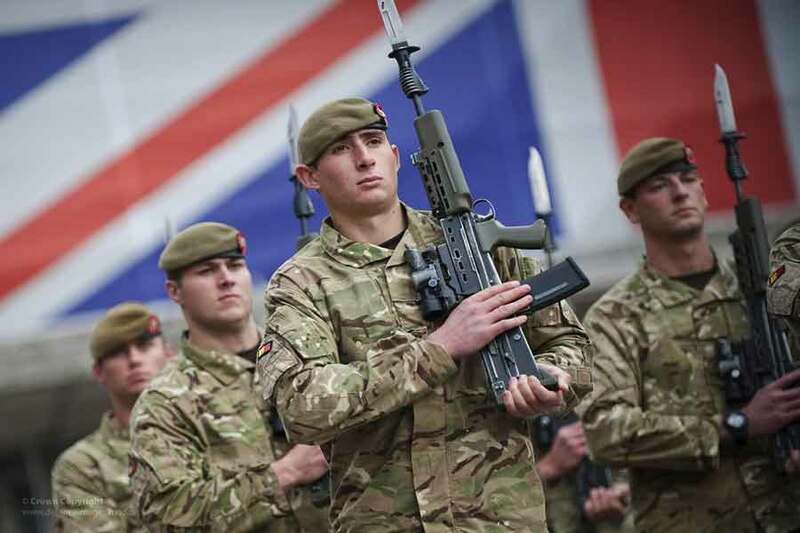 Is more troops on the streets a viable long-term strategy for countering terrorist attacks? 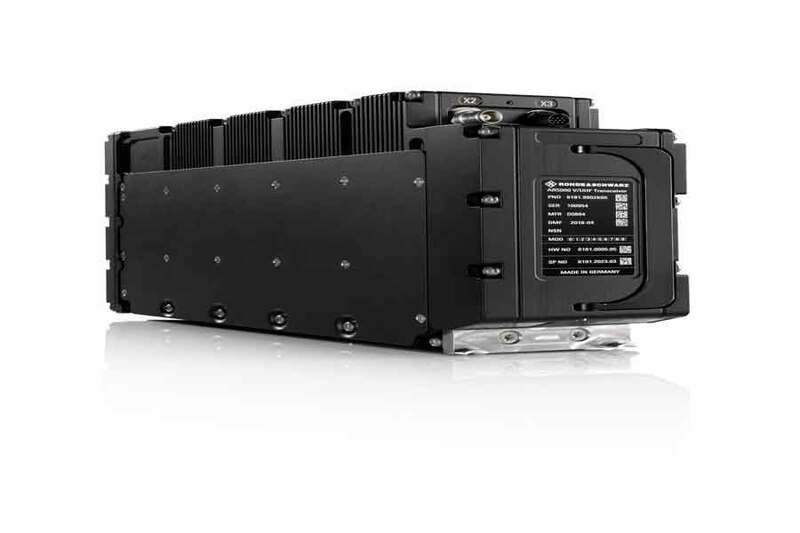 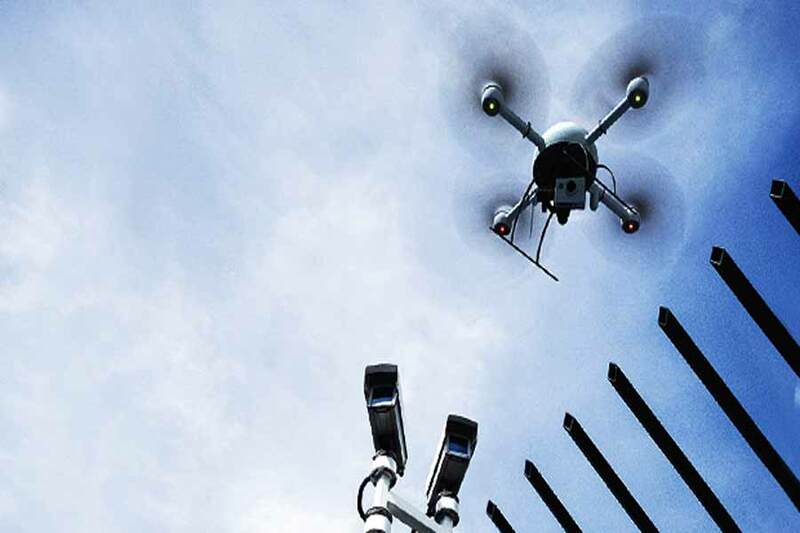 New, integrated drone defence solution from Rohde & Schwarz, ESG and Diehl Defence. 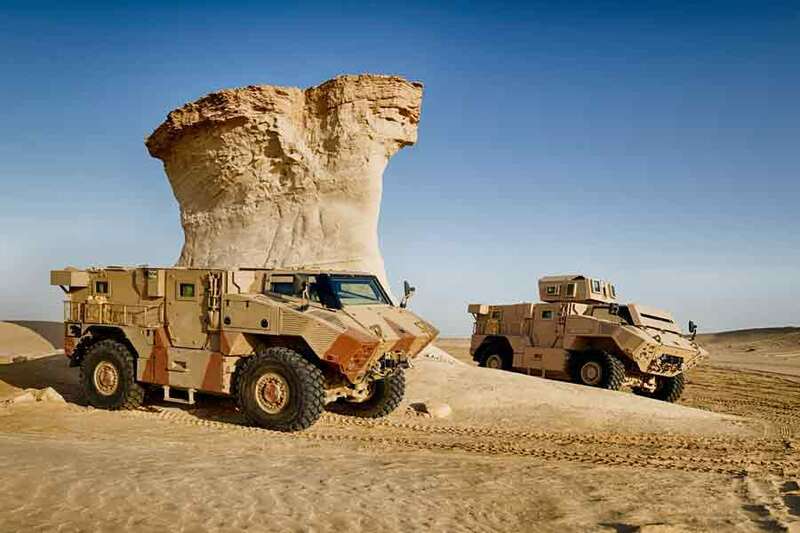 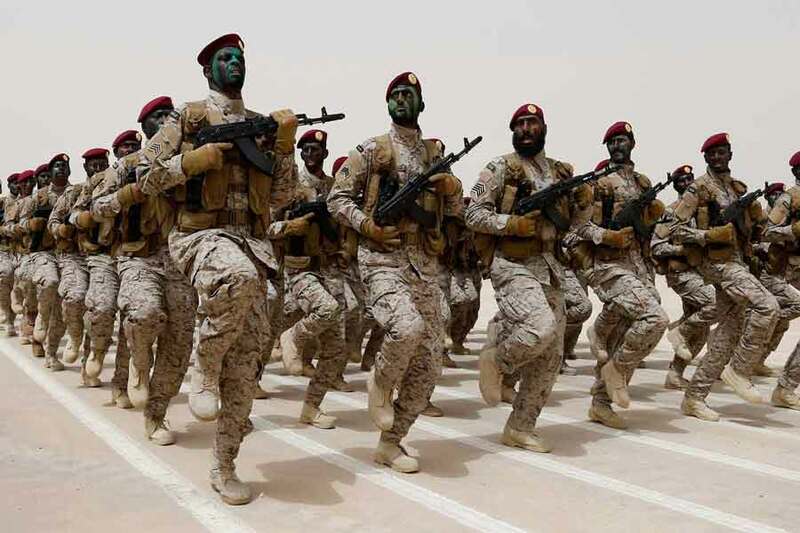 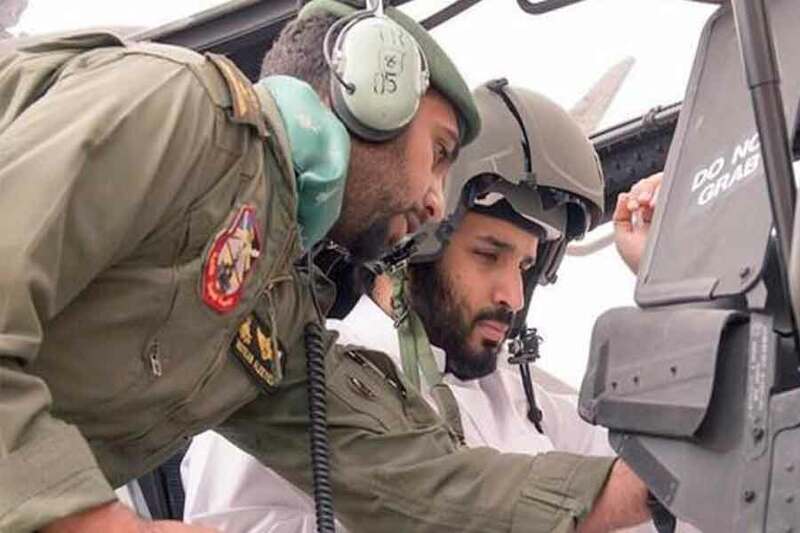 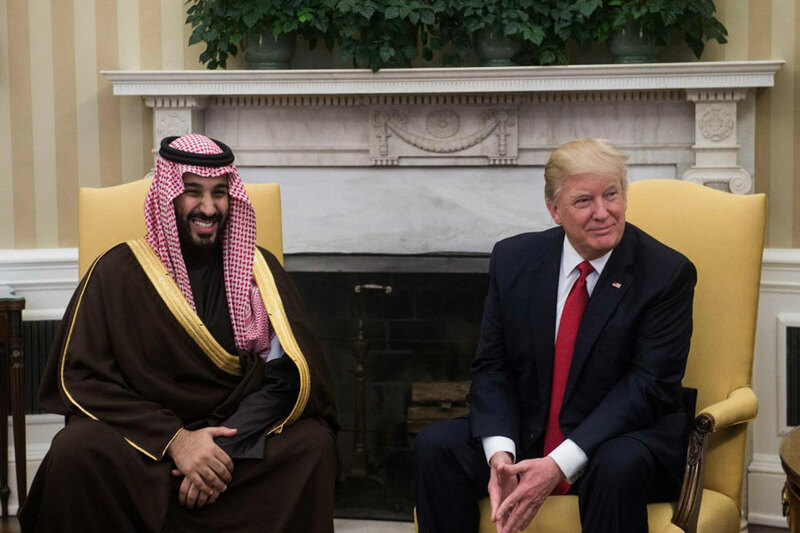 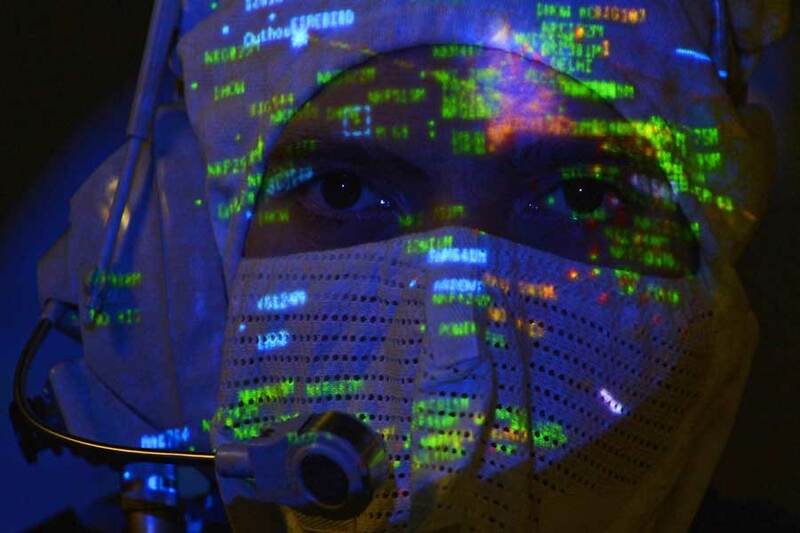 Saudi Arabian Military Industries wants to be a Top 25 global defence company by 2030. 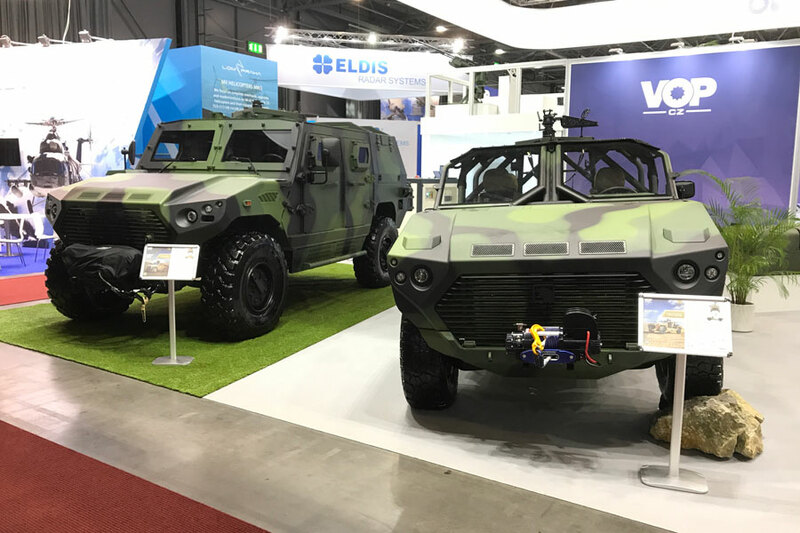 Demos of the latest VR and mixed reality training systems at ITEC 2017 in Rotterdam. 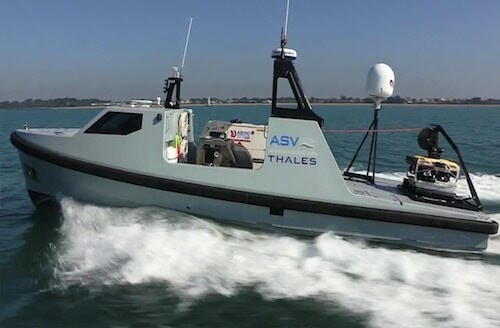 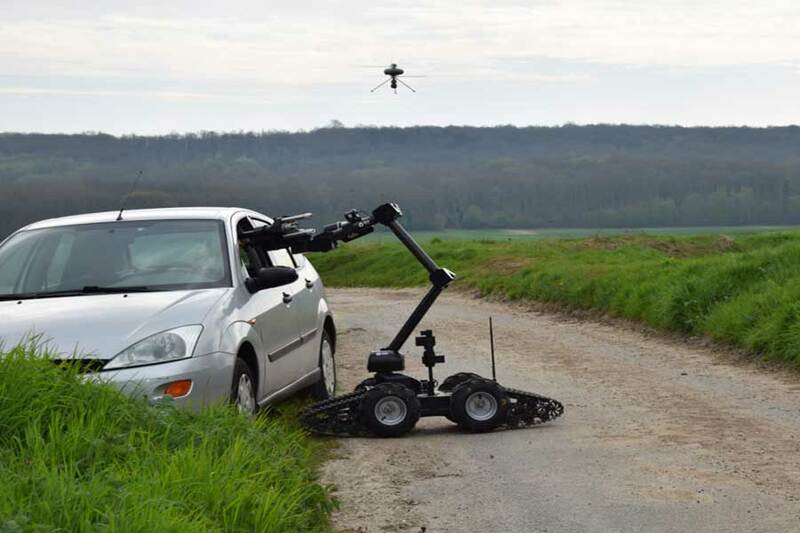 France's ECA Group teams a UAV and an unmanned ground vehicle for stand-off mine clearance. 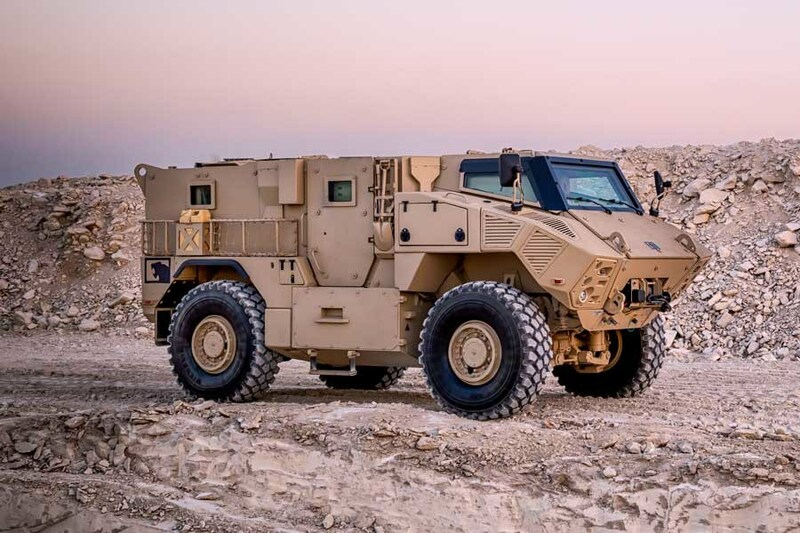 NIMR Automotive participates in International Armoured Vehicles (IAV), Jordan. 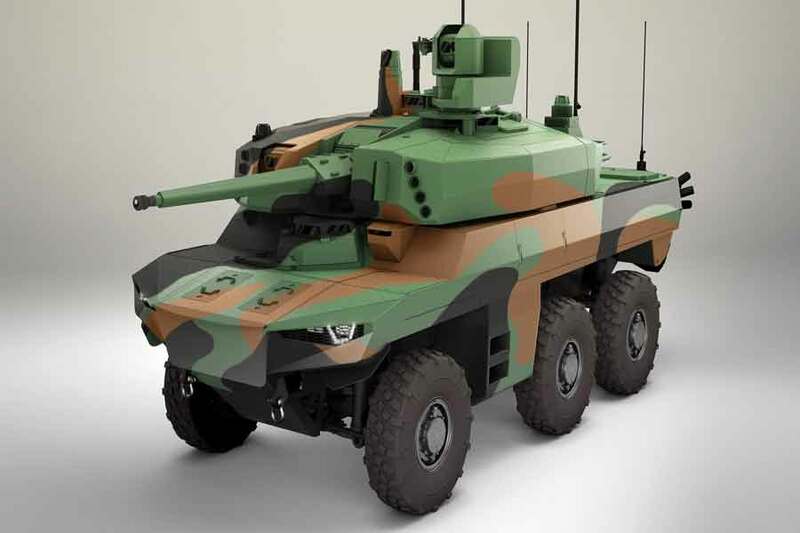 First batch of Griffon and Jaguar armoured vehicles to be produced for French DGA. 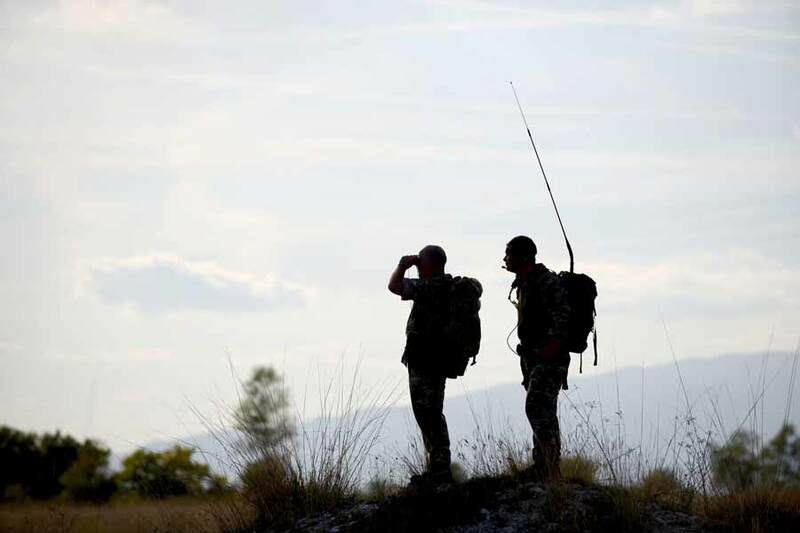 Bowman tactical communications radios will be converted into an open modular system. 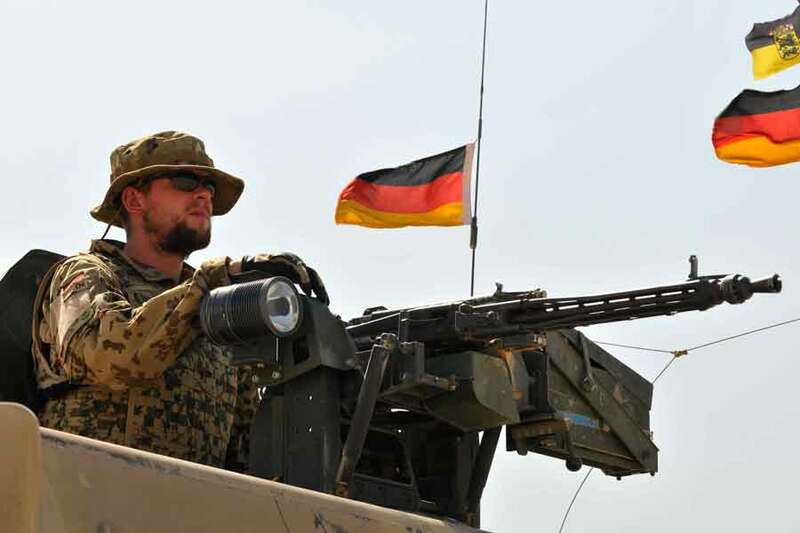 Joint venture will bid for major tactical communications projects by the German Army. 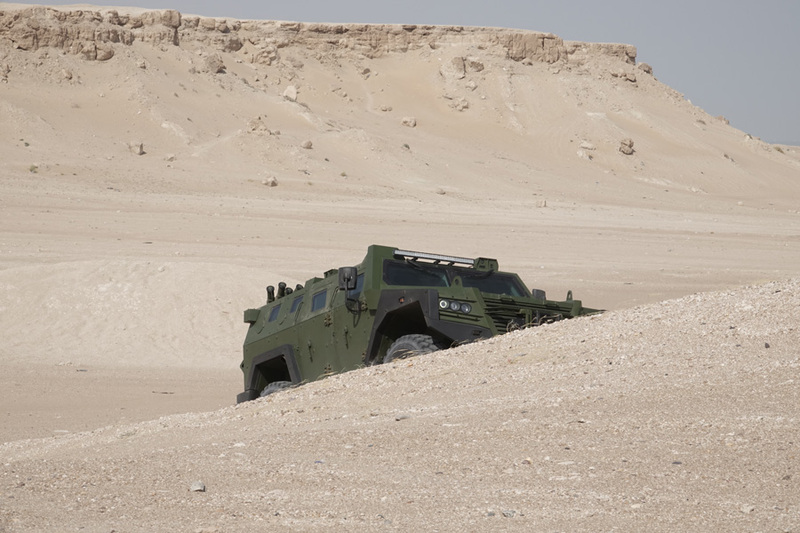 JAIS MRAP features 60% greater protected space and payload capacity. 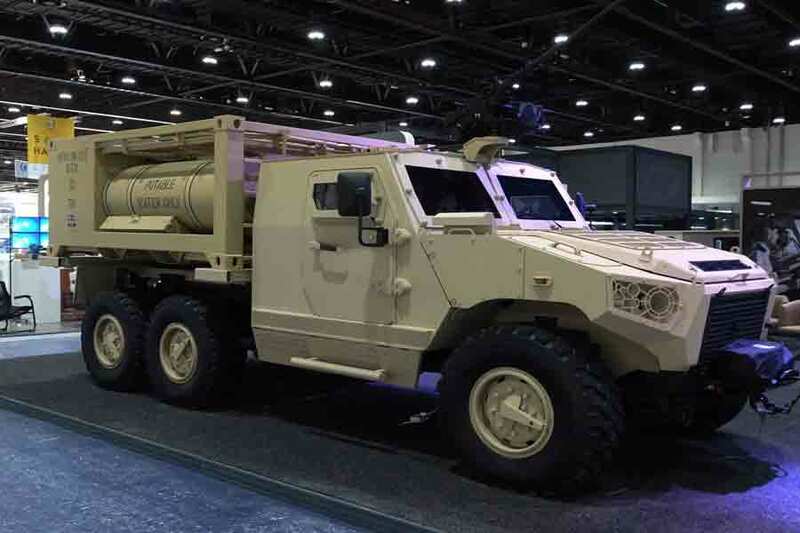 NIMR and WEW unveil vehicle for delivering water to remote patrols. 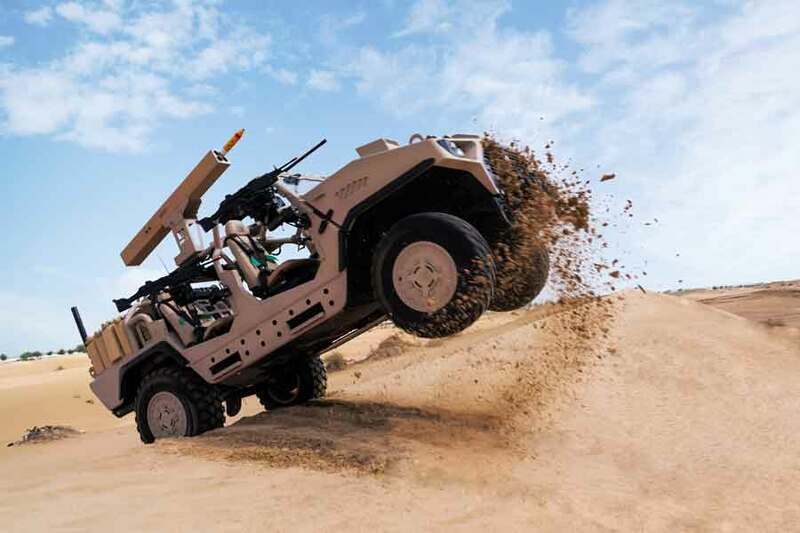 Supacat's HMT 400 Desert variant unveiled at IDEX 2017 in Abu Dhabi. 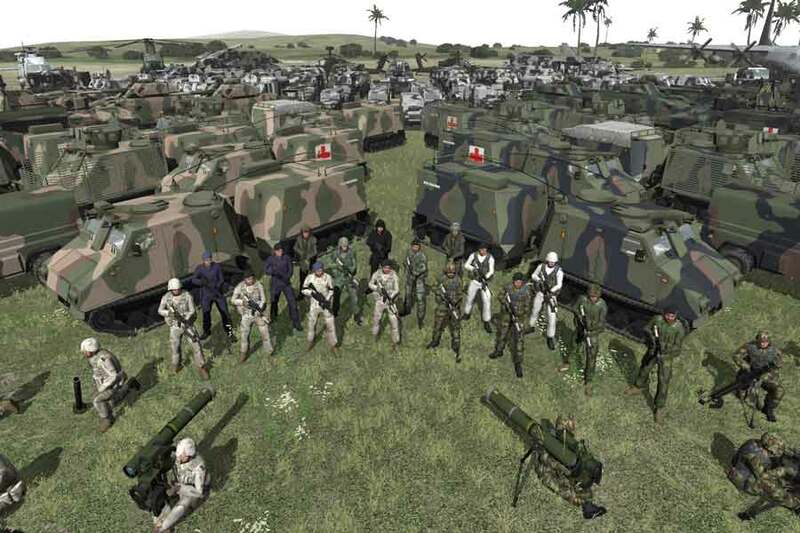 The US Defense Dept. 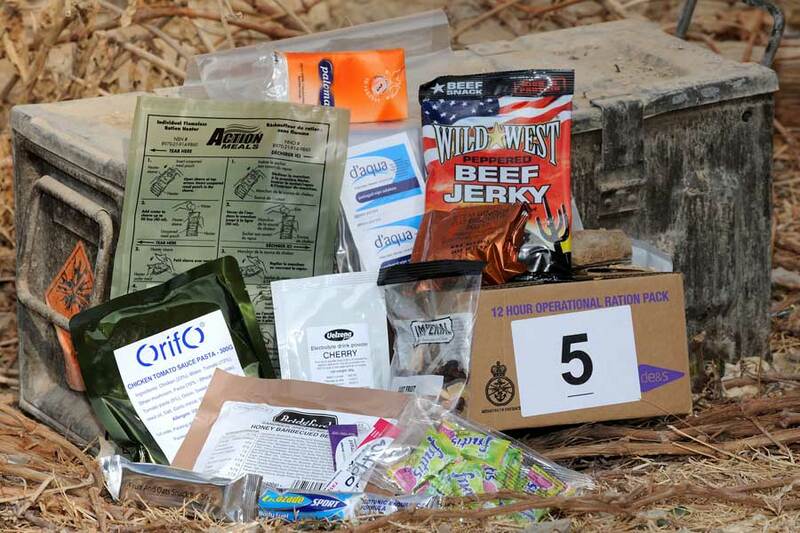 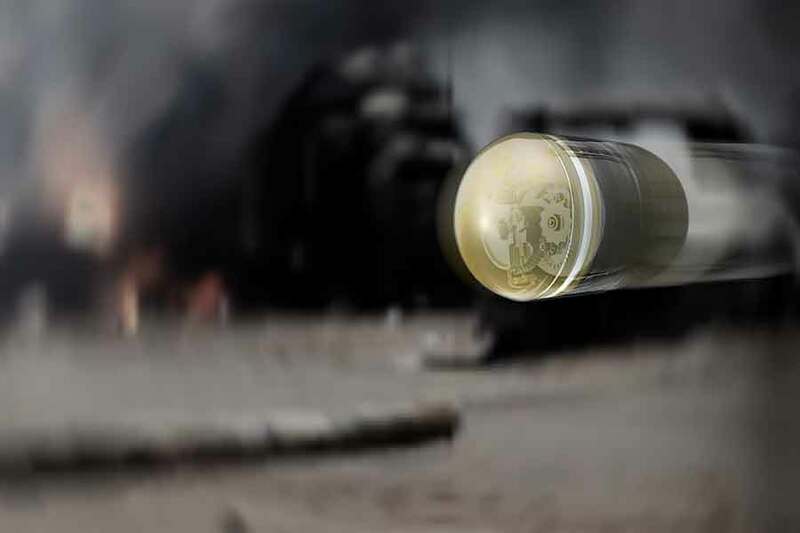 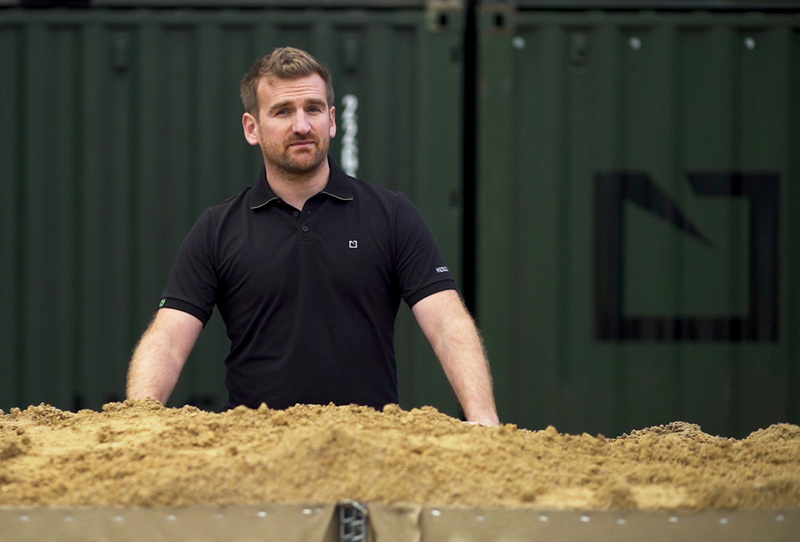 wants biodegradable ammunition to replace current training rounds. 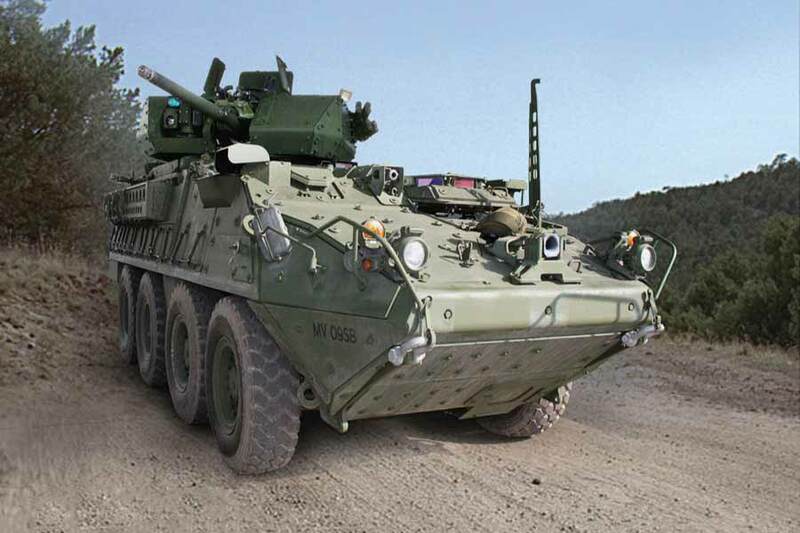 Money saved in the Stryker upgrade programme will be used to field a new RWS. 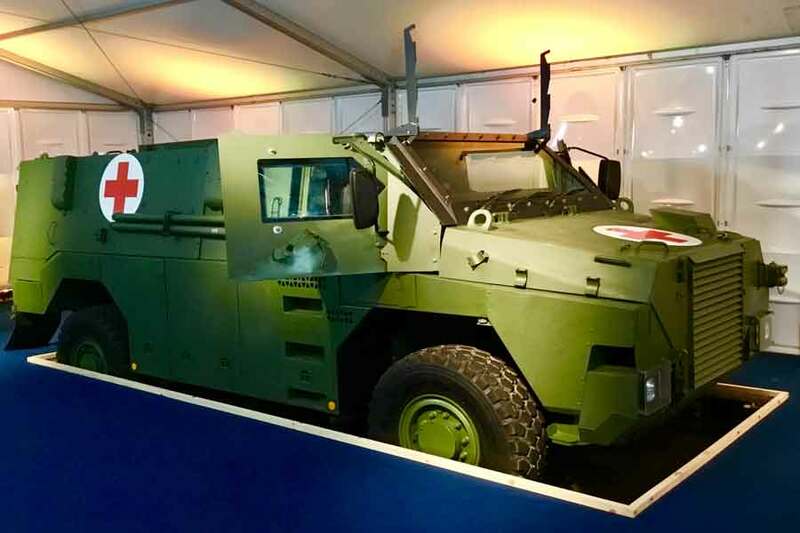 NIMR’s AJBAN 440A armoured military vehicle at International Armoured Vehicles (IAV), London. 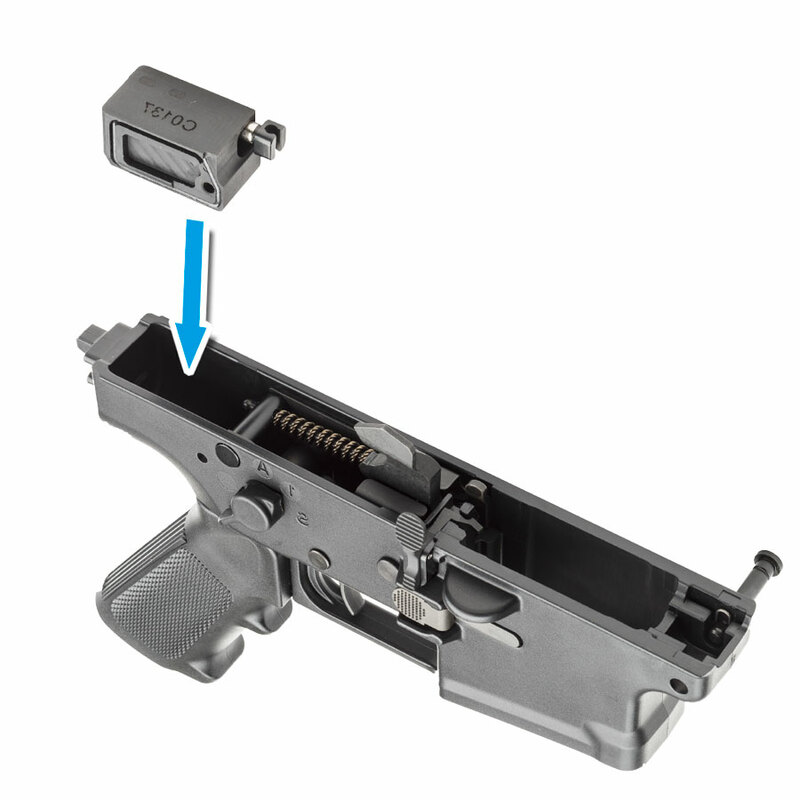 FN SmartCore Provides Enhanced Shot Counter Technology for FN SCAR firearms. 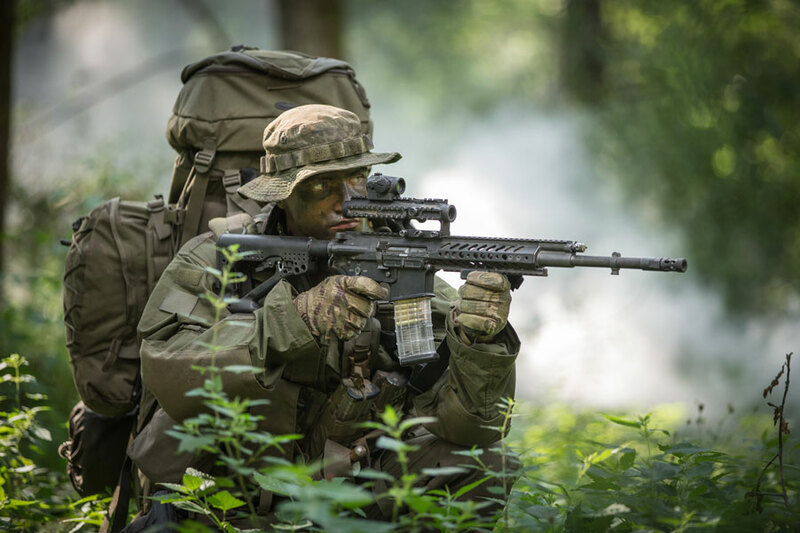 Rheinmetall and Steyr Mannlicher offer new RS556 assault rifle system. 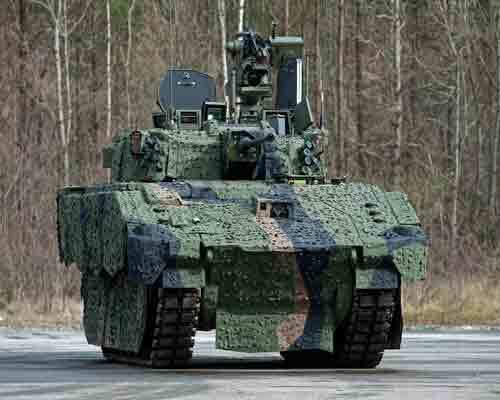 General Dynamics Land Systems UK completes first AJAX programme manned live firing trial. 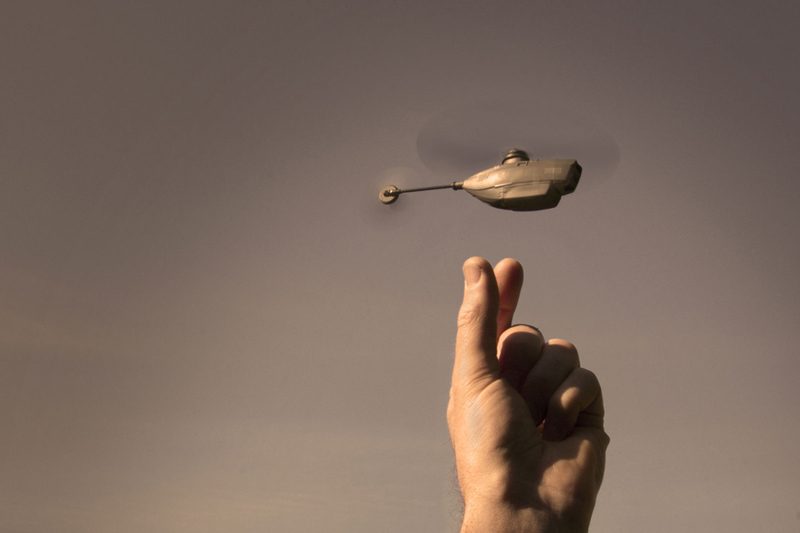 FLIR Systems Acquires Prox Dynamics for $134 million in cash. 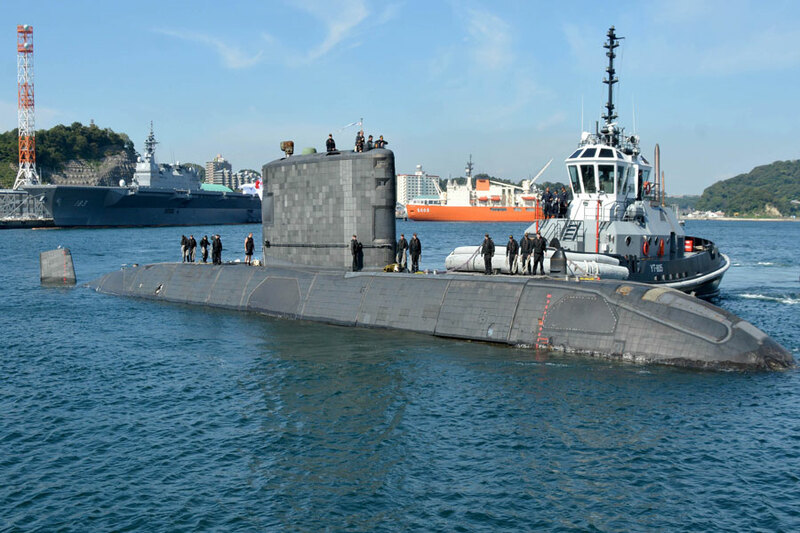 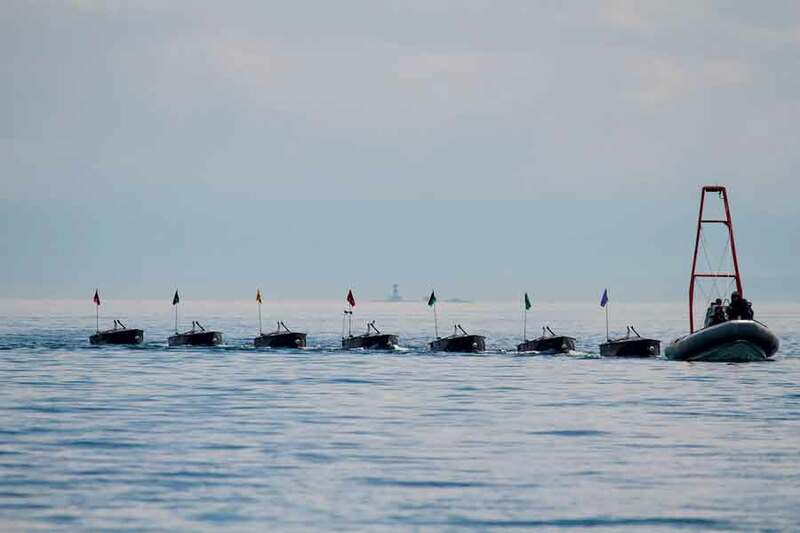 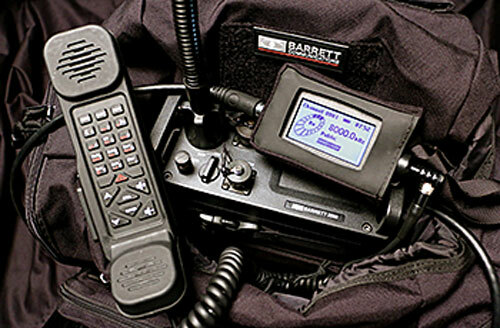 Barrett Communications wins Canadian voice communications contract. 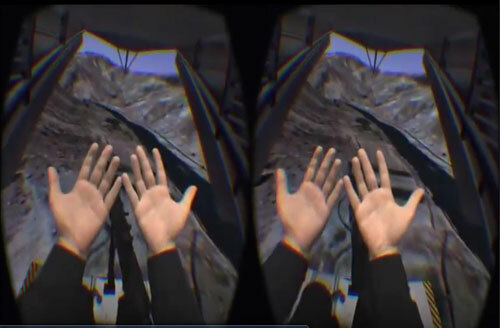 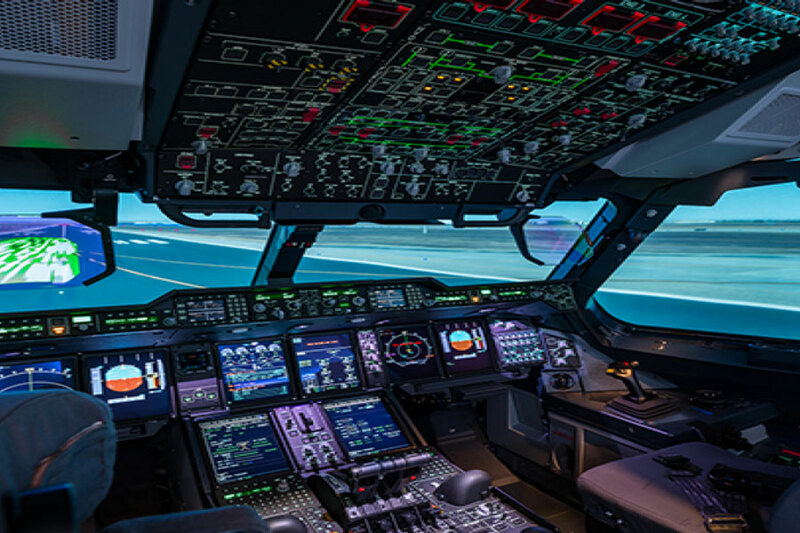 Rockwell Collins Coalescence merges the real-world view with a synthetic environment. 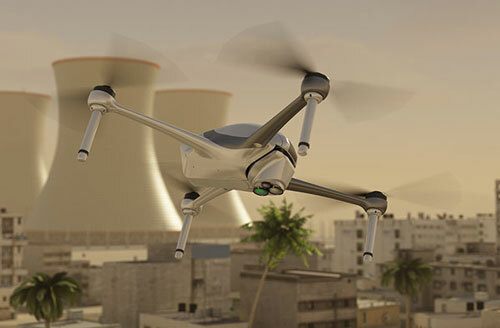 SpectroDrone uses lasers and high-res cameras to detect explosives, IEDs and hazmat. 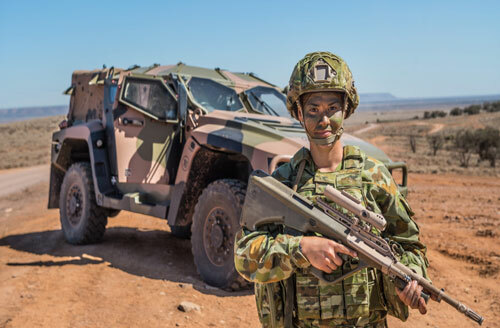 Australia's next-gen Hawkei protected vehicle project achieves major milestone. 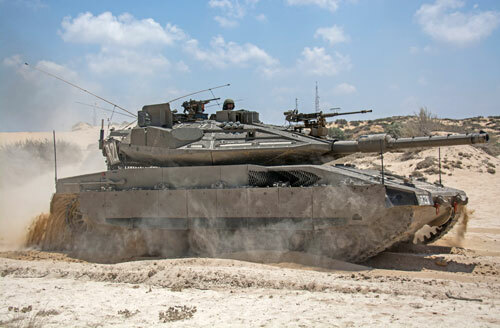 Israel to fit all new Merkava 4 tanks with Trophy Active Protection System. 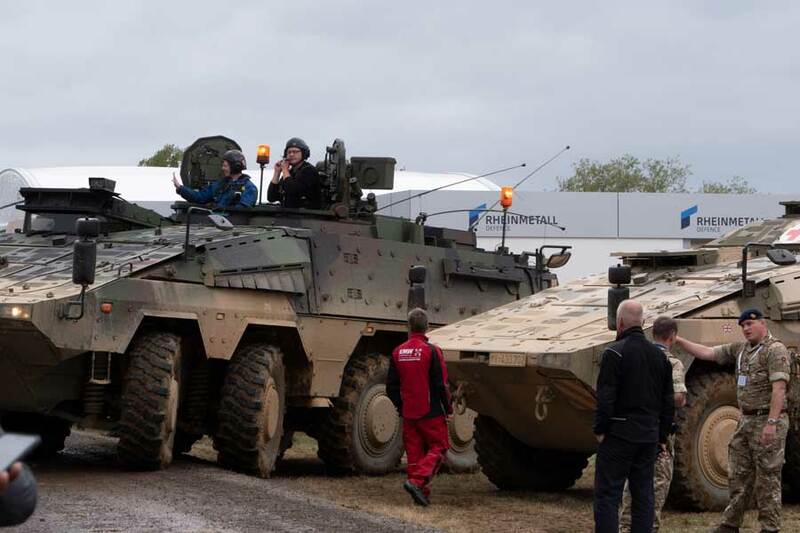 Wheeled and tracked armoured vehicles: a longstanding core competency of Rheinmetall. 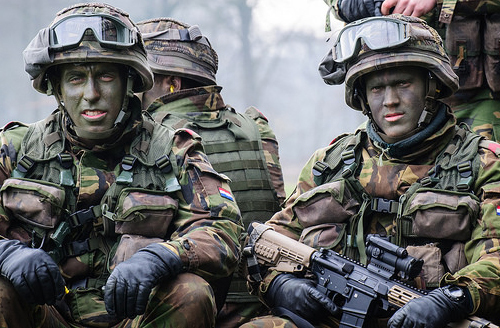 Information gateway for Dutch, Belgian and Luxembourg soldier systems. 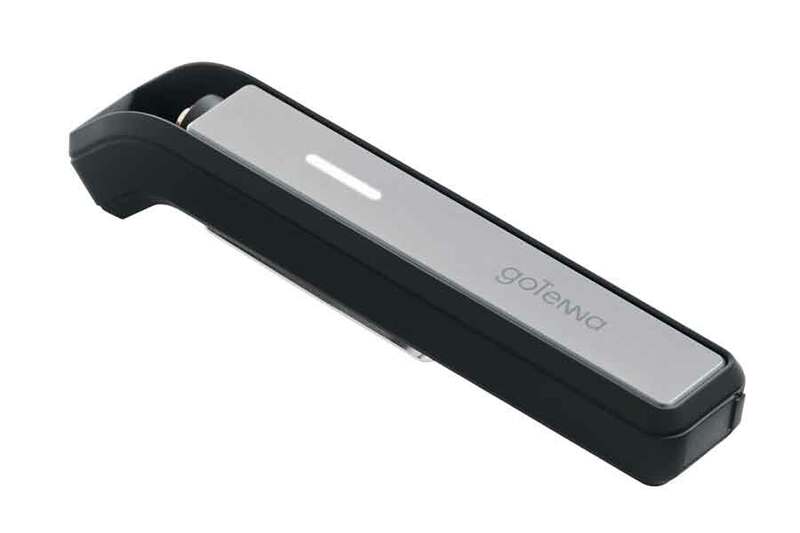 Wearable technology is designed to harvest power through the action of walking. 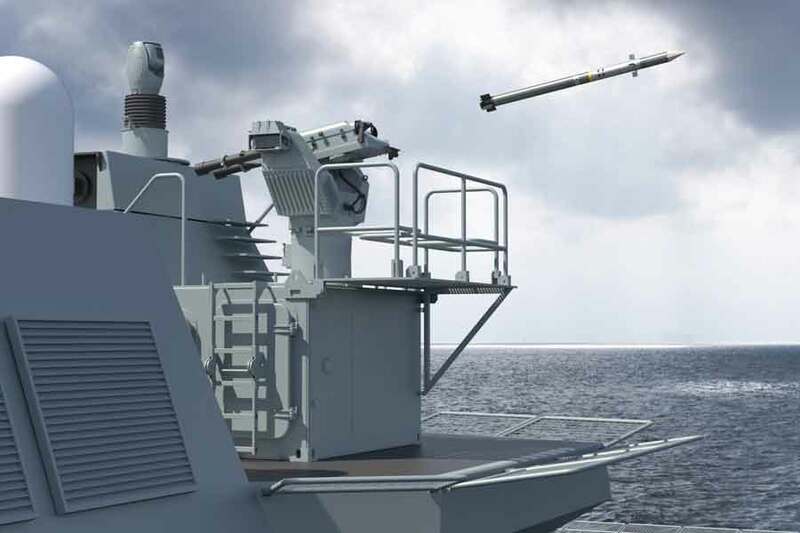 Contract awarded to fulfill demand for Advanced Precision Kill Weapon System. 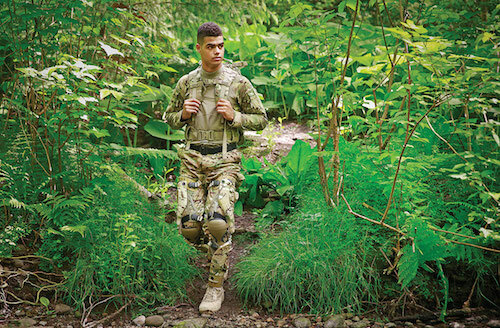 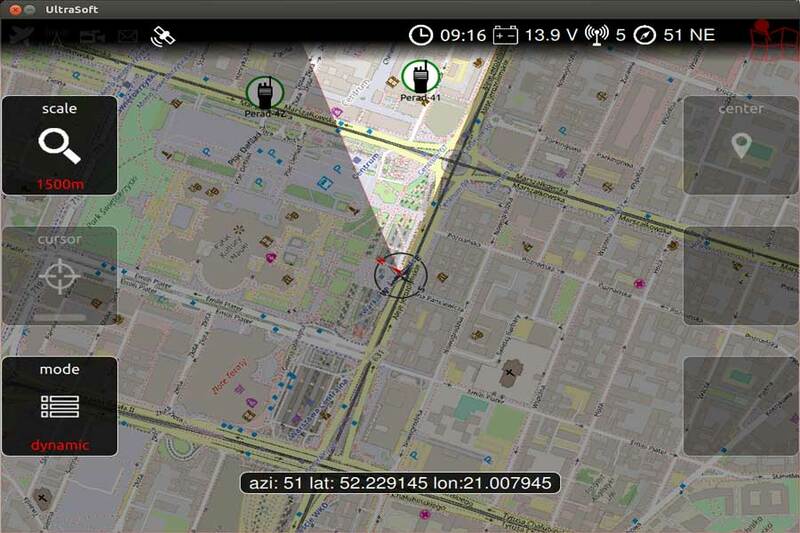 Wearable sensors can track personnel and their weapons in GPS-denied environments. 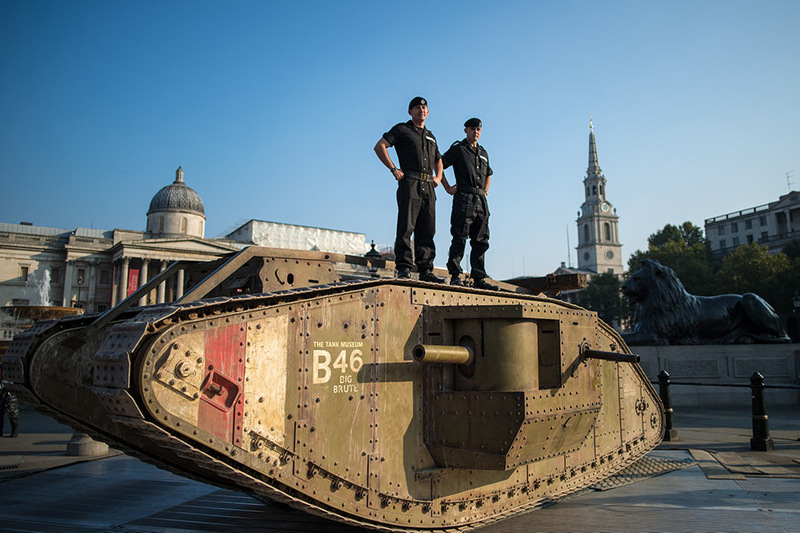 The Battle Of Flers-Courcelette remembered exactly 100 years ago today. 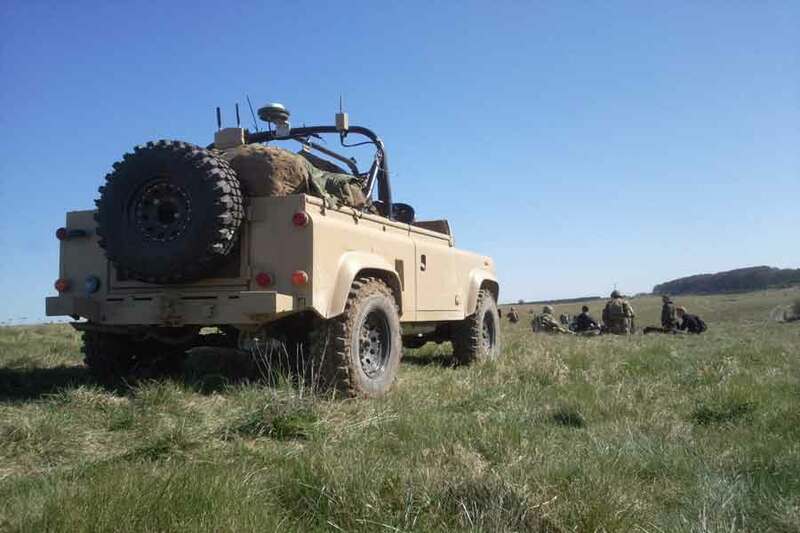 GDLS–UK successfully completes an additional live firing test for AJAX vehicle. 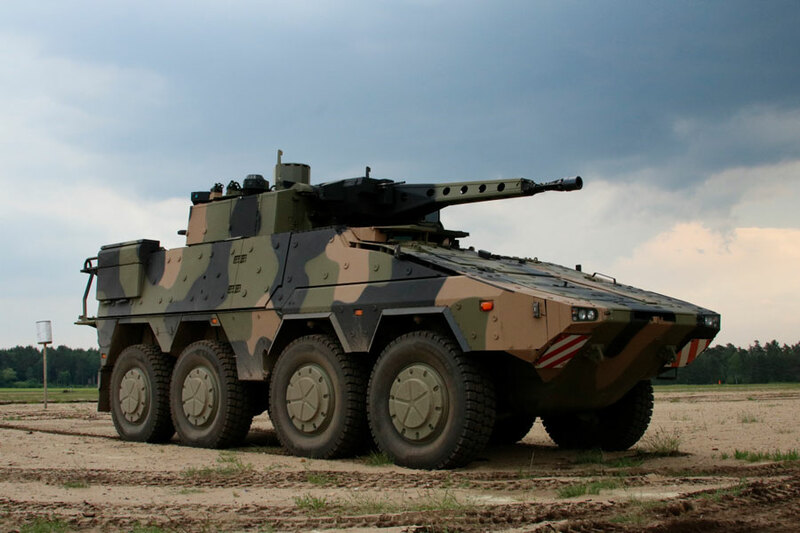 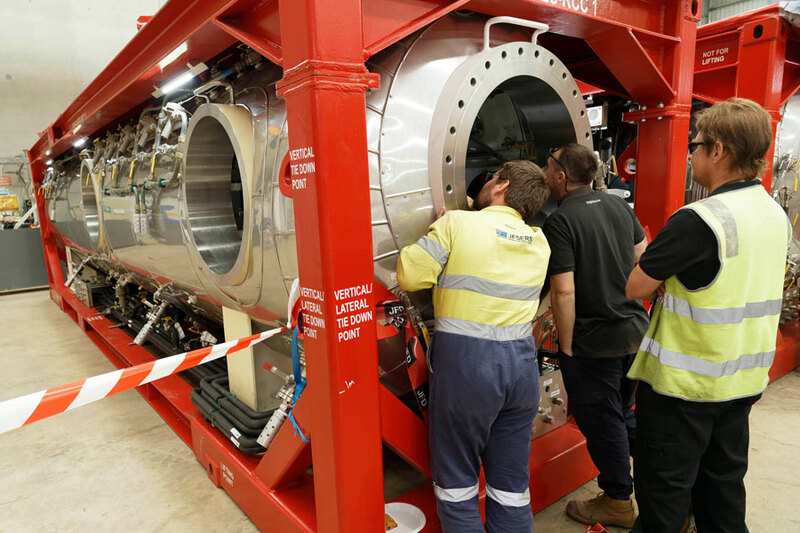 Rheinmetall has underscored its commitment to Australian industry. 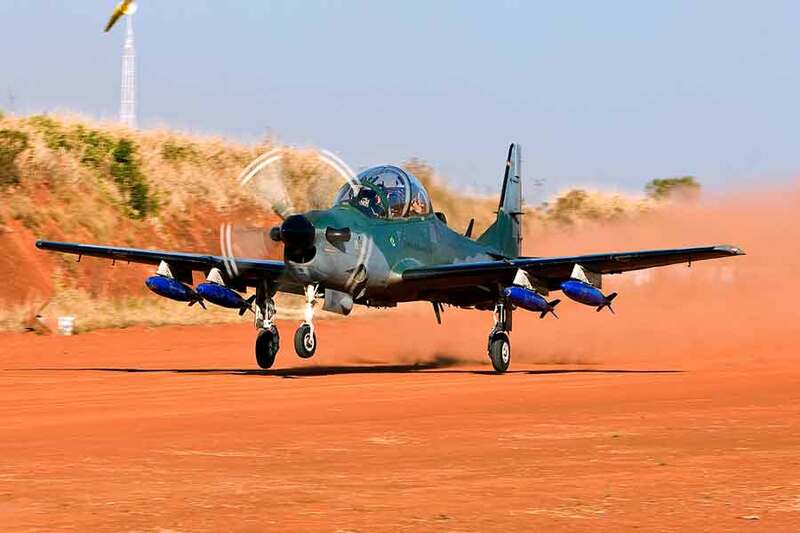 The Nigerian Air Force orders 12 Super Tocano light attack aircraft from Brazil's Embraer and SNC. 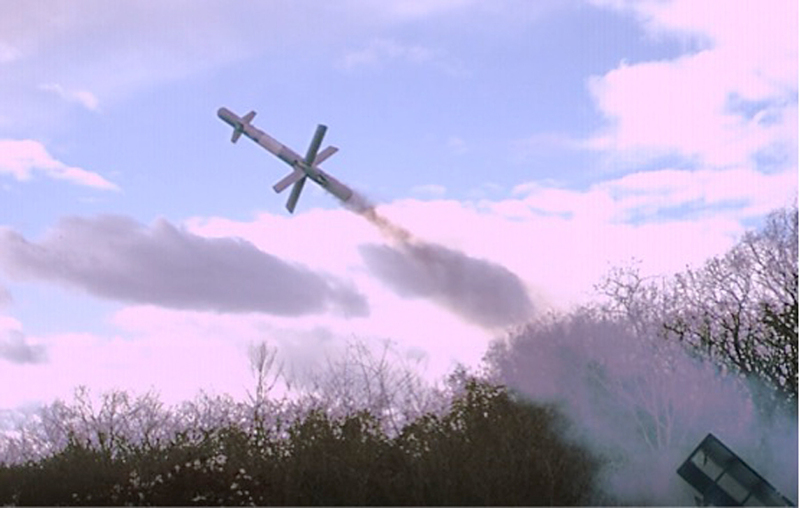 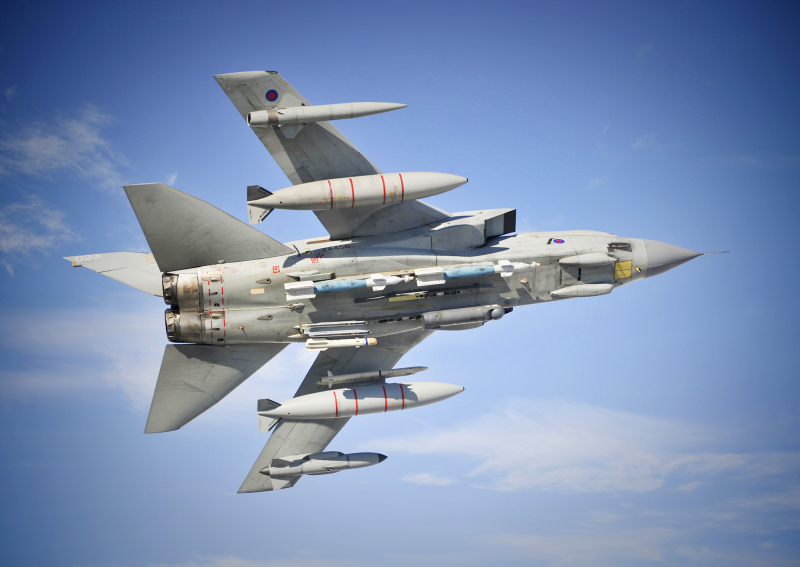 Brimstone strike missile to be integrated on the RAF's new RPAS, the Protector RG Mk 1. 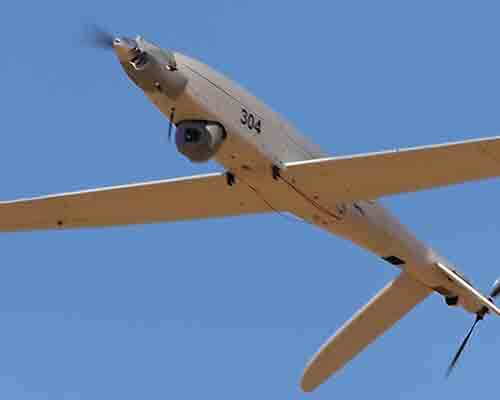 WB Group's hand-launched FLYEYE mini UAS for Polish Armed Forces. 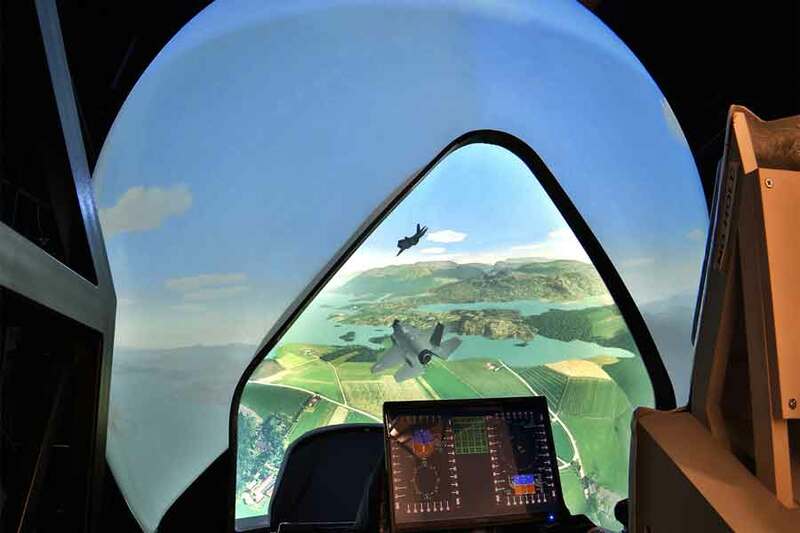 Simulating the effects of hypoxia in training for Spanish Air Force fighter jet pilots. 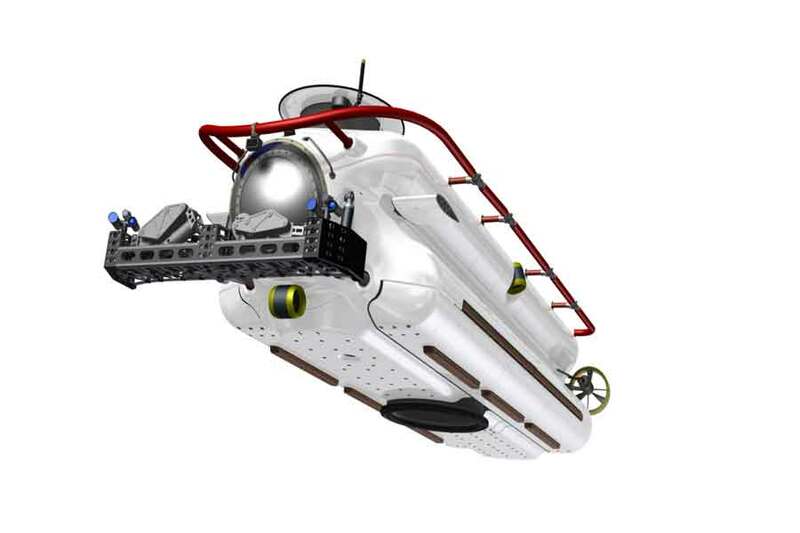 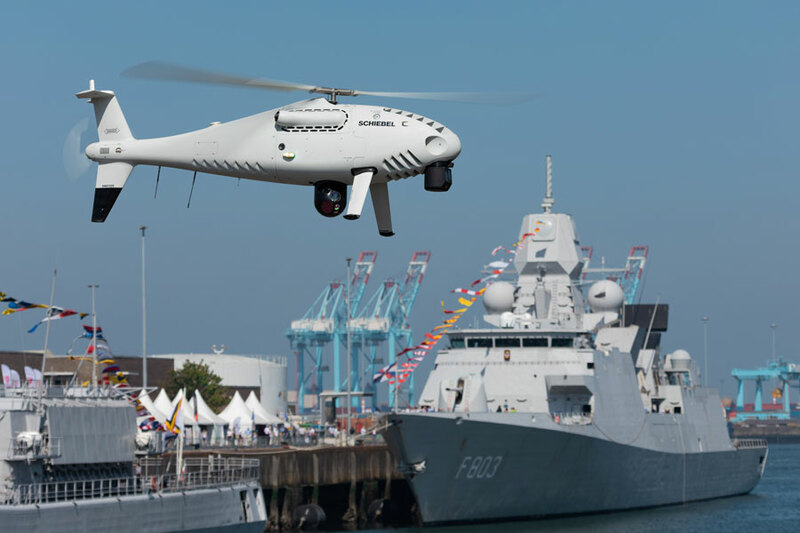 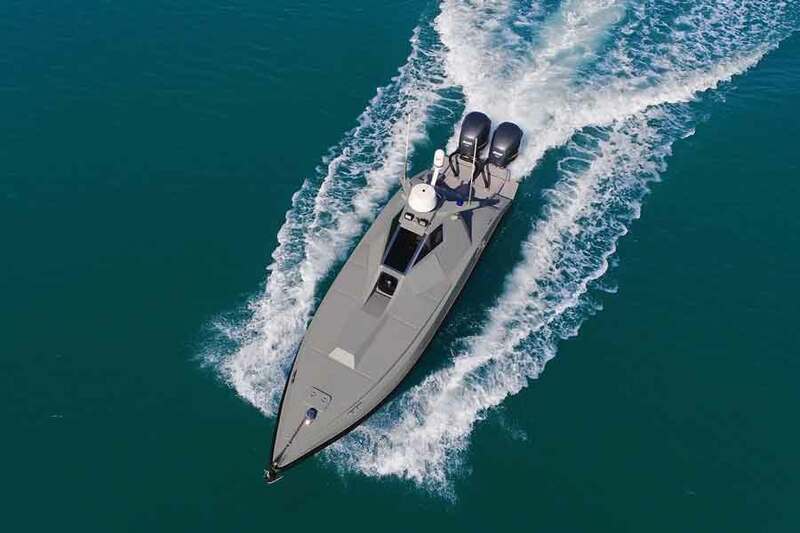 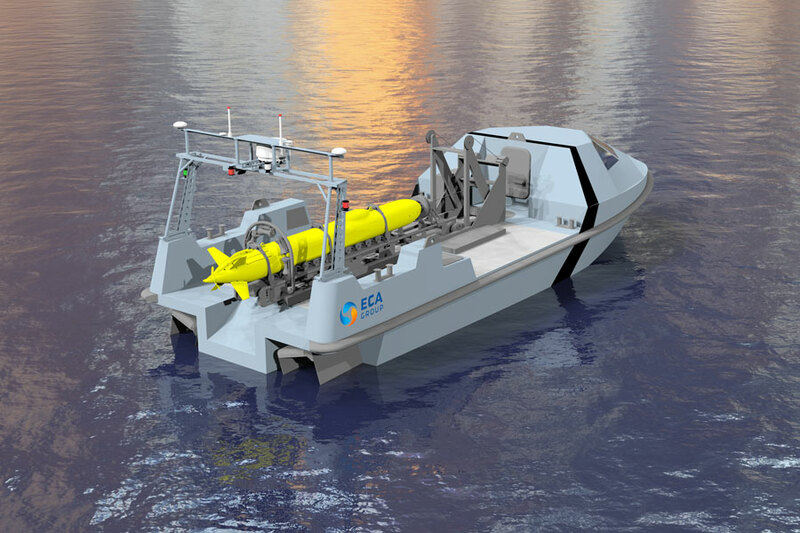 Schiebel and UMS SKELDAR win major maritime surveillance contracts. 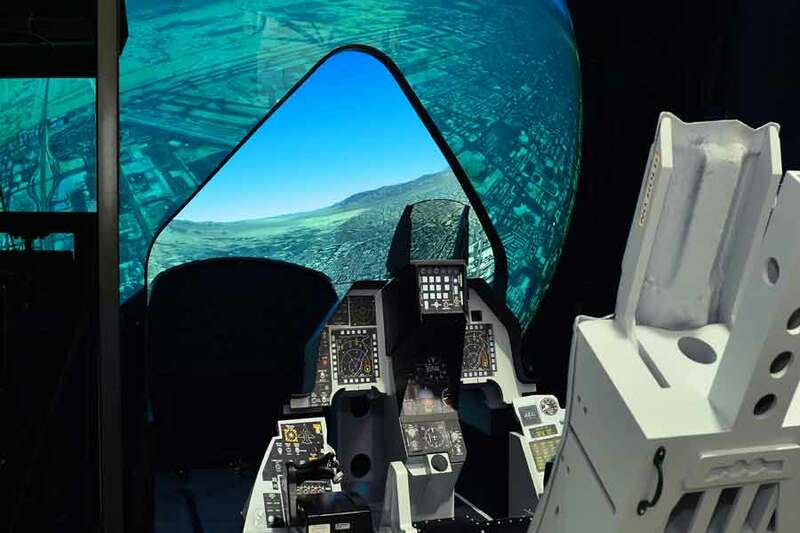 Upgraded Rockwell Collins' visual dome for military fast jet training at I/ITSEC. 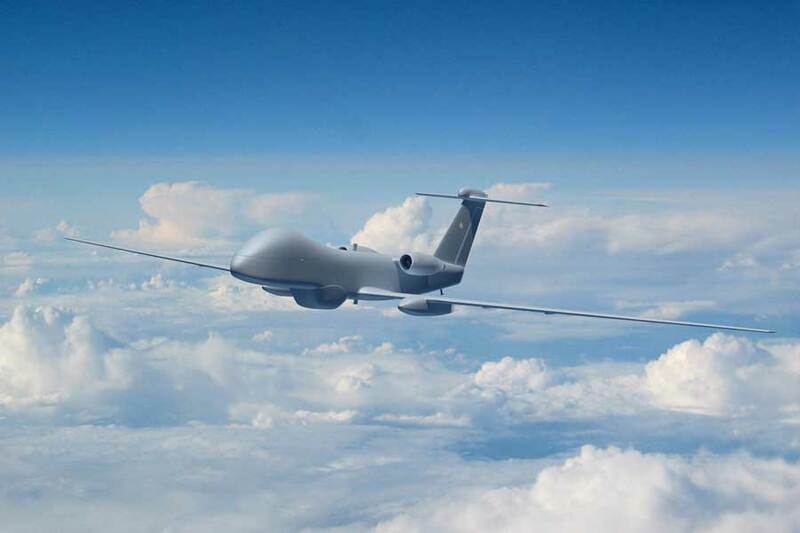 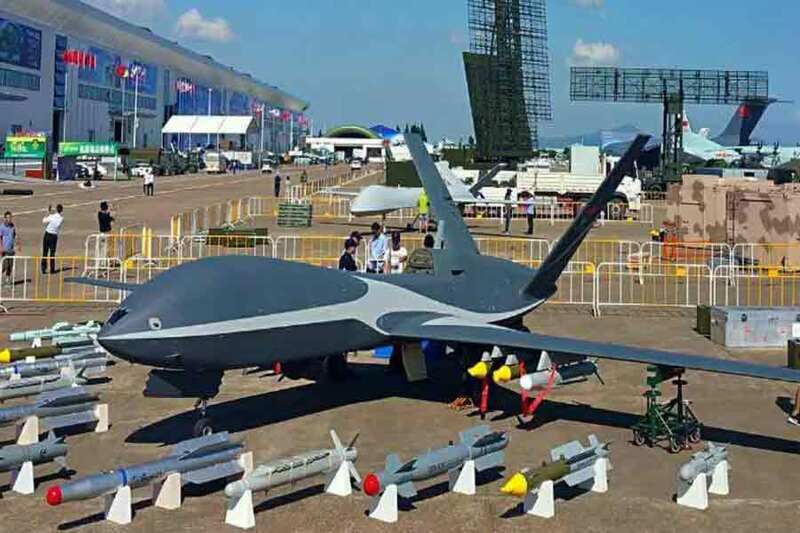 China and Israel develop systems for operating multiple RPAS simultaneously. 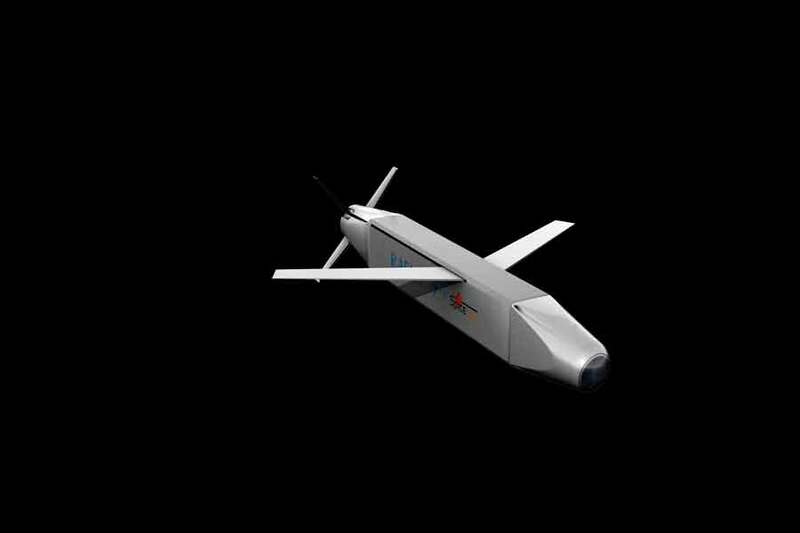 Longer-range sixth-generation missile in the works for Rafael. 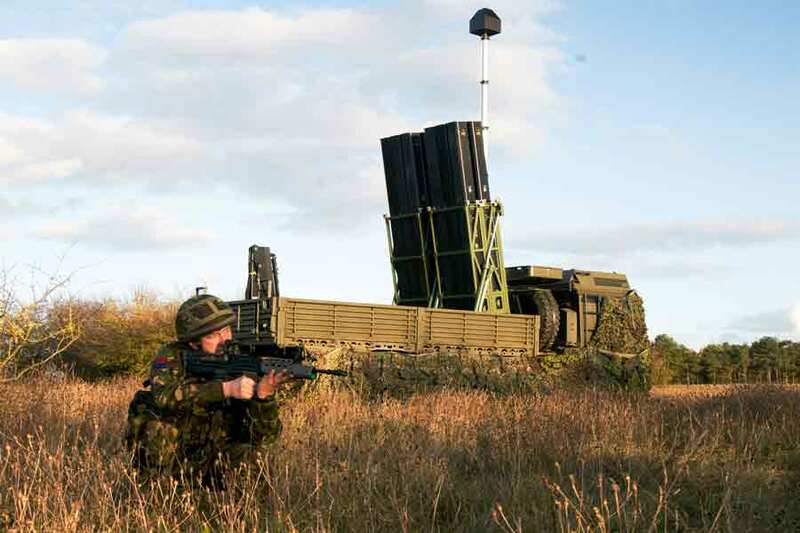 Poland's MoD to buy Elbit Systems' countermeasures solution. 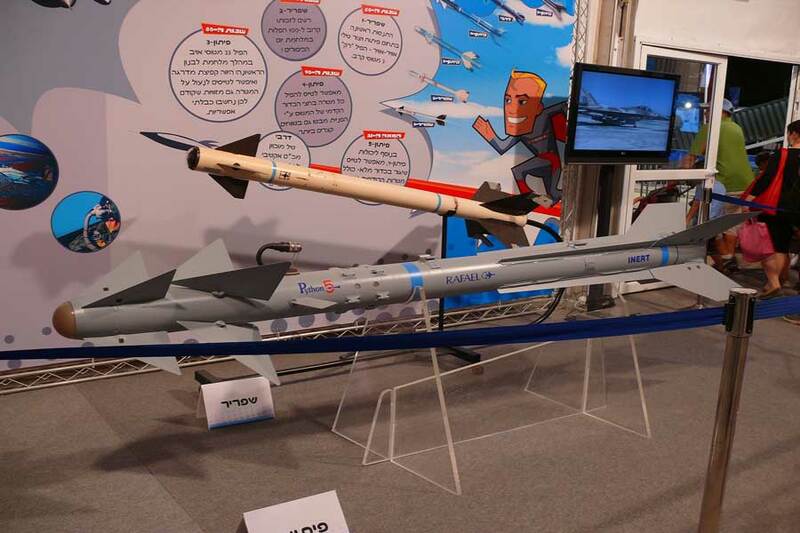 Rafael's Spice 250 gliding bomb allows the Israeli Air Force to launch attacks from a range of 100 km. 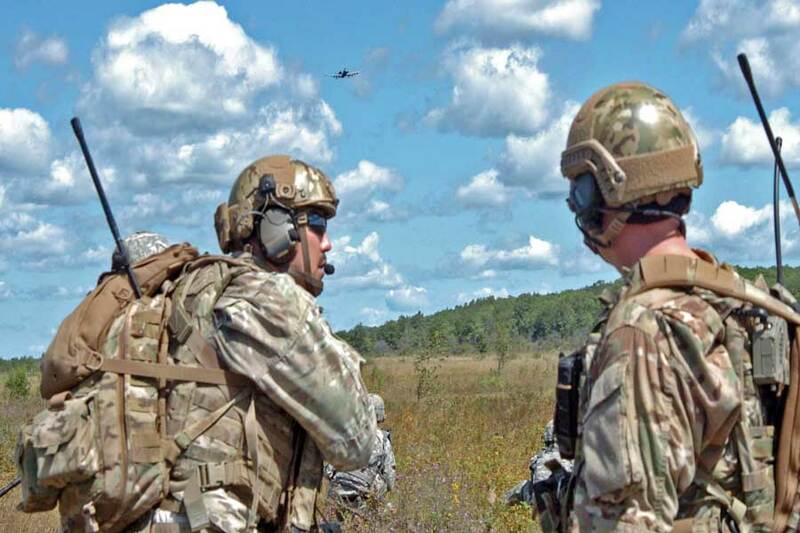 Counter-UAV company DroneShield invited to take part in NATO's Night Hawk Special Ops exercise in Denmark. 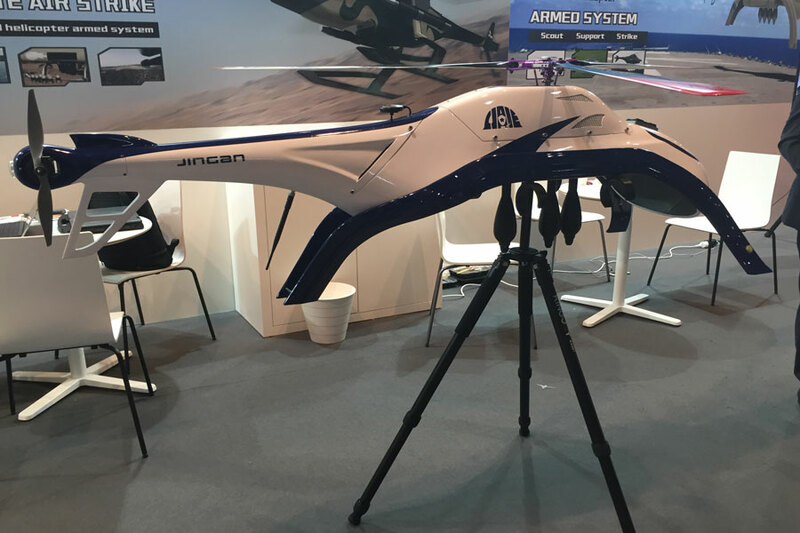 At Eurosatory in Paris, Asian companies showcased weaponised rotary-wing unmanned aerial vehicles. 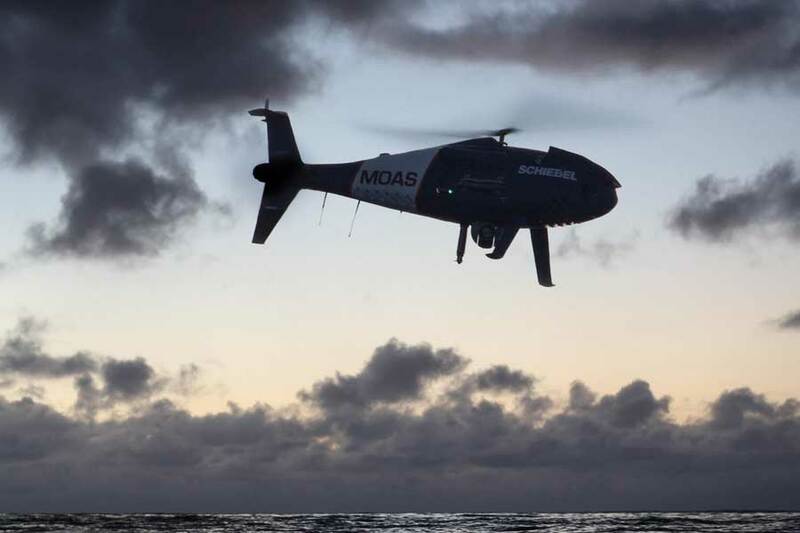 Oceanwatch's payload extends the patrol coverage area of the Schiebel Camcopter S-100. 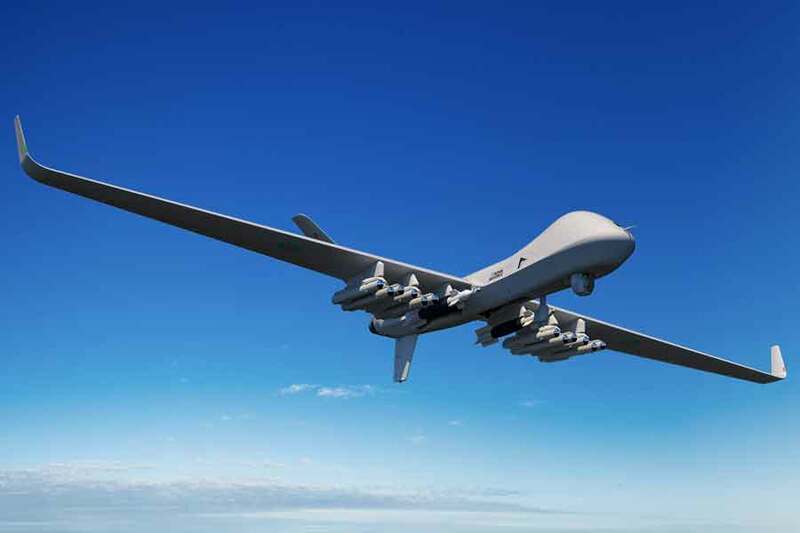 Co-operation on mission systems will reduce risks for Europe's MALE drone programme, say companies. 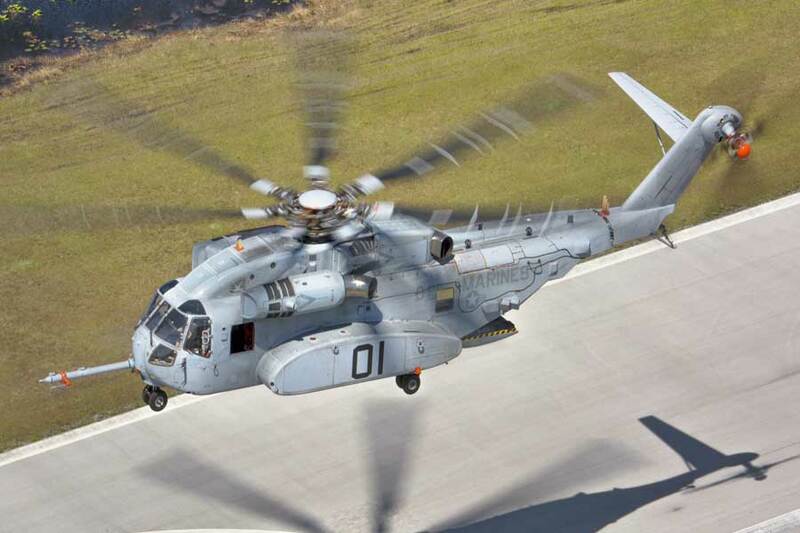 Sikorsky and Rheinmetall put the CH-35K heavy lift helicopter forward for German Air Force programme. 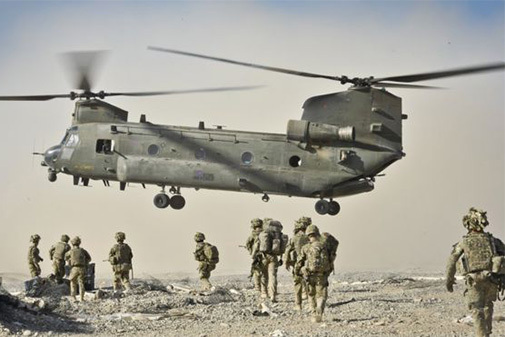 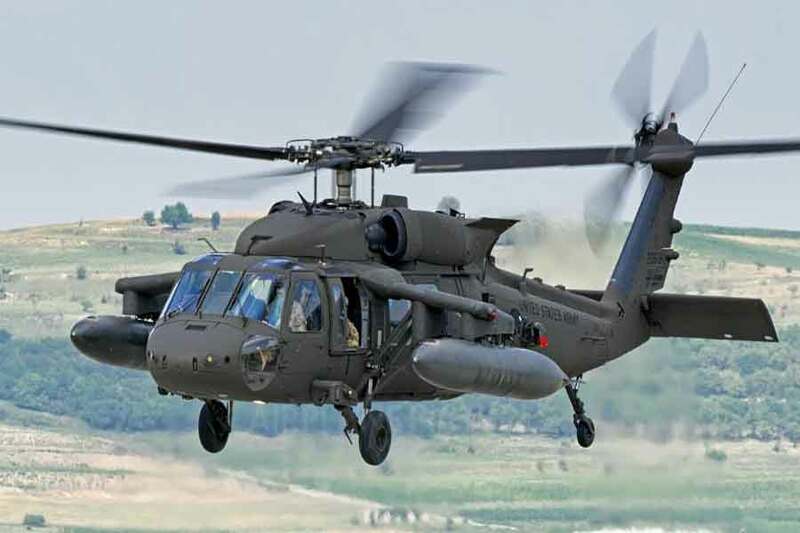 Rohde & Schwarz software defined radio available for the first time in Boeing H-47 Chinook helicopters. 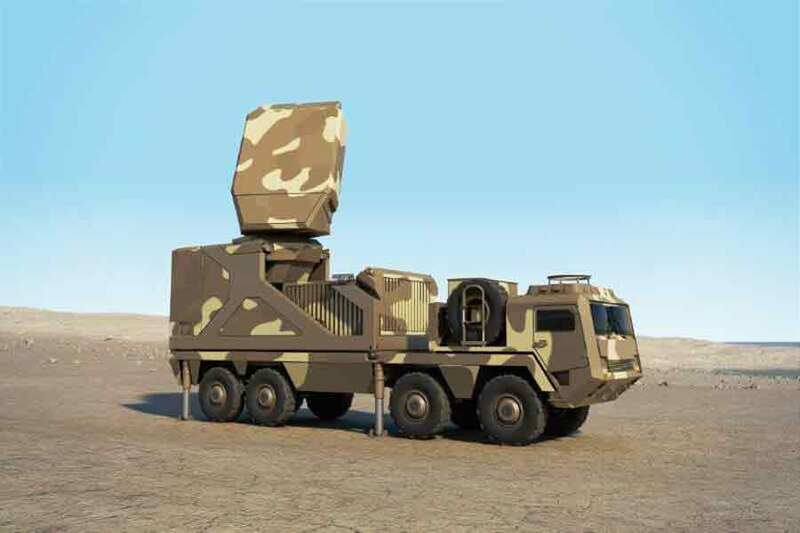 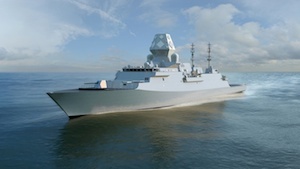 Senegal will use Ground Master, the three-dimensional surveillance radar system from Thales to protect its airspace. 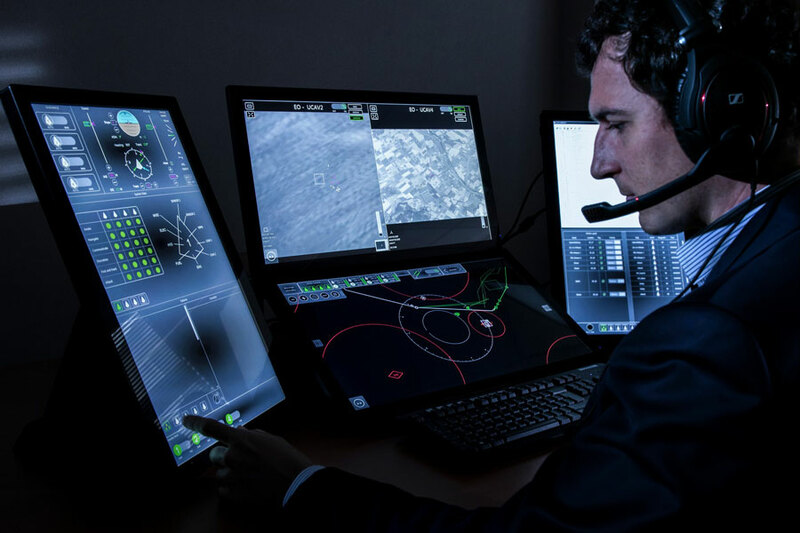 Dassault and Thales to co-operate on AI-driven "cognitive air system" for more autonomous functions in combat aviation. 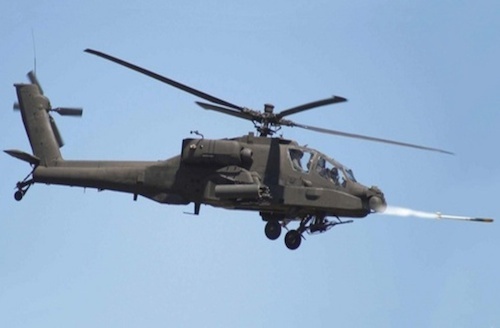 Airbus helicopters' mission capabilities enhanced by laser-guided rocket system from Thales. 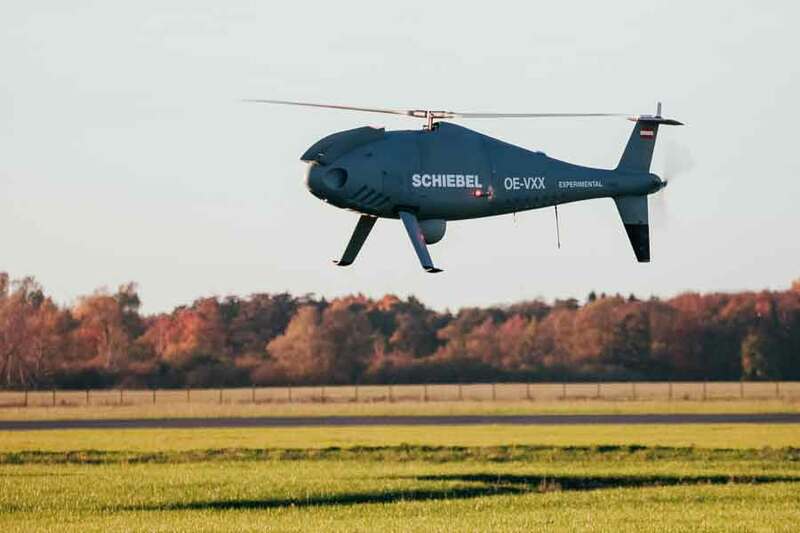 Austrian firm Schiebel's rotary-wing unmanned air system has been selected by MDA for sea and land-based ISR. 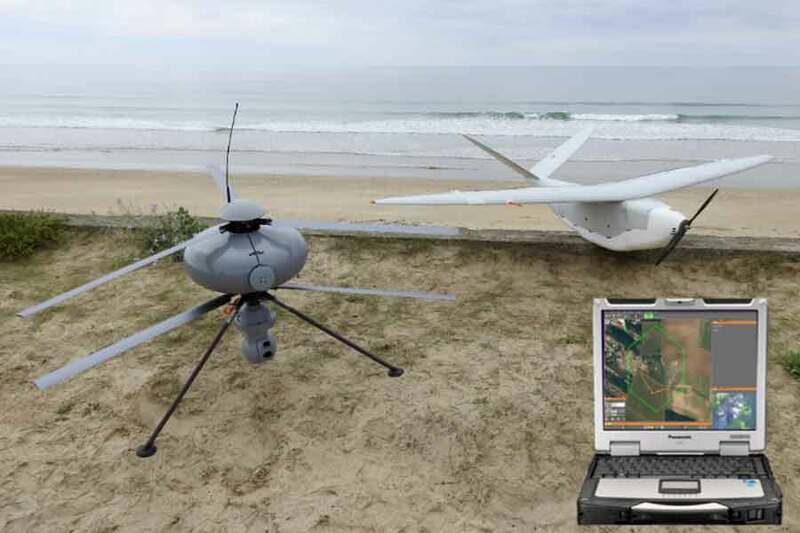 Multi-platform ground control station for collaborative UAV missions launched at Milipol 2017 in Paris. 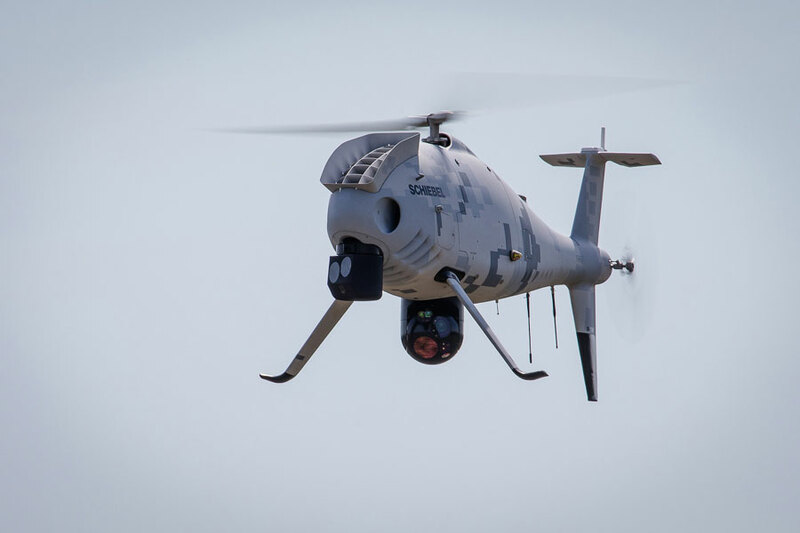 Leonardo is seeing increased interest in its "drones-as-a-service" offering and rotary-wing UAV platforms. 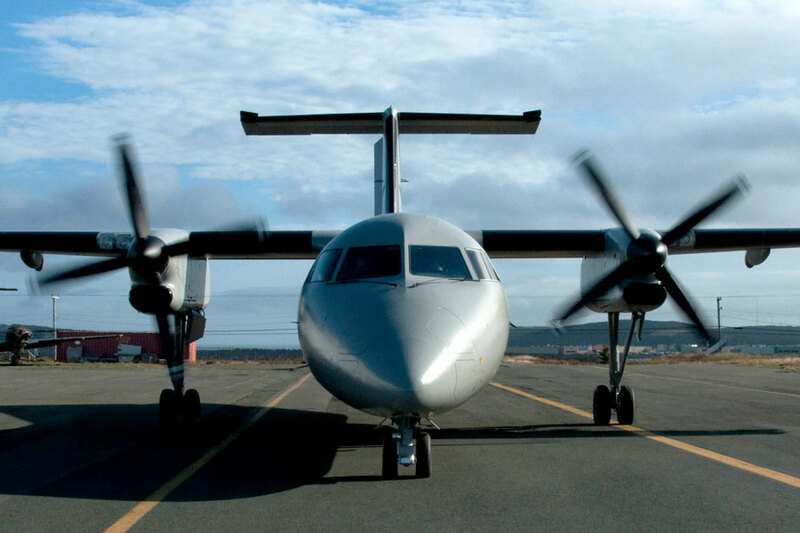 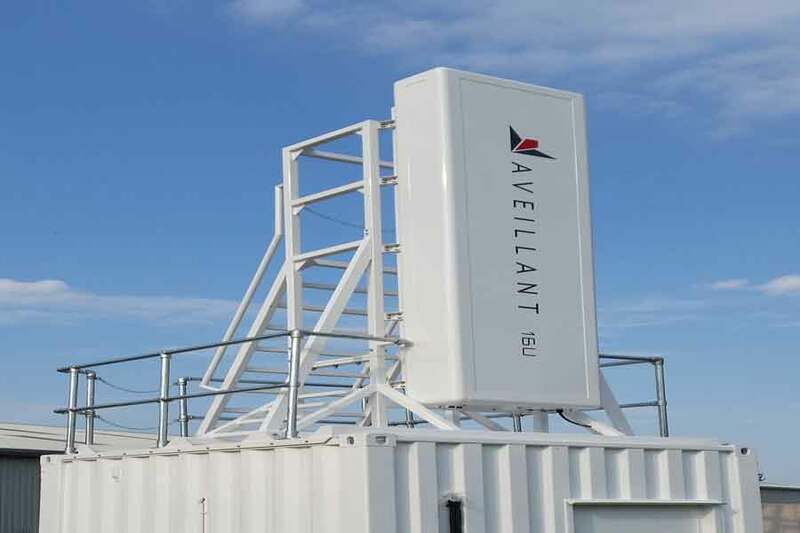 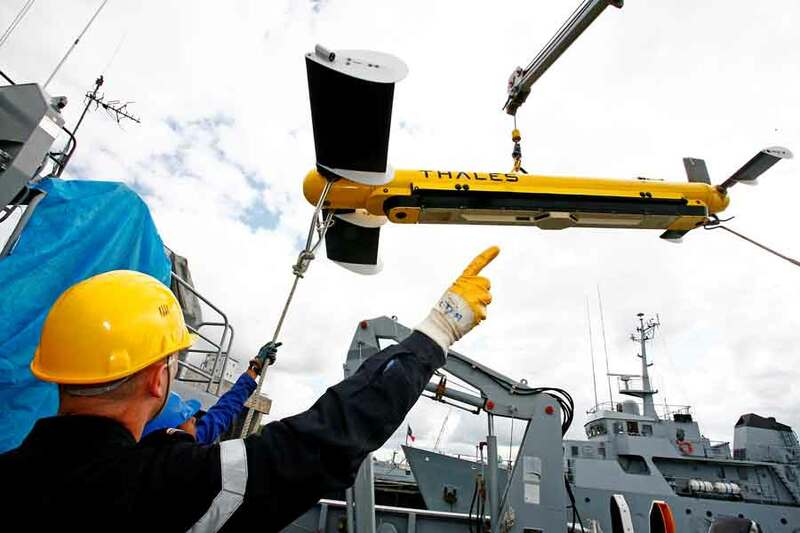 Thales and PAL Aerospace join forces to provide an on-demand air platform for maritime and ground surveillance. 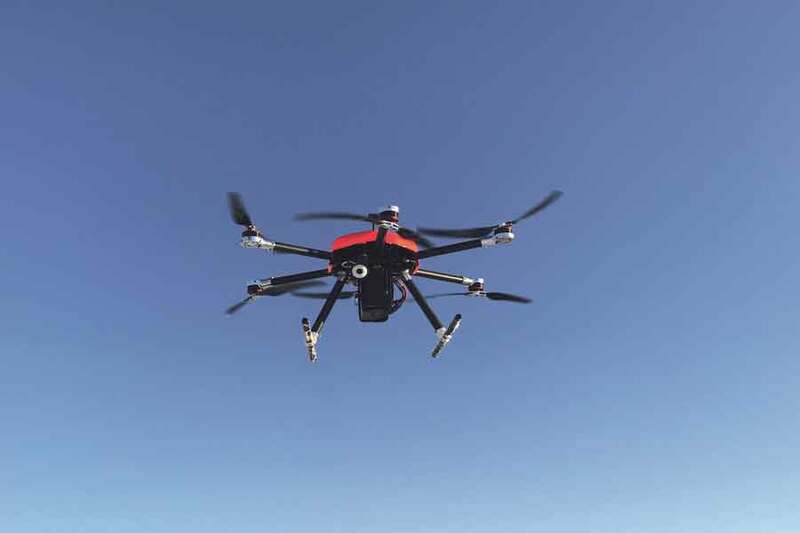 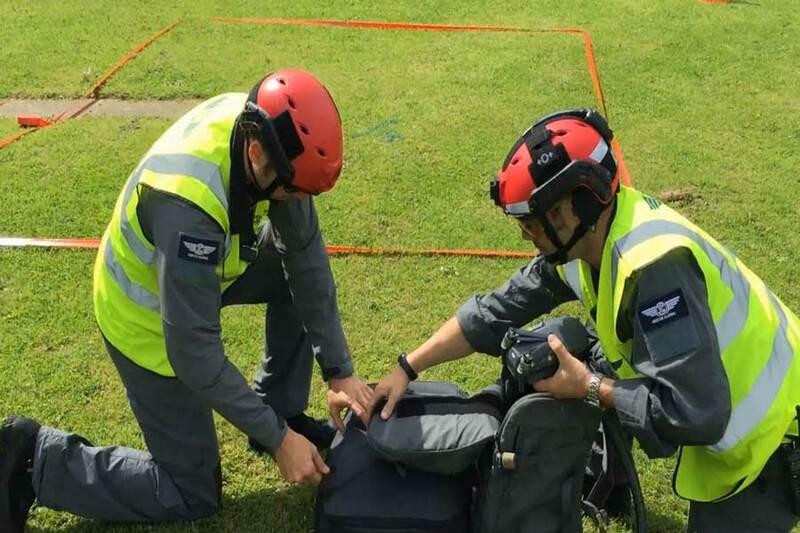 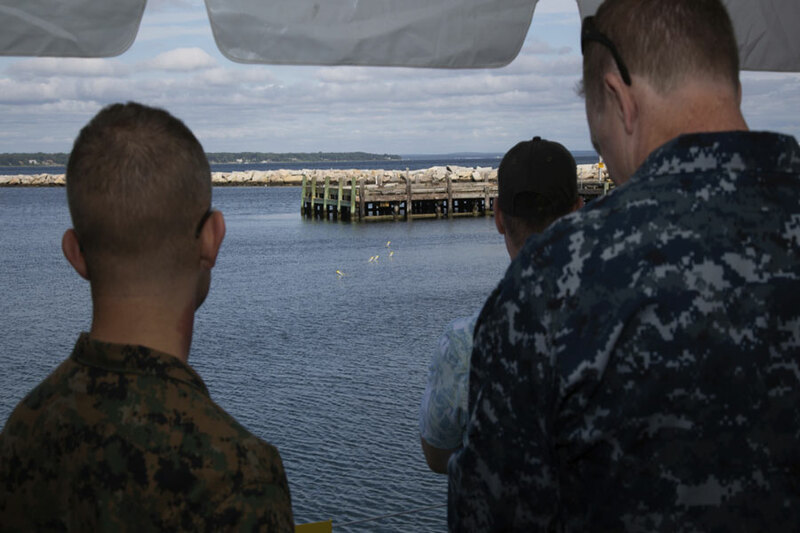 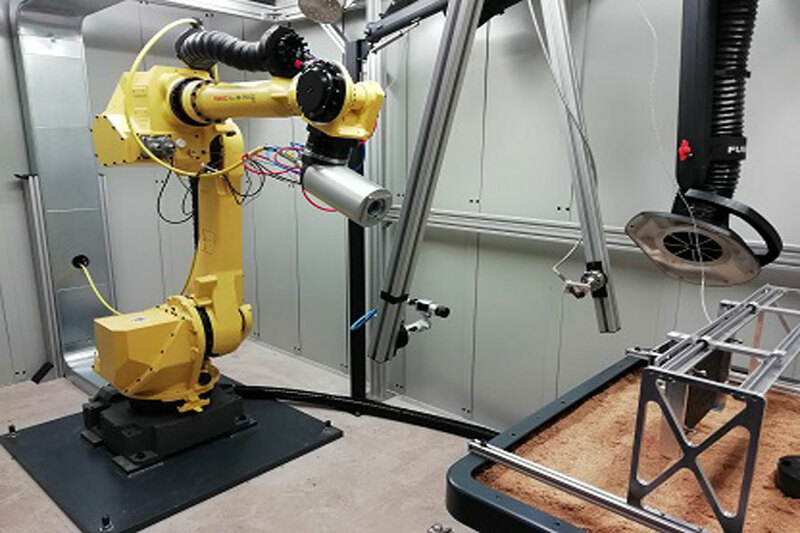 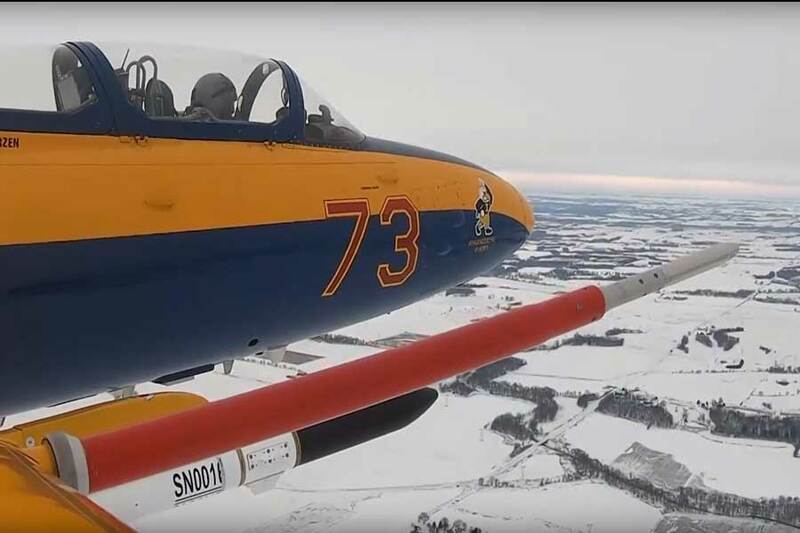 BMT to build prototype for assessing hazardous materials using unmanned aerial vehicles. 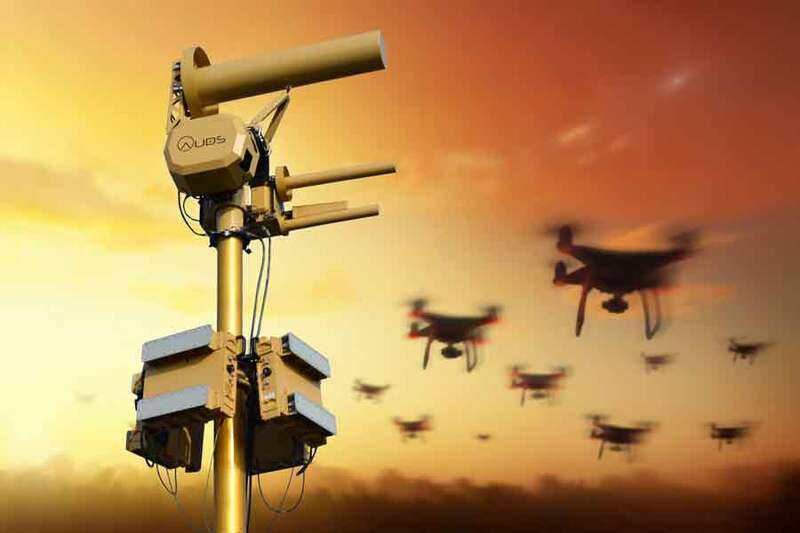 AUDS has been enhanced for deployment on vehicles and to counter drone swarm attacks. 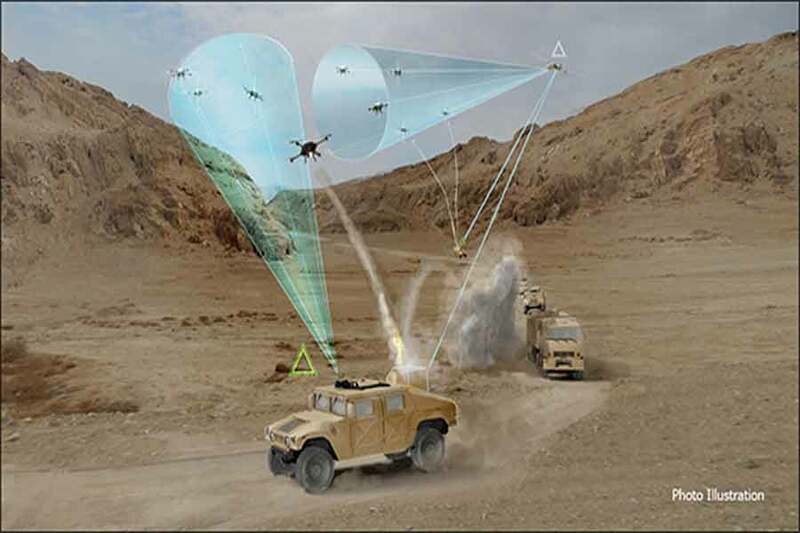 DARPA looks to develop a layered defence system to counter small unmanned air systems. 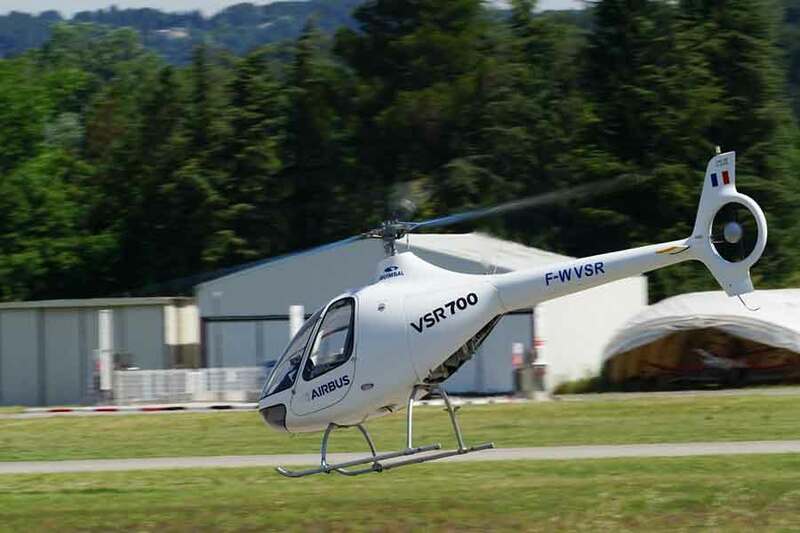 Airbus's VSR700 rotary-wing tactical UAV makes its Paris Air Show debut. 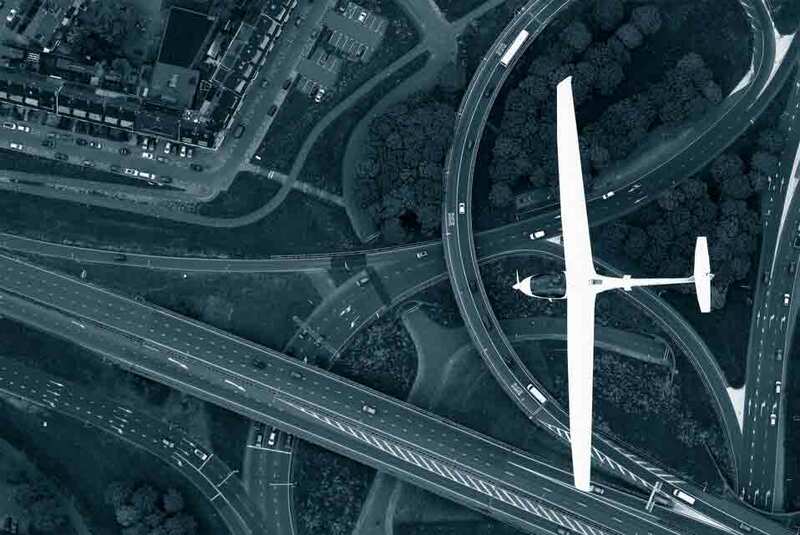 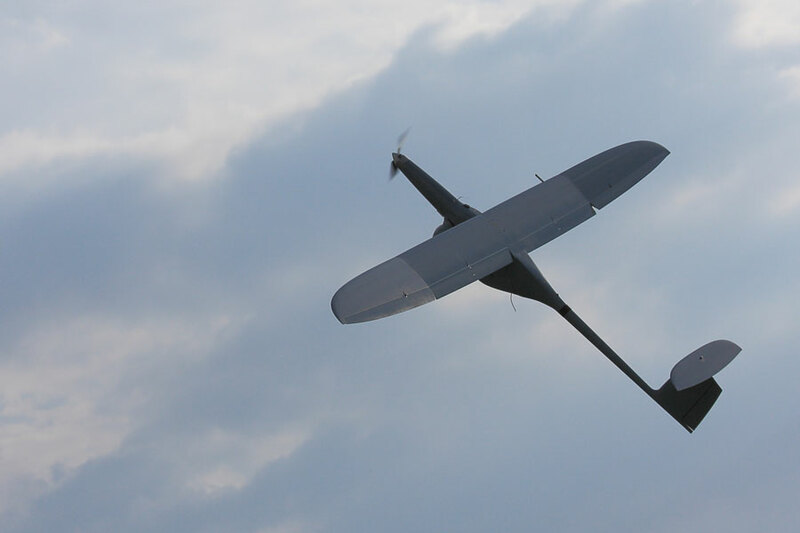 MBDA's SmartGlider can engage a wide range of targets at a safe distance of more than 100 km. 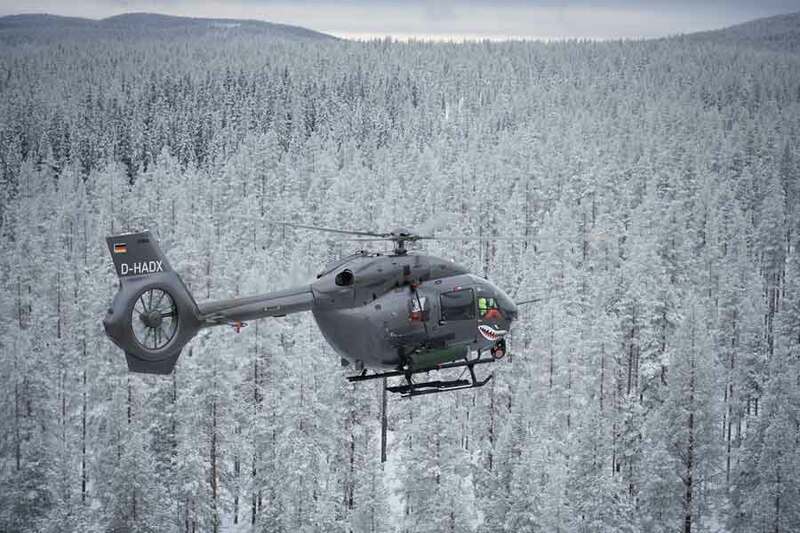 Schiebel Camcopter S-100 completes successful flight trials for Norwegian forces. 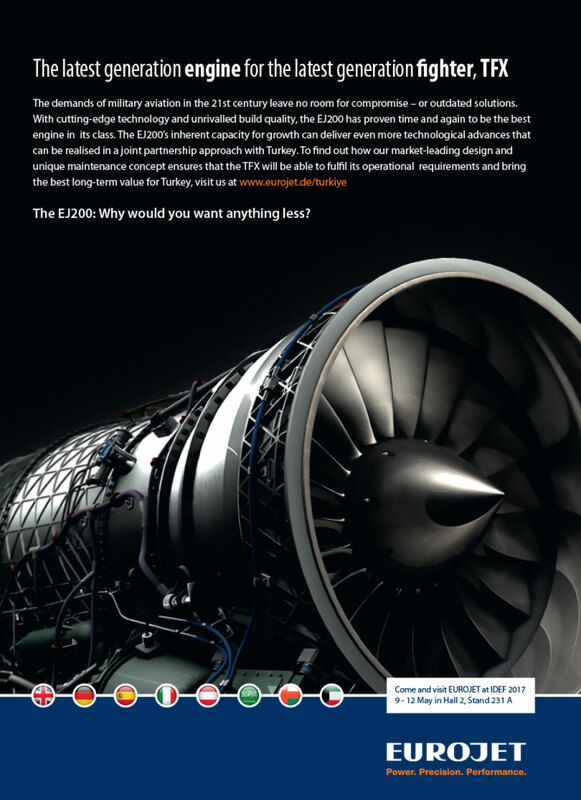 EUROJET showcases the EJ200 engine used for the TFX fighter at IDEF. 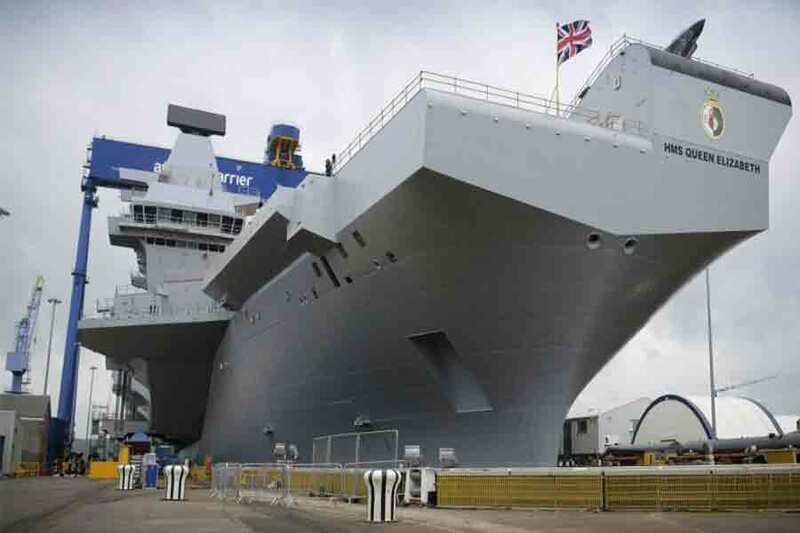 A motion simulator will enable UK F-35 pilots to practise landing on the new QEII Class carriers. 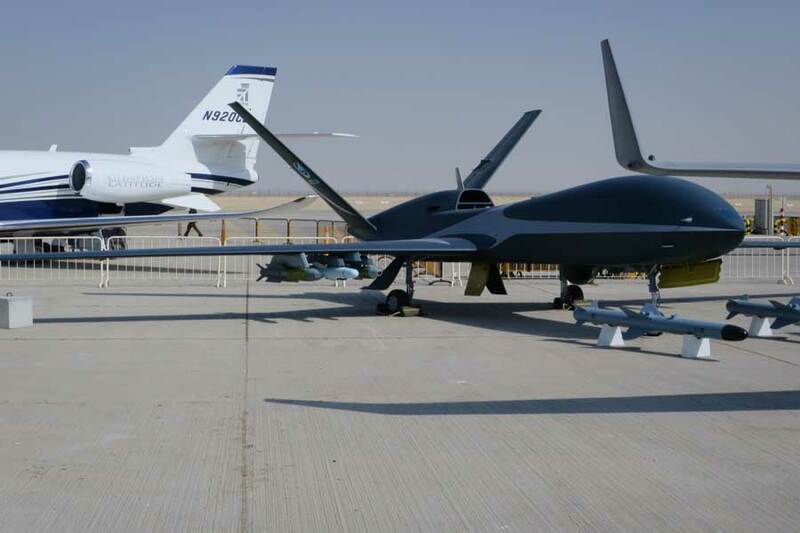 China will build armed UAVs in Saudi Arabia, which is looking beyond the west for weapons. 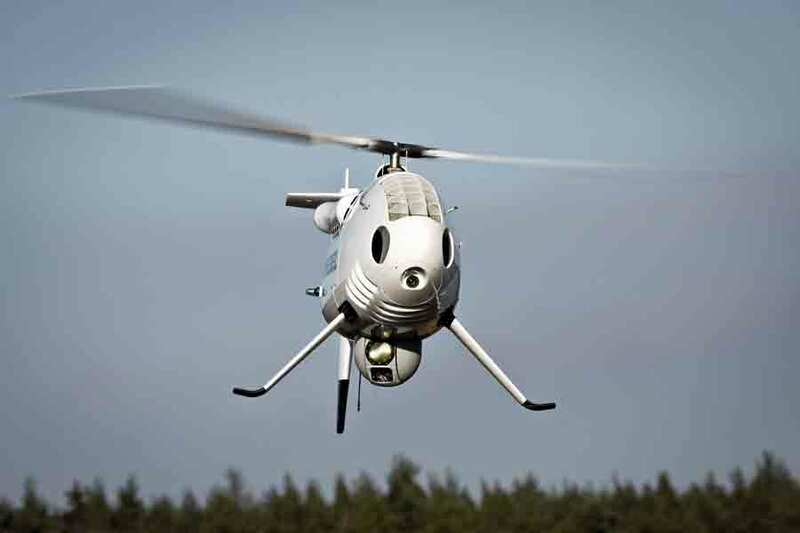 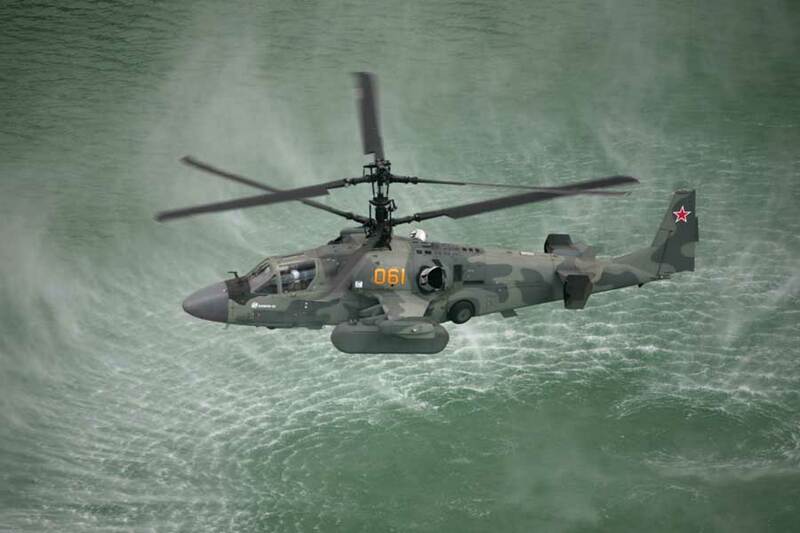 Schiebel will use Patria technology to team its Camcopter S-100 with manned helicopters. 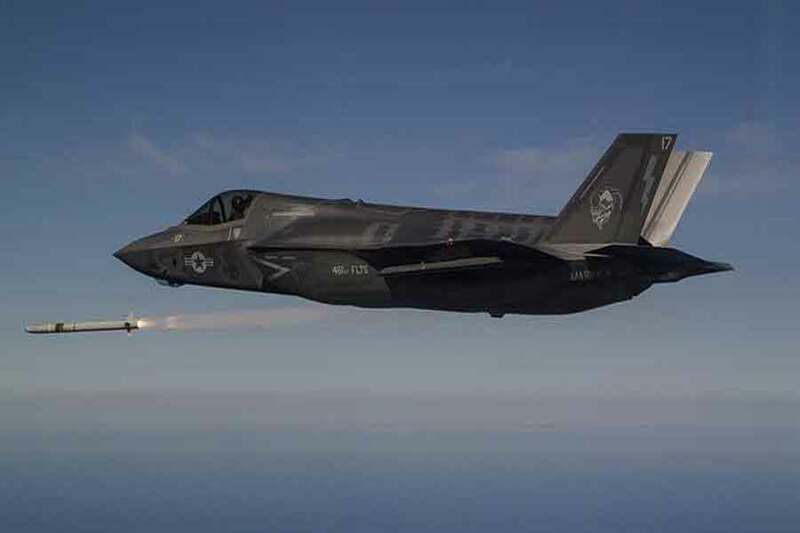 The ASRAAM is the first UK-designed missile to be fired from the F-35 Joint Strike Fighter. 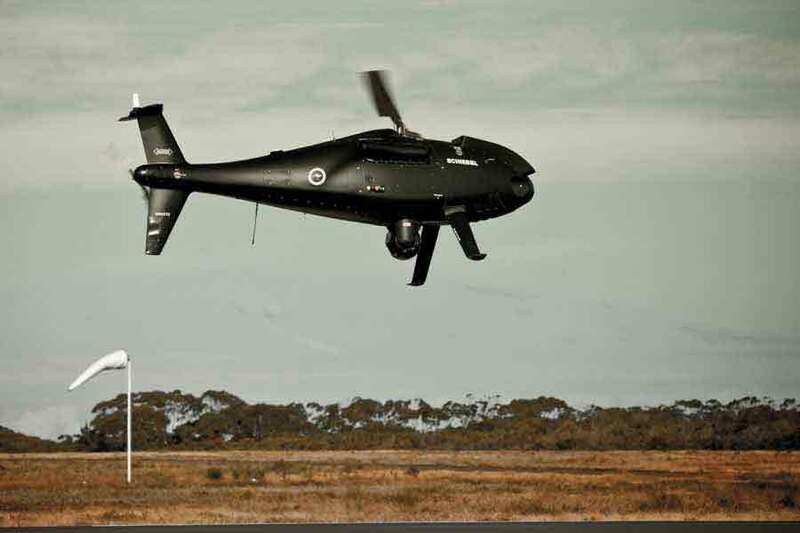 SMS-D from Kelvin Hughes, is designed to detect and track UAVs. 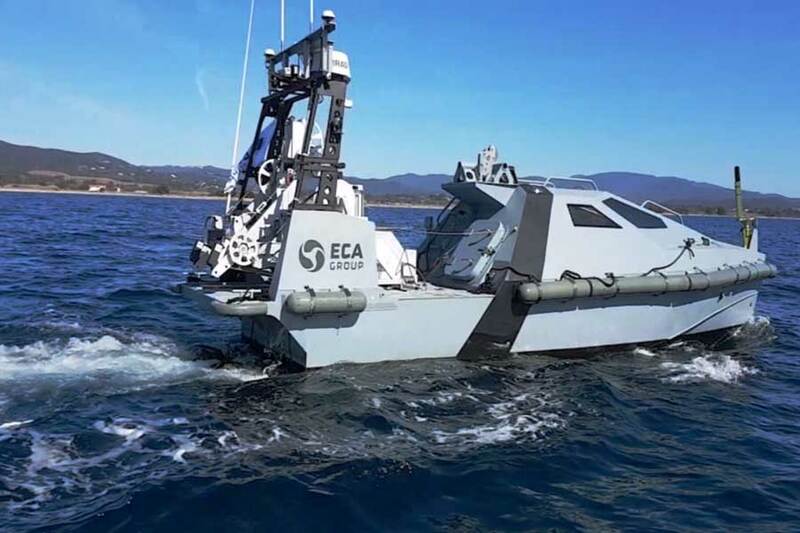 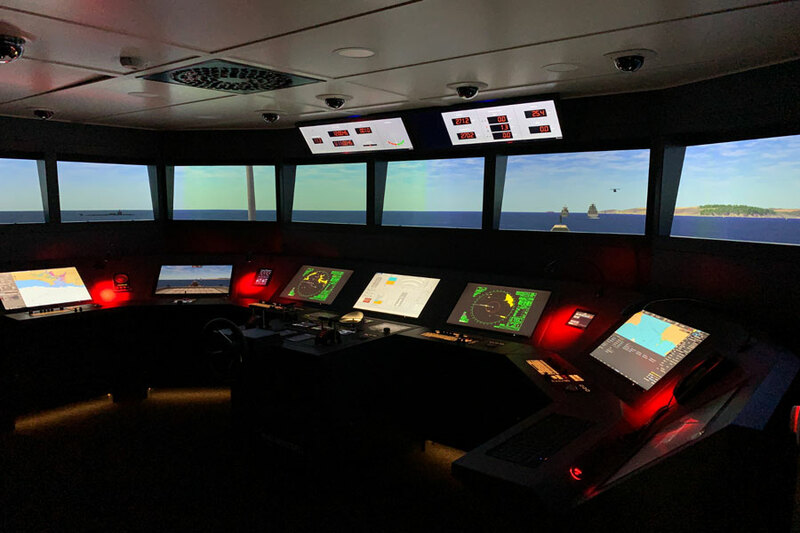 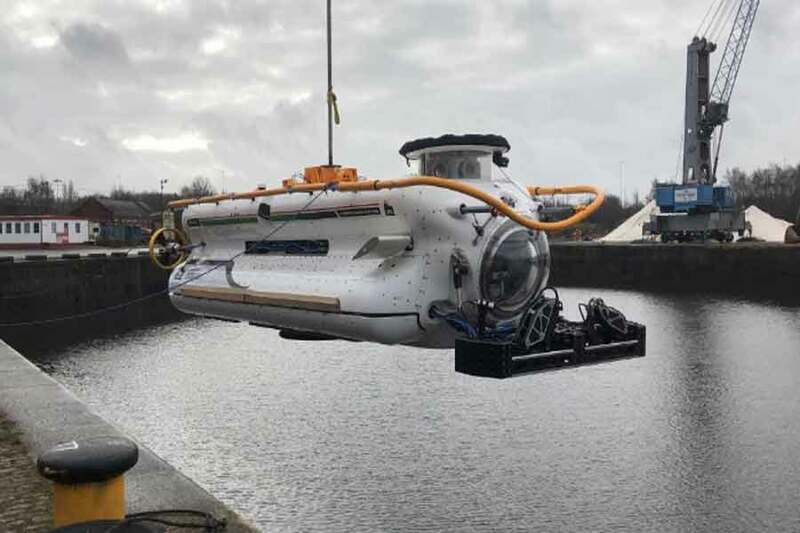 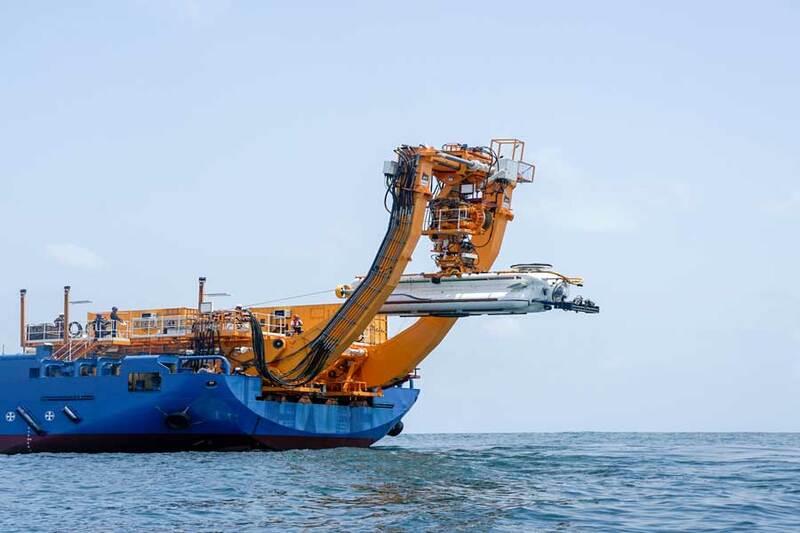 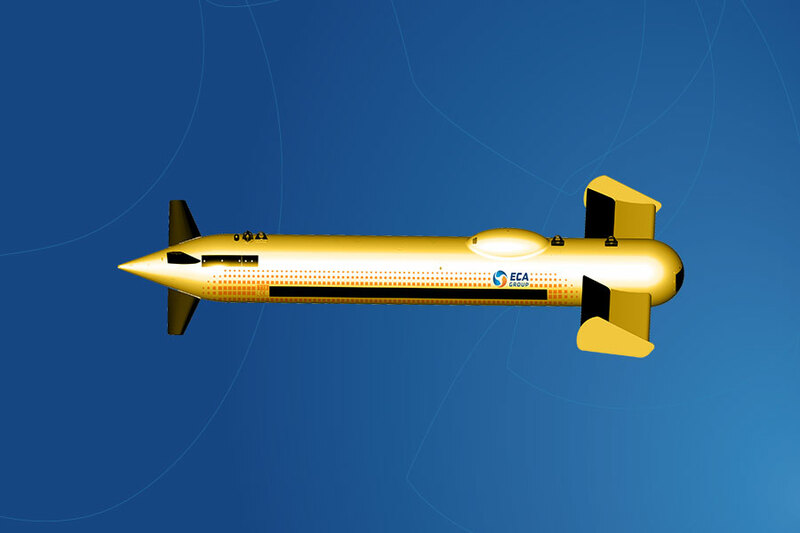 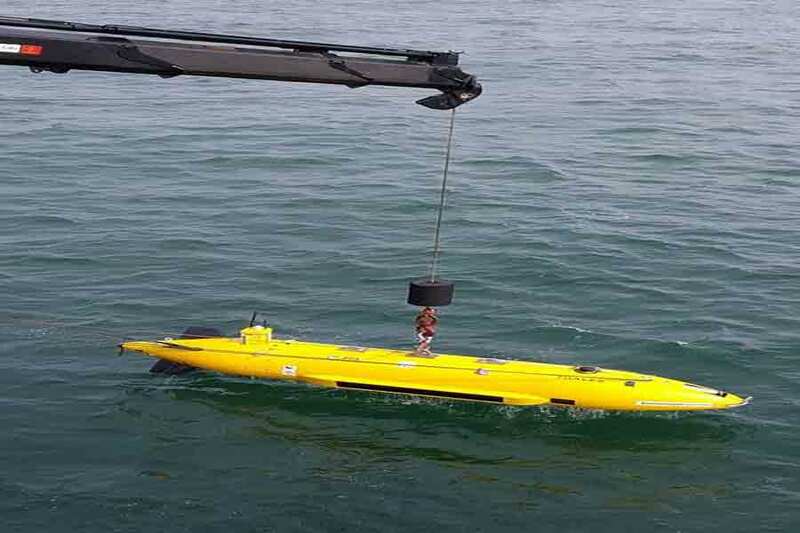 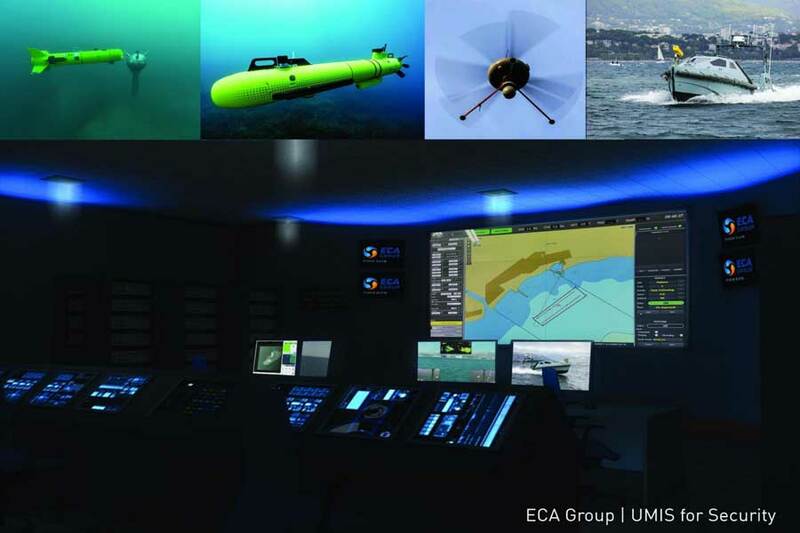 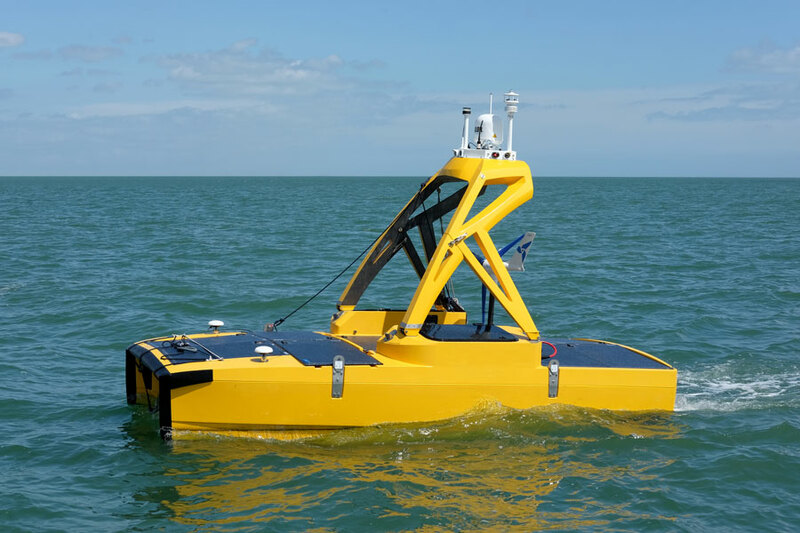 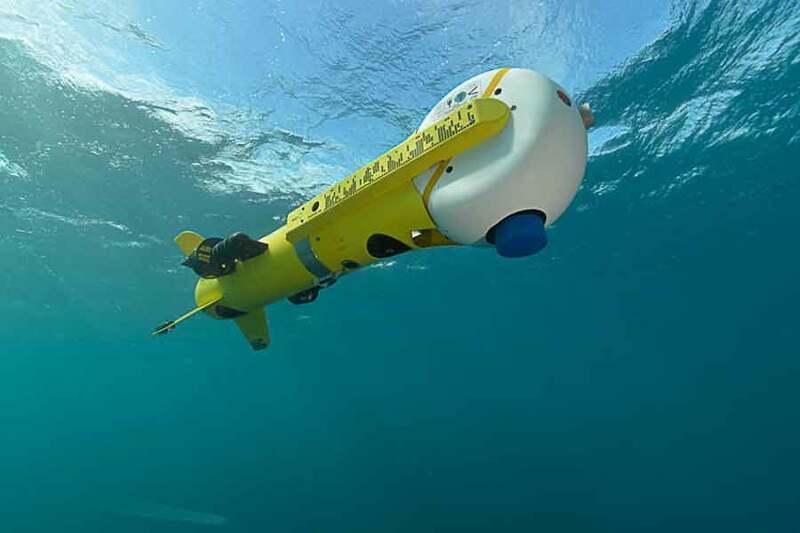 ECARYS ES15 to be optionally piloted using S-PLANE subsystems. 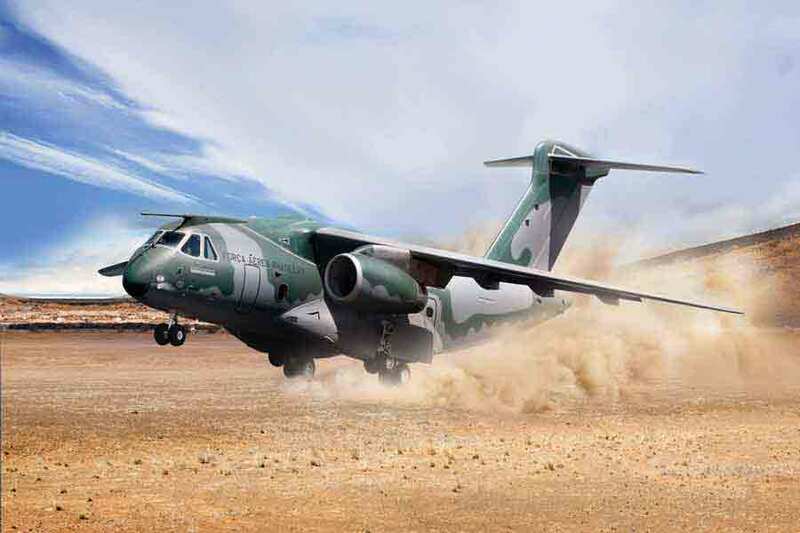 The KC-390 sets new standards in transport aircraft. 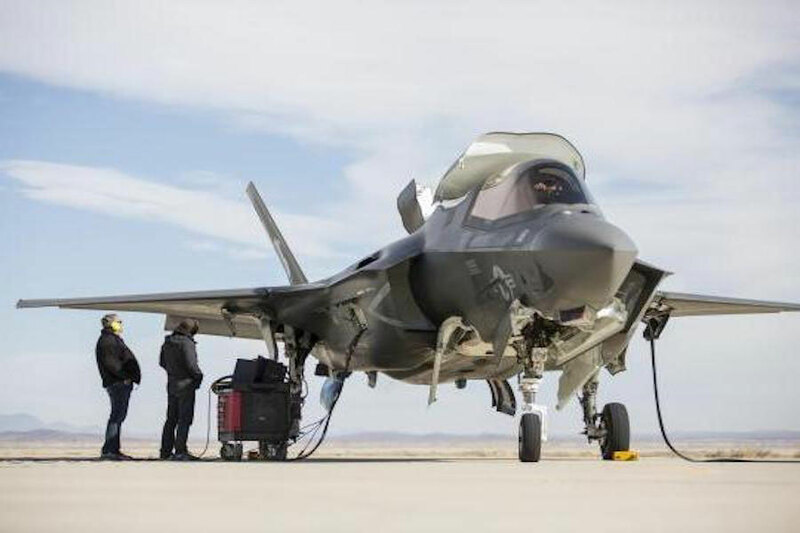 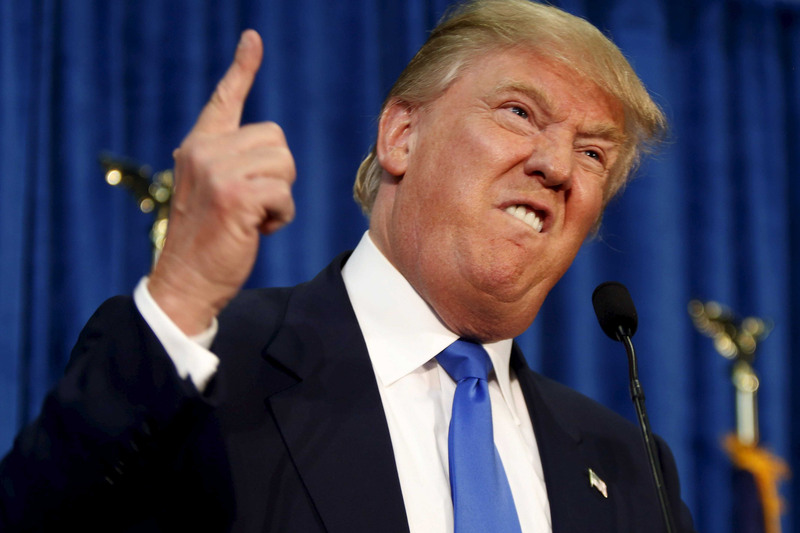 Intervention by President Donald Trump sees price for F-35s reduced. 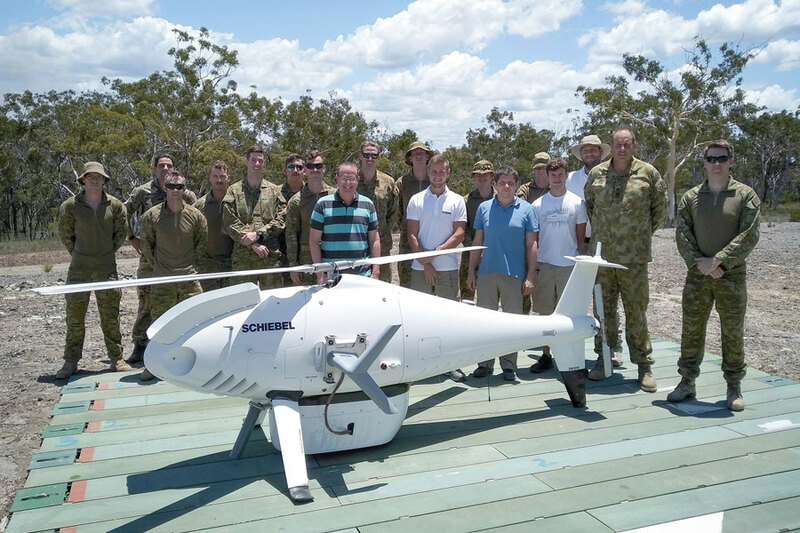 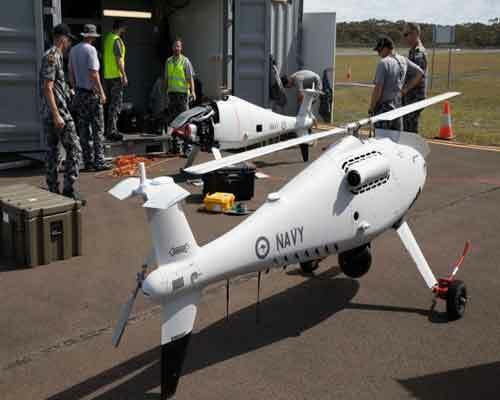 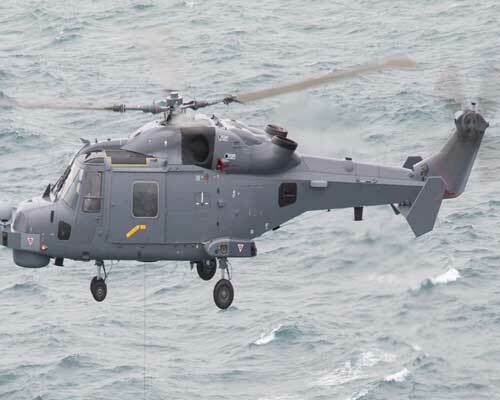 Royal Australian Navy awards contract for CAMCOPTER S-100 rotary-wing UAS. 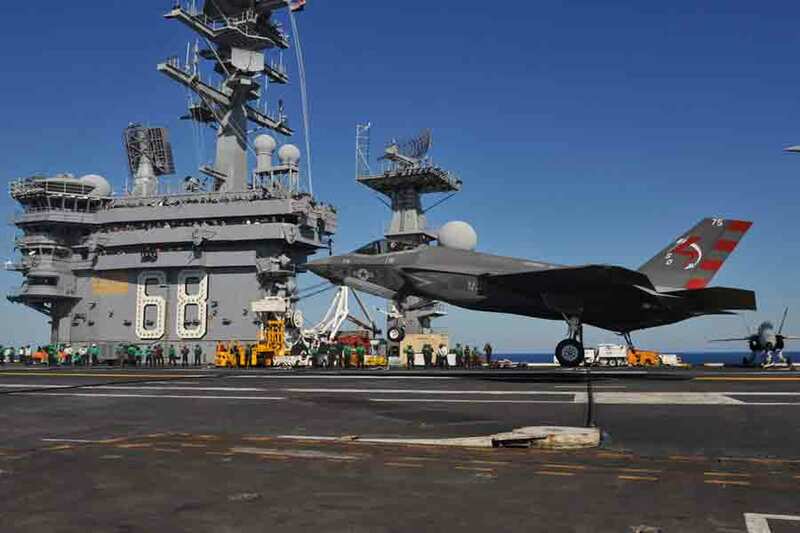 Multi-year procurement could be the answer to Pentagon cost review of F-35 programme. 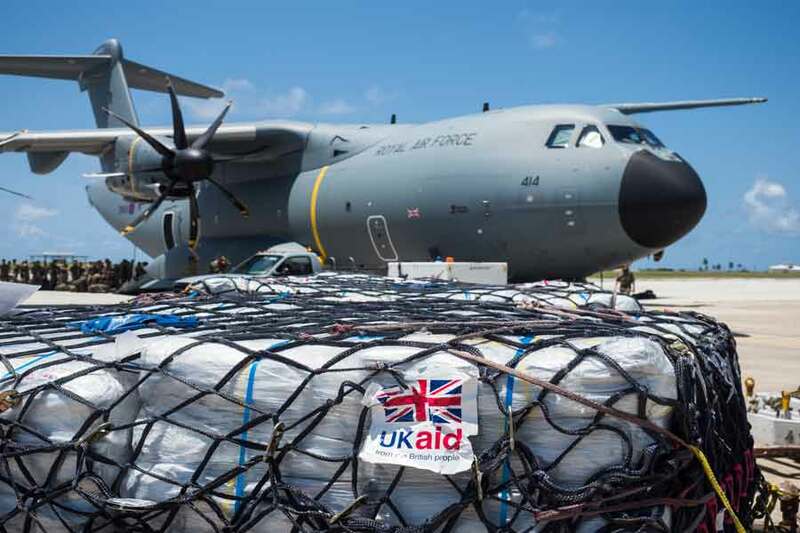 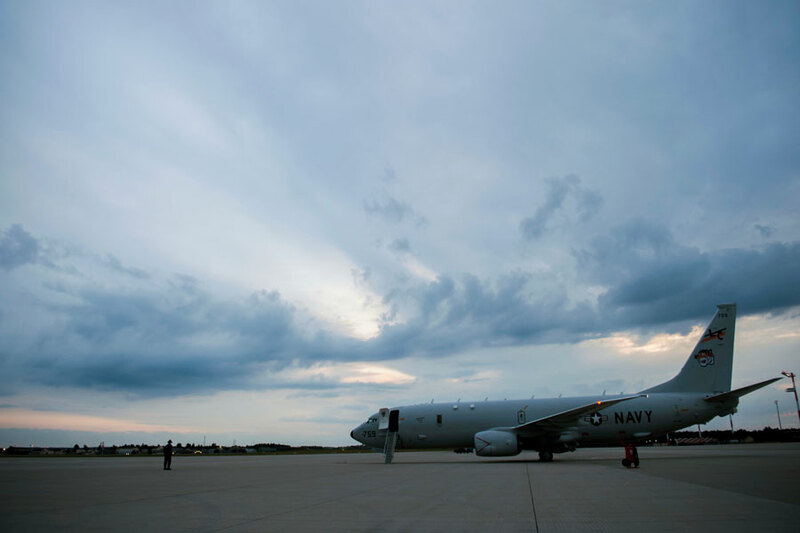 US–UK agreement will strengthen Maritime Patrol Aircraft interoperability. 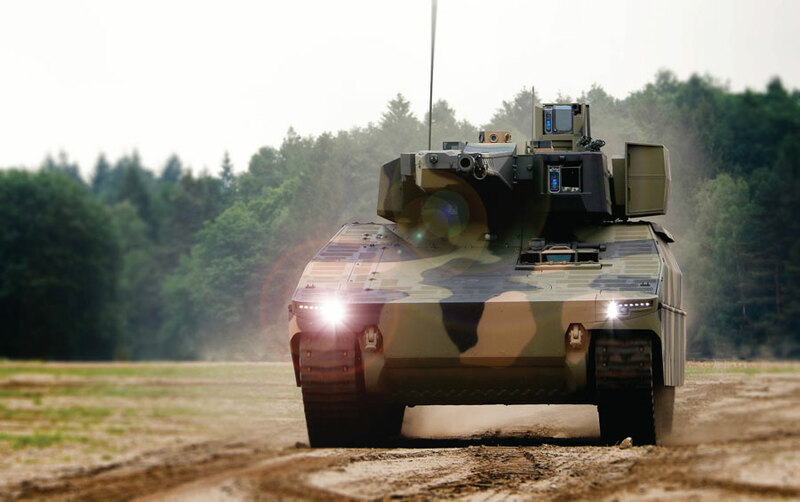 Rheinmetall and Day & Zimmermann join forces to make medium-calibre ammunition for the US market. 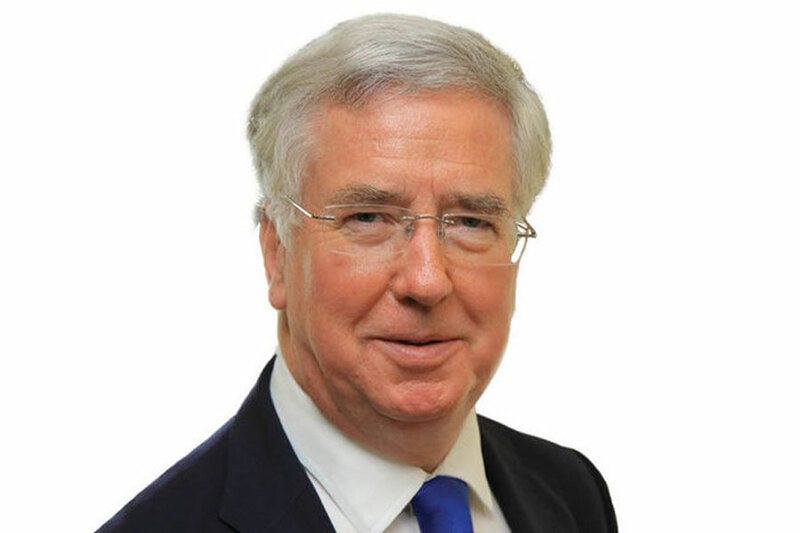 £4 Billion to support Britain's modern forces and their families. 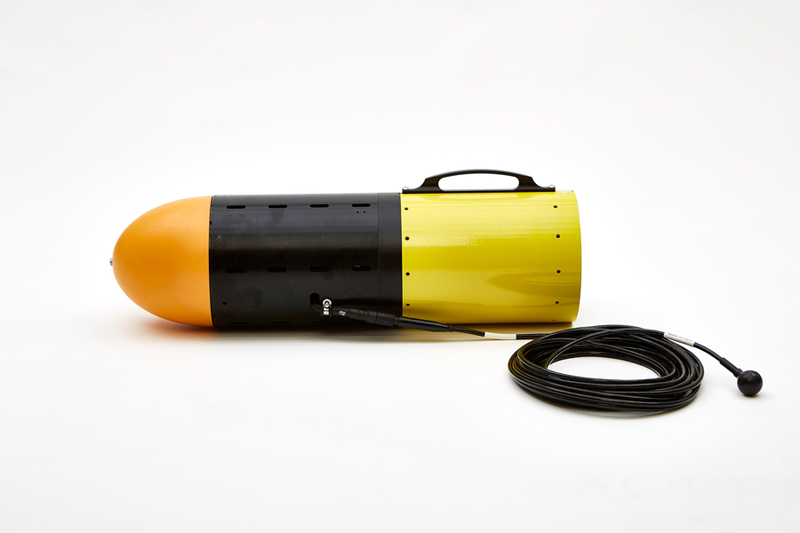 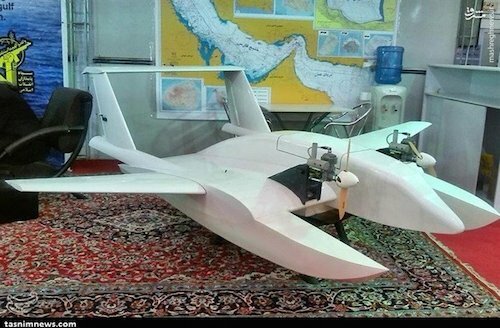 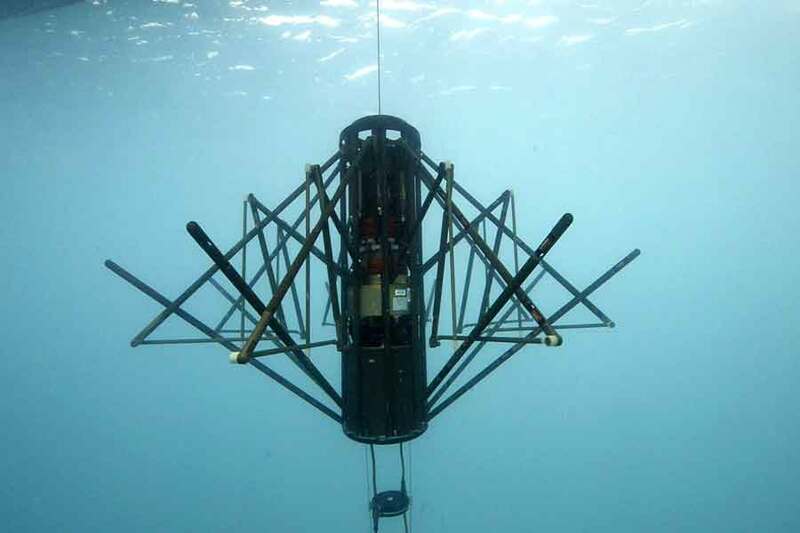 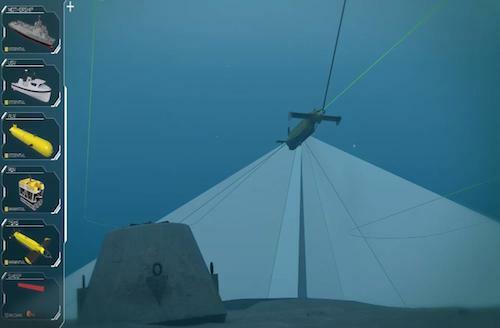 Suicide drone delivers a payload of explosives and can fly at low altitudes over the water. 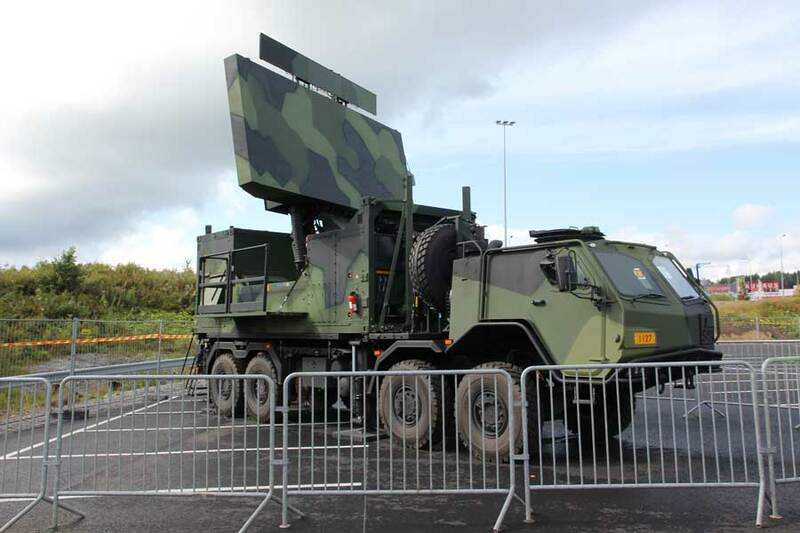 NATO steps up investment in air and missile defence. 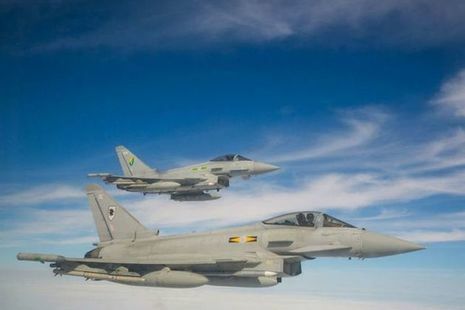 British forces continue to conduct air operations in the fight against Daesh. 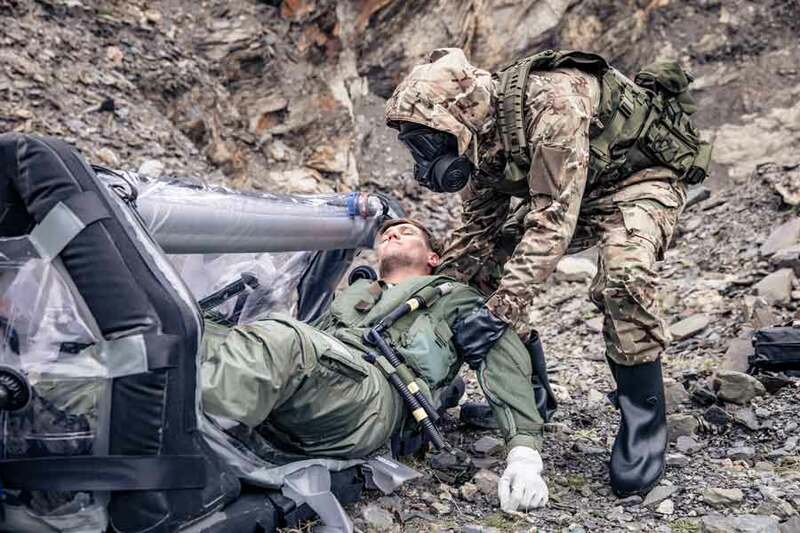 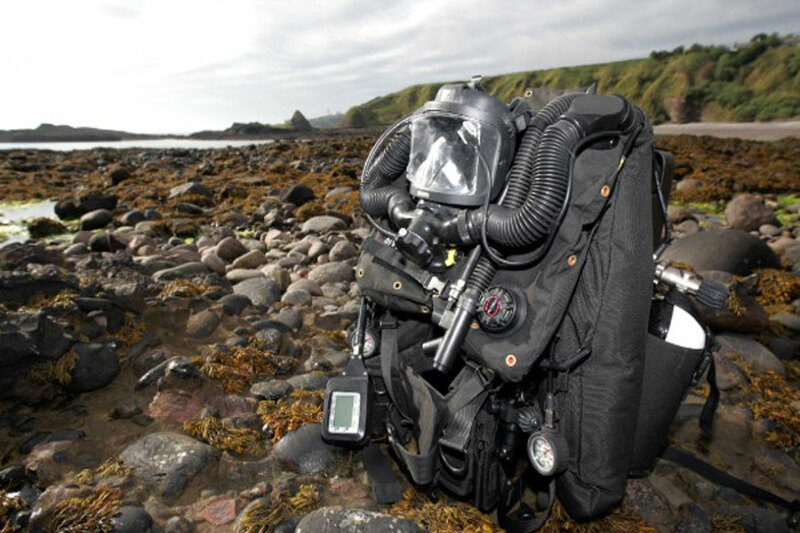 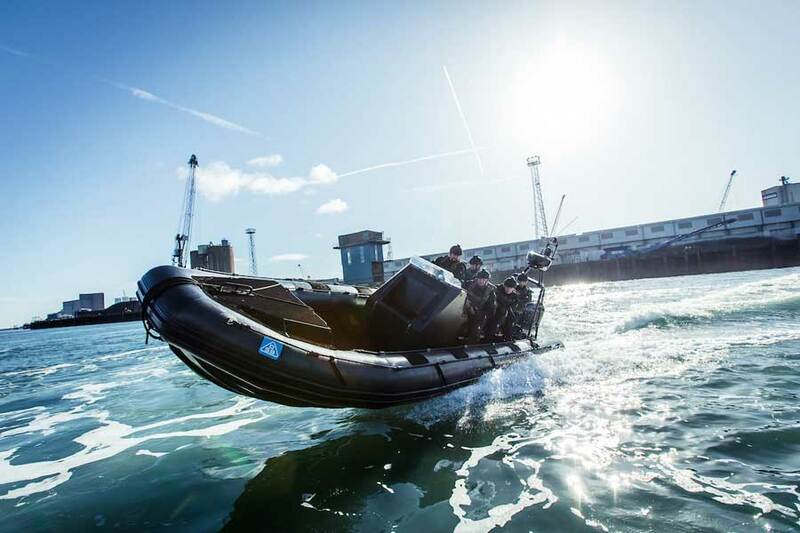 Survitec to preview new Bio Skin suit and man-portable stretcher for CBRN protection at DSEI.